We are continuing with phonics and assessing the children phonological awareness this week. 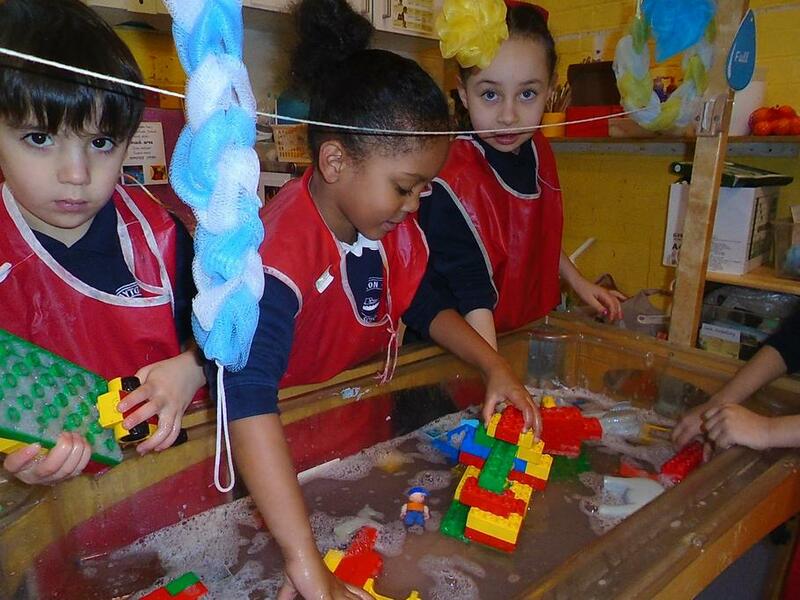 This week we will be learning about the story called 'The Flying bath' as we are going to the Theatre to see this show. 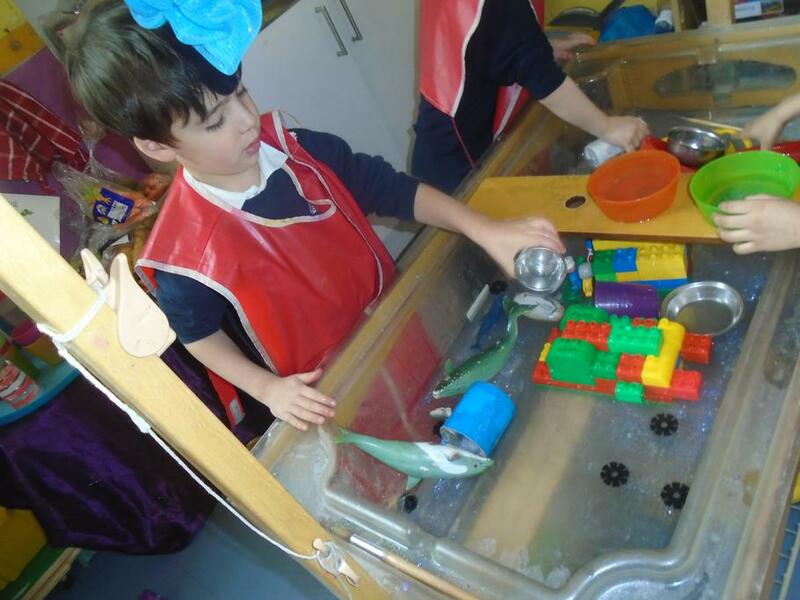 In Maths, we will continue to learn about weighing using non-standard units. The snake is longer than the book. The book is shorter than the snake. You can do this at home with other opposites. We call this a stem sentence. Please remember to bring in the parent A3 sheet about your child's development for the learning journal. Thank you! Have a great holiday break. 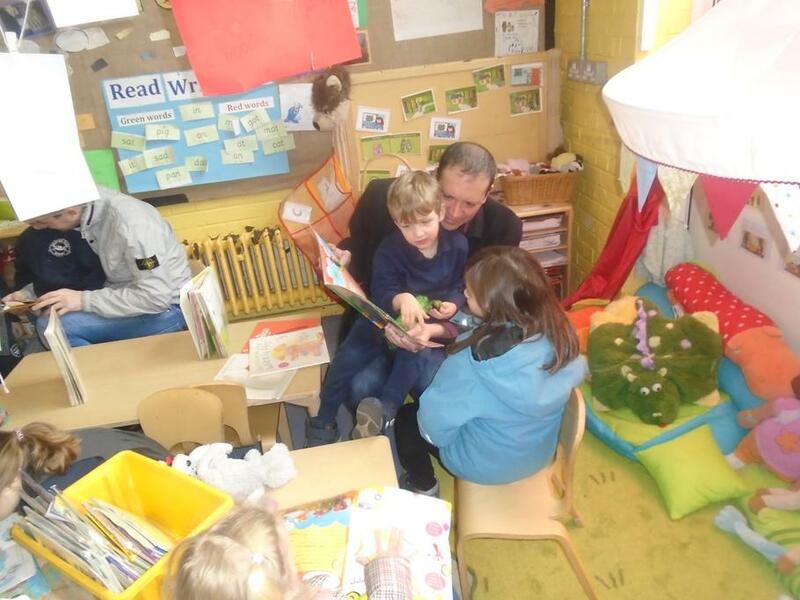 The children are back to school on Wednesday 24th April 9am. Thank you for your hard work and support so far this year. In phonics we have been learning our Set 1, Set 2, ay, ee, igh, ow oo, oo, ou, or, ar, oy, air, ir and some Set 3 sounds like a-e, i-e. 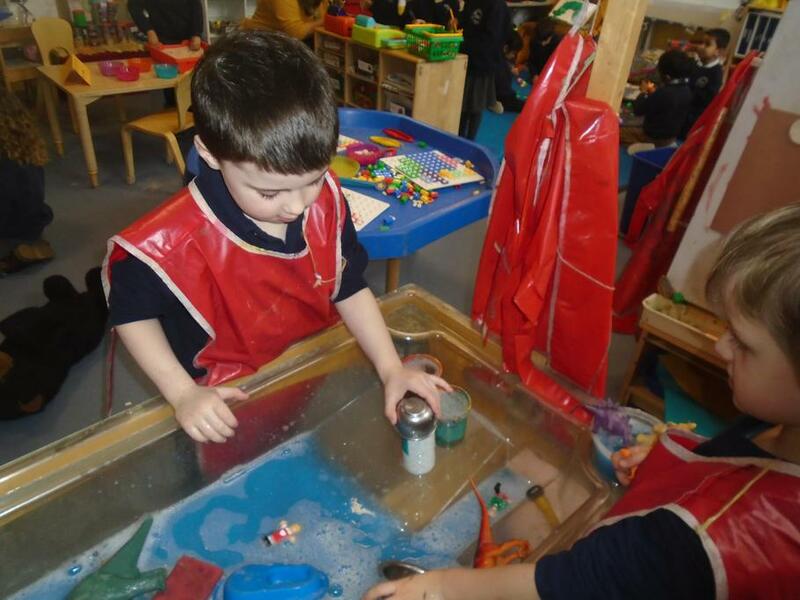 The children are getting much better at segmenting and blending familiar and unfamiliar sounds. Please continue with this at home or talk to us if you are unsure. We are starting to attempt to spell more tricky words, where the children try to make phonological attempts at spelling these tricky words. Every Friday we are learning to write a sentence using capital letters, finger spaces, good phonics and a full stop. Over the weekend can you get your child to write a sentence about something you did and bring into class on Monday. We have continued reinventing the story of Chicken Licken with Ratty Batty. Together we have been writing sentences. Can you discuss with your child how a story has a beginning, middle and an end. 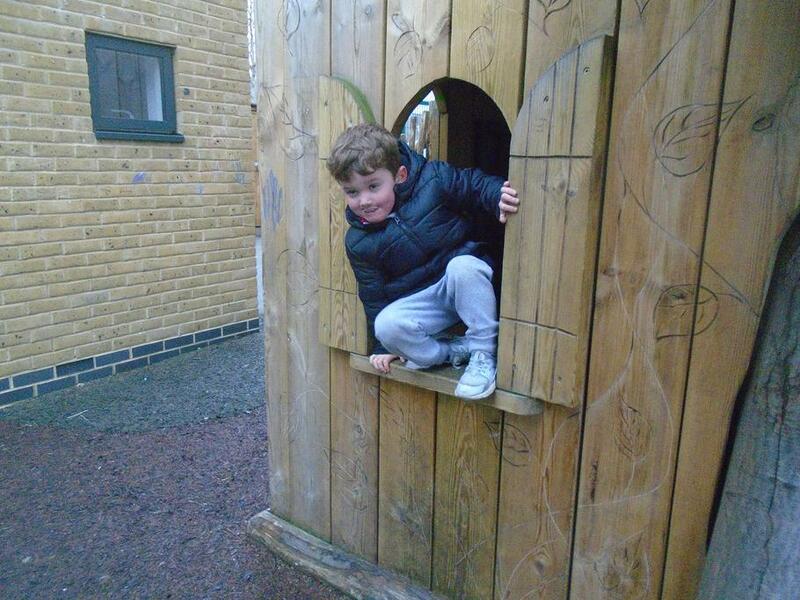 The children have been discussing Hider Spider, Hairy Beary, Goofy Wolfy. 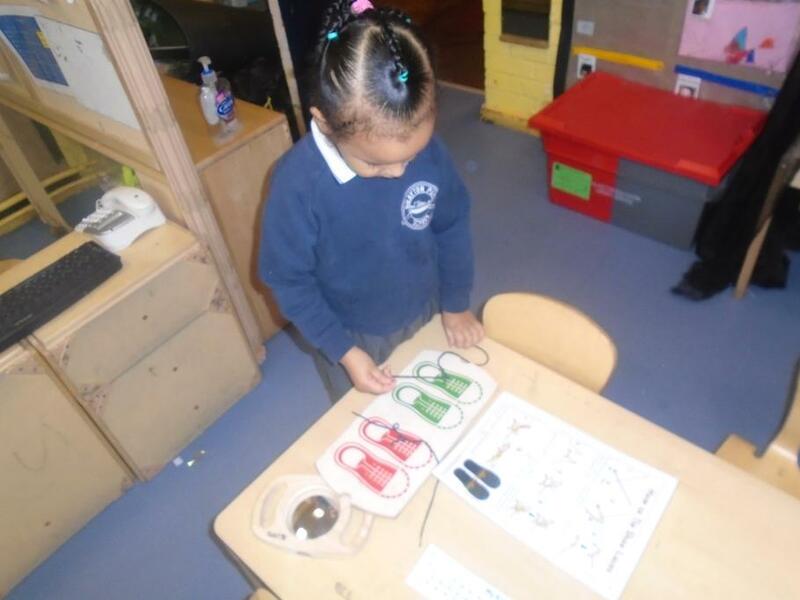 In Maths, we have been learning about weighing using non-standard units. How do you weigh the toy? How many cubes will it be. Can you estimate? We also discuss the whale is heavier than the ant. The ant is lighter than the whale. 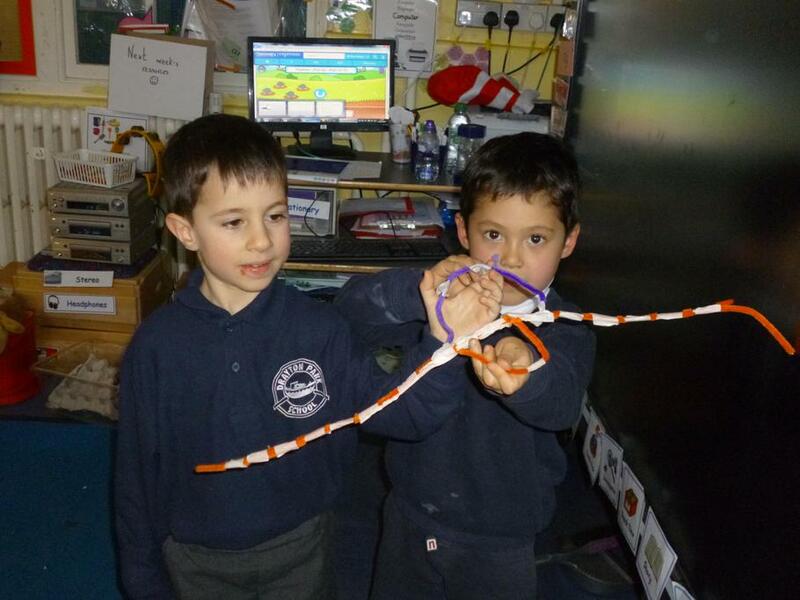 You can do this at home with other objects and discuss the language. We call this a stem sentence. Maybe your child could record this on paper in their own way. Please remember to bring in the parent A3 sheet about your child's development for the learning journal. Thank you! Have a good weekend. In phonics we have been learning our Set 1, Set 2 and some Set 3 sounds. 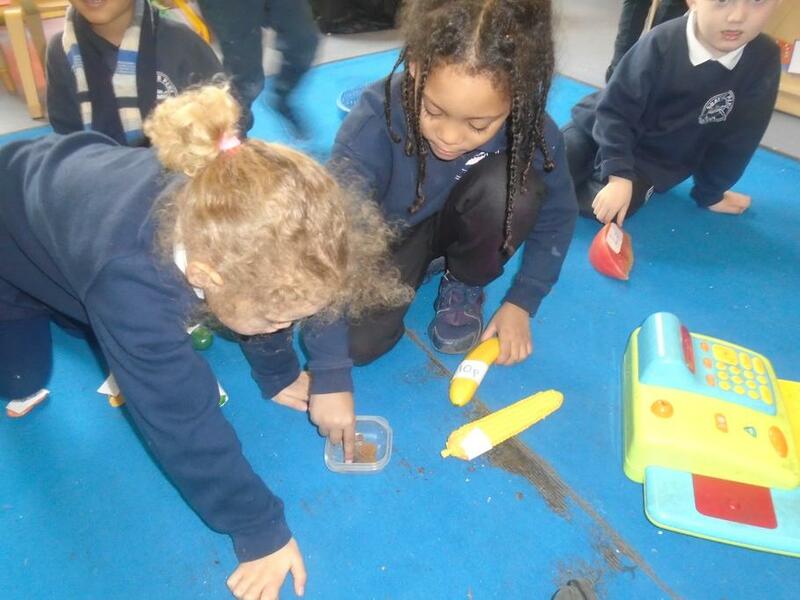 The children are getting much better at segmenting and blending familiar and unfamiliar sounds. Please continue with this at home or talk to us if you are unsure. 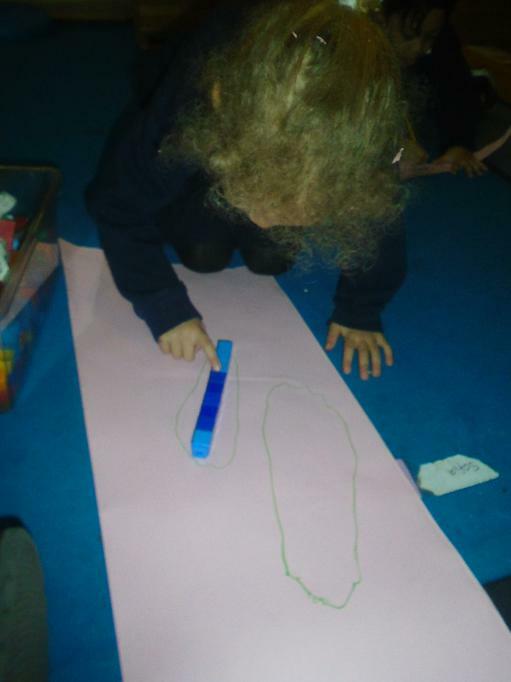 The children have made good progress with their handwriting skills and meeting the goals with writing letters on the line, forming the correct shape and matching the sound to the letter. 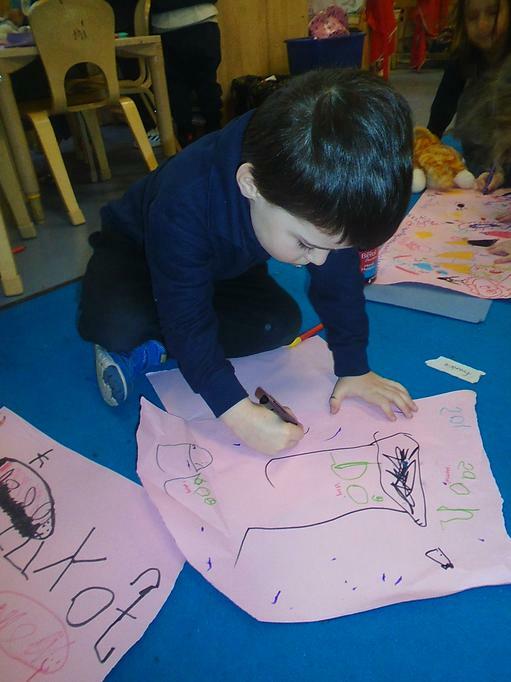 The next big push is for children to make phonological attempts at spelling tricky words, using connectives like and or because. Can your child write a sentence using and? We reinvented the story of Chicken Licken with Ratty Batty ( this idea coming form the children. He lives in a cave and the rain is falling on his head. He must tell the queen. On the way he meets Hider Spider, Hairy Beary, Goofy Wolfy. Again the children's ideas/names. 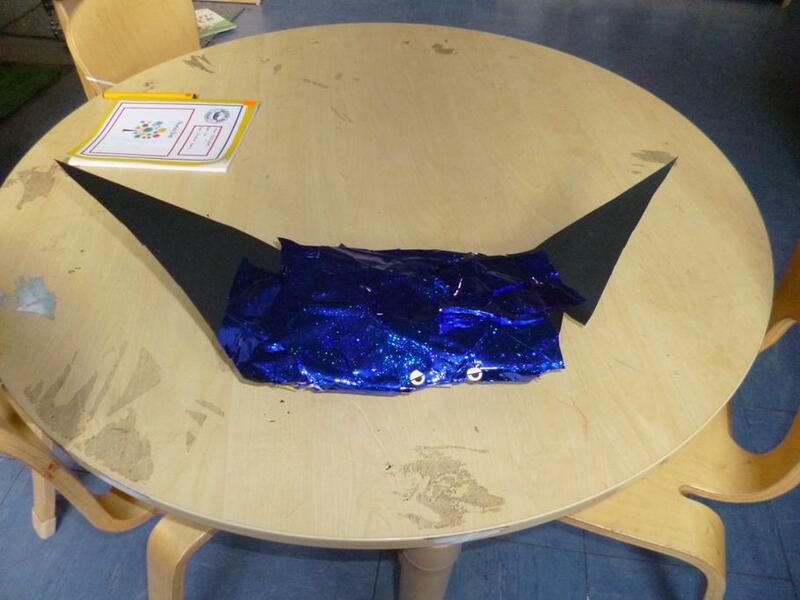 The children have said that they have loved making up this story, acting it out, making art, drawing a story map and making junk modelling bats. 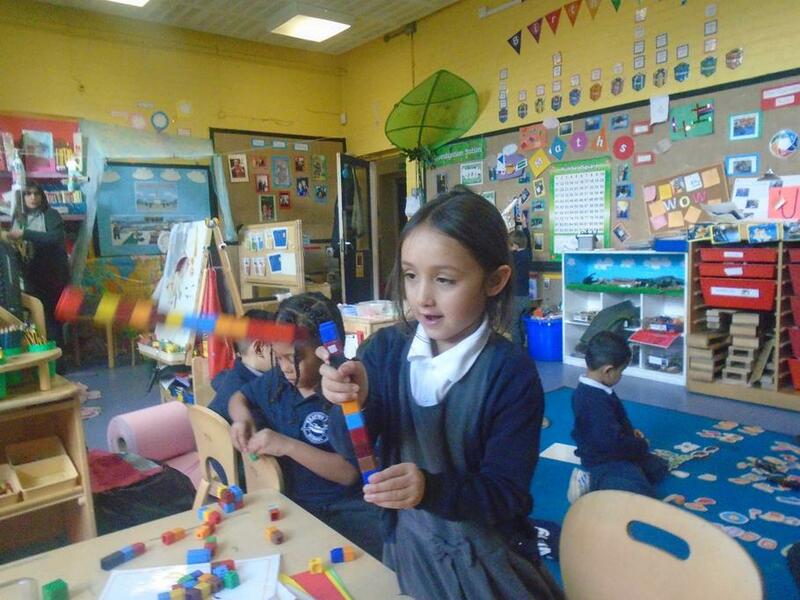 In Maths, we have been learning about measuring using non-standard units. How do you measure a pencil? 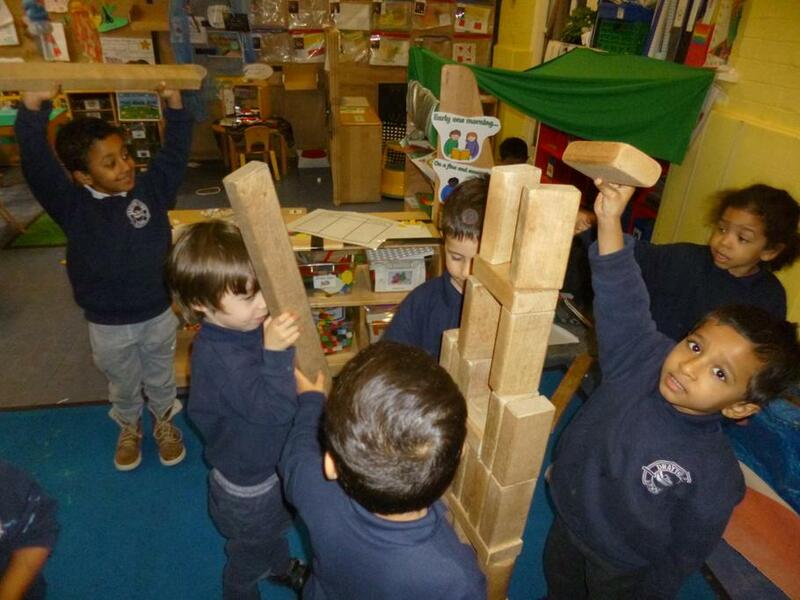 Children discussed the different ideas like cubes, hands, books, feet, blocks. We also discuss the man is taller than the boy. The boy is smaller than the man. You can do this at home with other heights. We call this a stem sentence. 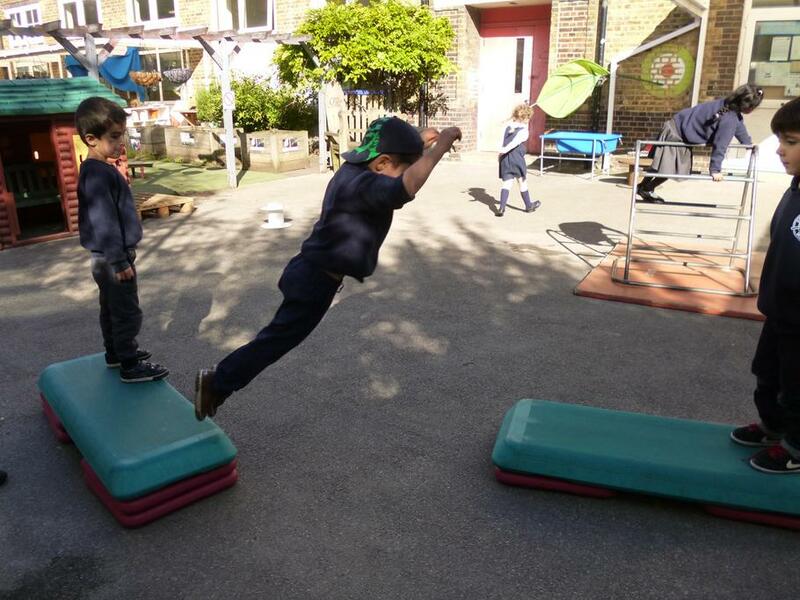 In phonics we have been learning to read, write and say some green words like from, stop, chip, six, went and some red words like the, me, my, her, she, go and he. We have been putting these words into a sentence and checking to see if it makes sense. 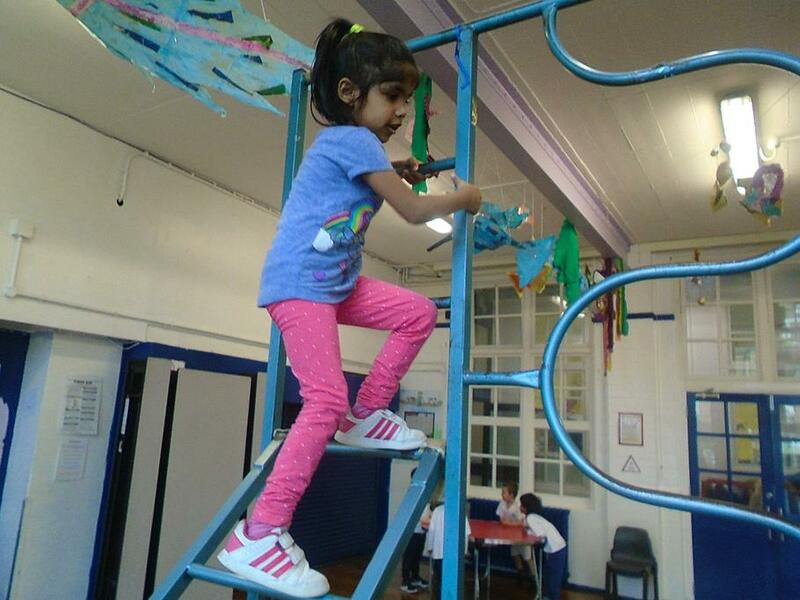 Can you help your child do this at home? We have continued to read the story of Chicken Licken with the children joining in with repeated phrases from the story. We have been trying to learn the sequence of the story, the names of the characters in the story and discussing what we think of the story. 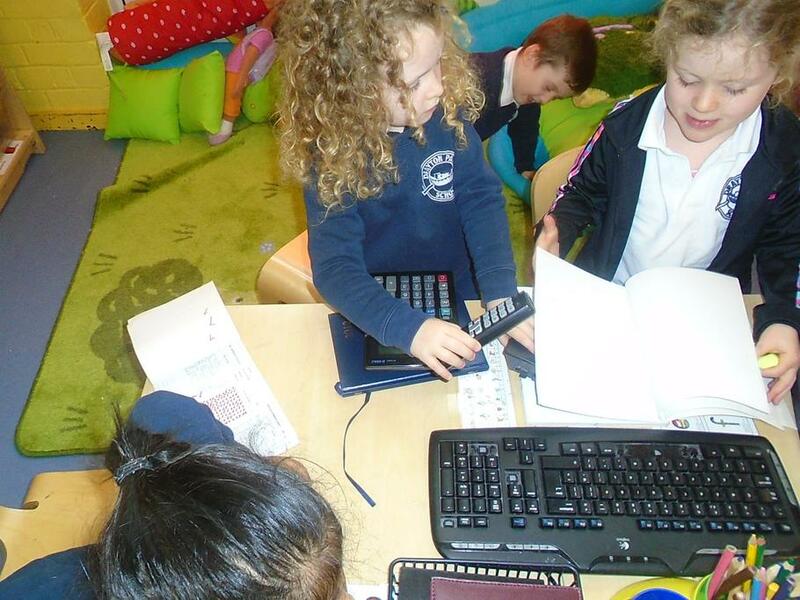 In Maths, we have continued learning about subtraction. We used a group of objects and took away 2 or more from this. Then we counted how many we had left. 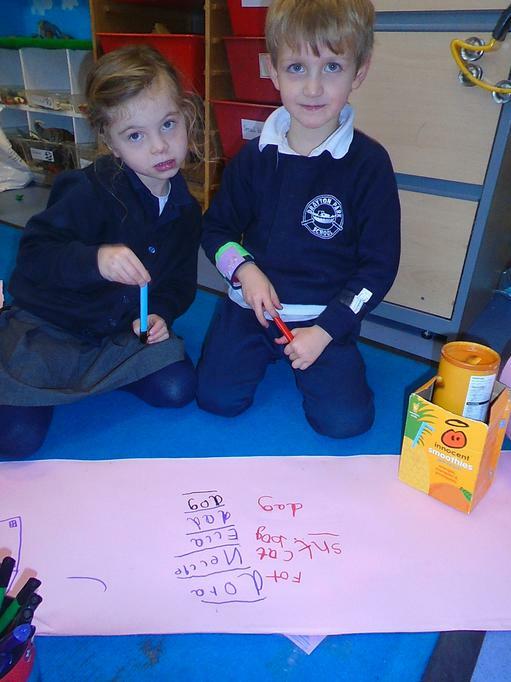 Some children were able to write a subtraction number sentence independently. In phonics we have been learning to read, write and say some green words like from, wish and some red words like I, she, the, of, no and love. We have been putting these words into a sentence and checking to see if it makes sense. 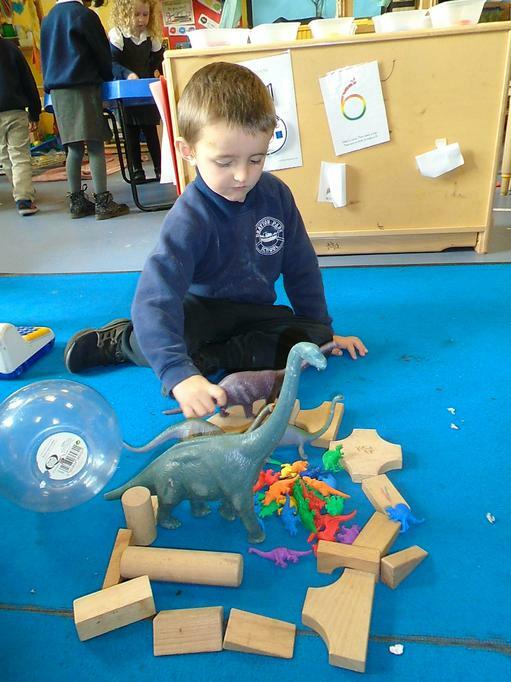 Can you help your child do this at home? 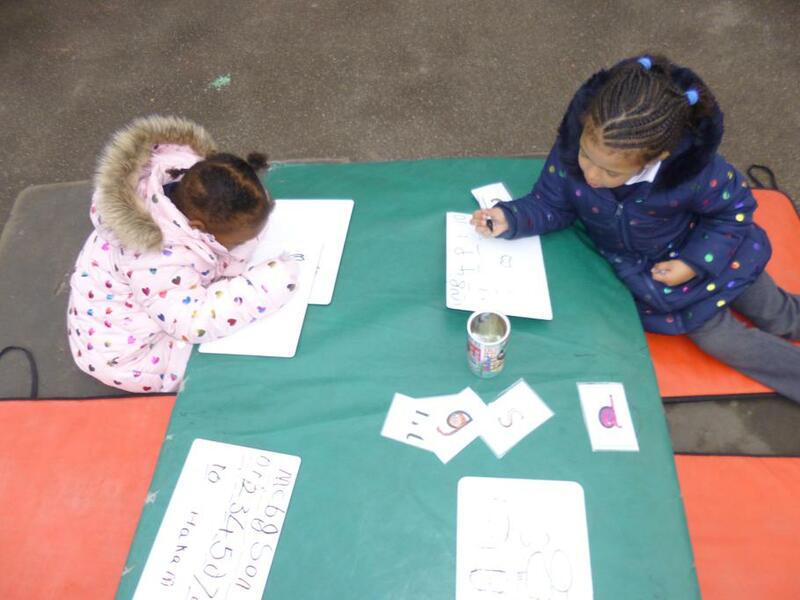 Every Friday we are learning to write a sentence using capital letters, finger spaces, good phonics and a full stop. Over the weekend can you get your child to write a sentence about something you did and bring into class on Monday. 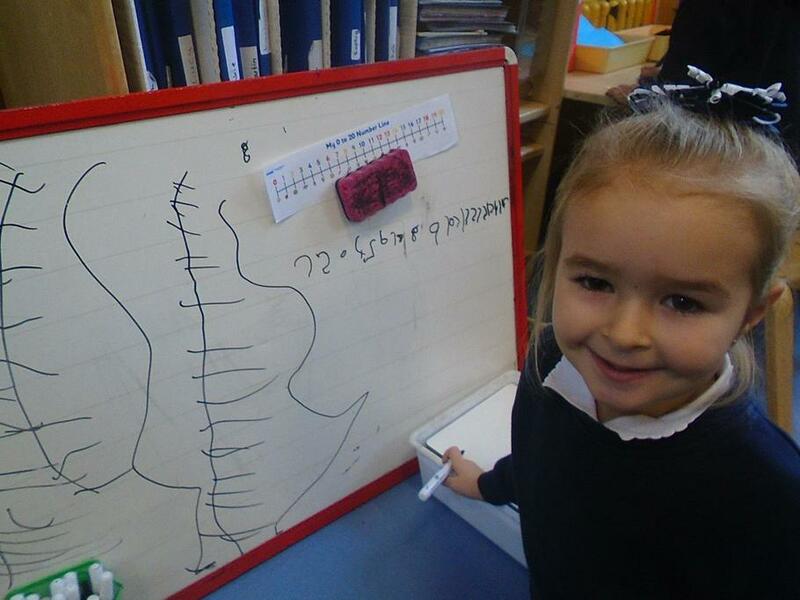 In Maths, we have been learning about subtraction. We used a group of objects and took away 1 or 2 from this. then counted how many we had left. Some children were able to write a subtraction number sentence independently. Can you discuss the subtraction maths sign and equals sign with your child please. 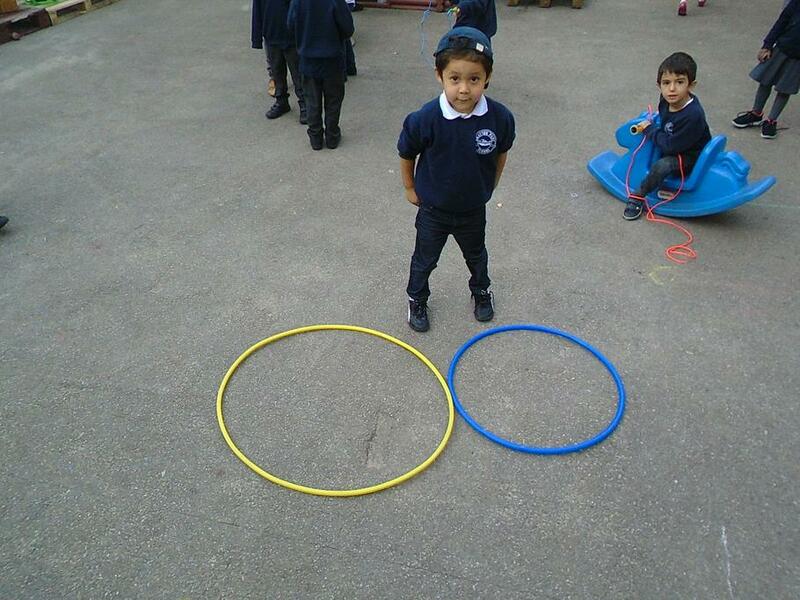 Next week we will continue with subtraction games and our understanding of subtraction. 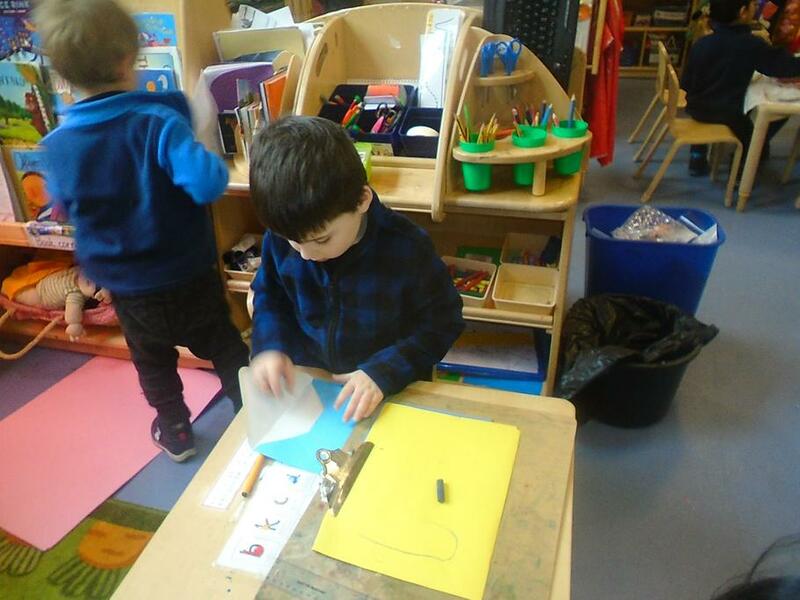 In phonics we have been learning to read, write and say some green words like frog, chip, stop and some red words like I are, like, of, no and the. We have been putting these words into a sentence and checking to see if it makes sense. 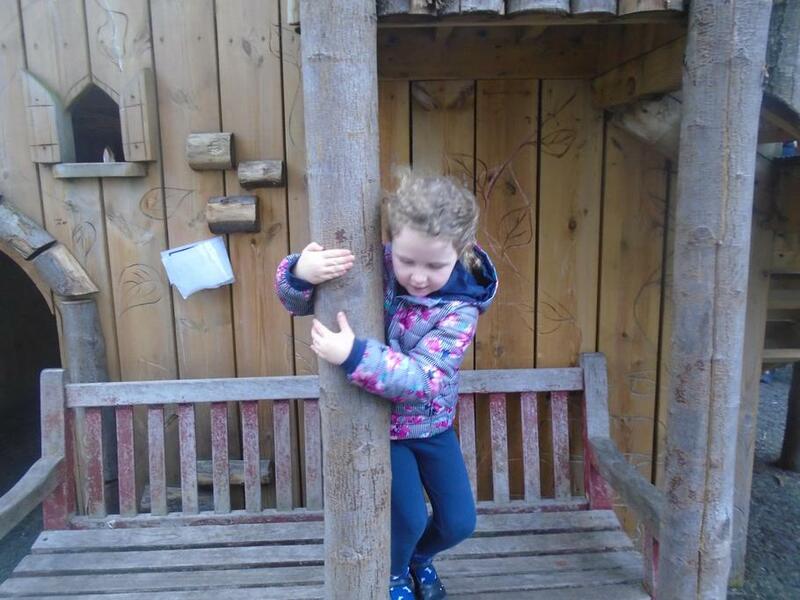 Can you help your child do this at home? 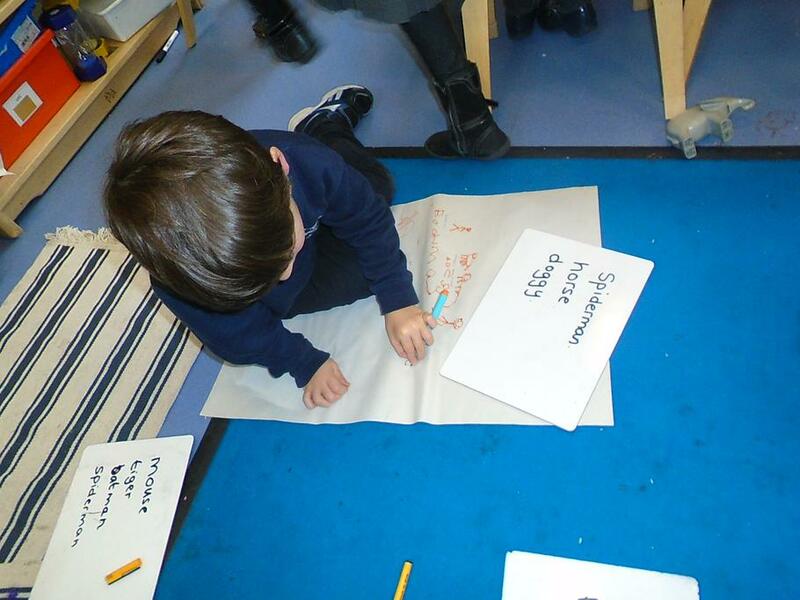 Every Friday we are learning to write a sentence using capital letters, finger spaces, good phonics and a full stop. 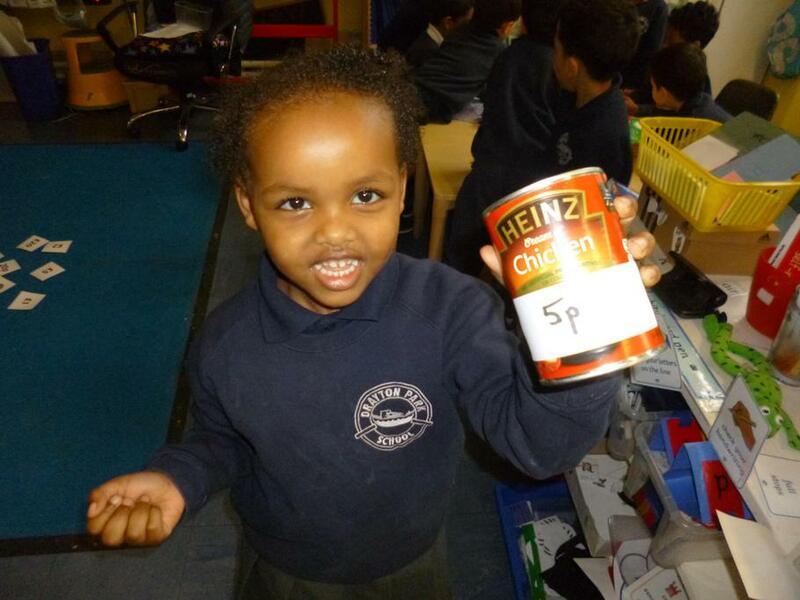 We have been reading the story of Chicken Licken and the children absolutely loved this story. 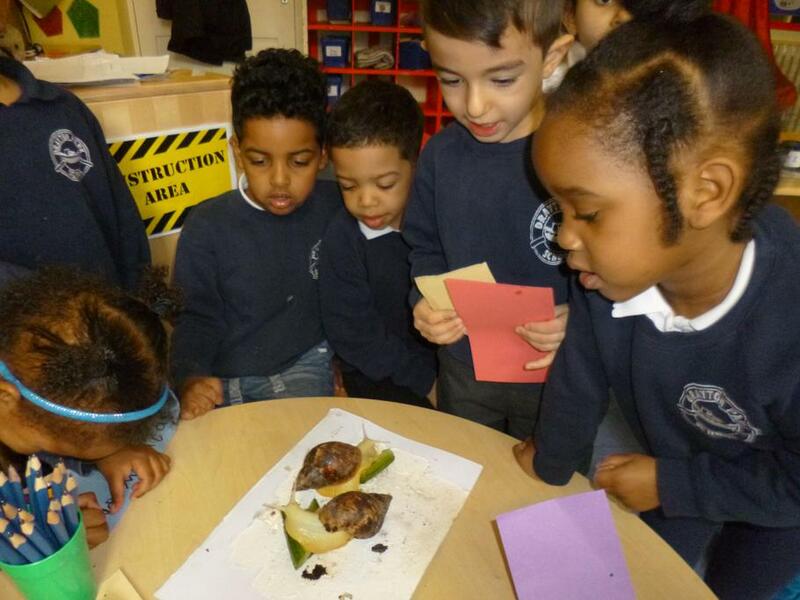 They found it very funny and filled with lots of rhyming words. Please ask your child what is this story about and can they draw their own mind map on it. 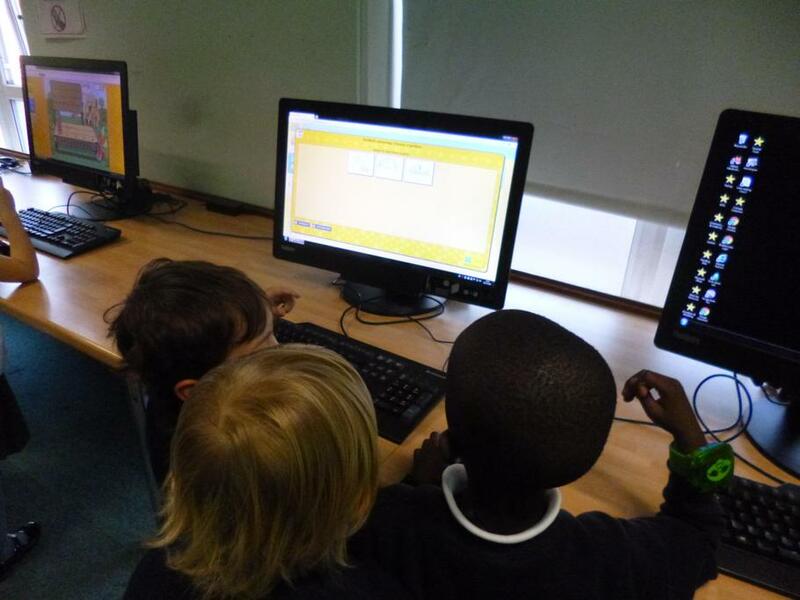 In Maths, we have been learning about adding two groups of numbers together. 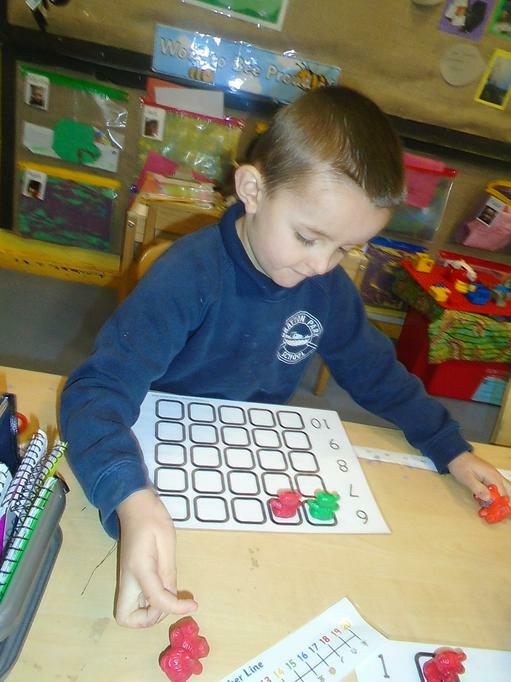 We used the Numicon to help us understand adding two groups together. We also have been adding 1 to any number up to 20. In phonics and literacy we have been learning to read, write and say some green words and some red words like I are, like, of, no and the. We have been putting these words into a sentence and checking to see if it makes sense. 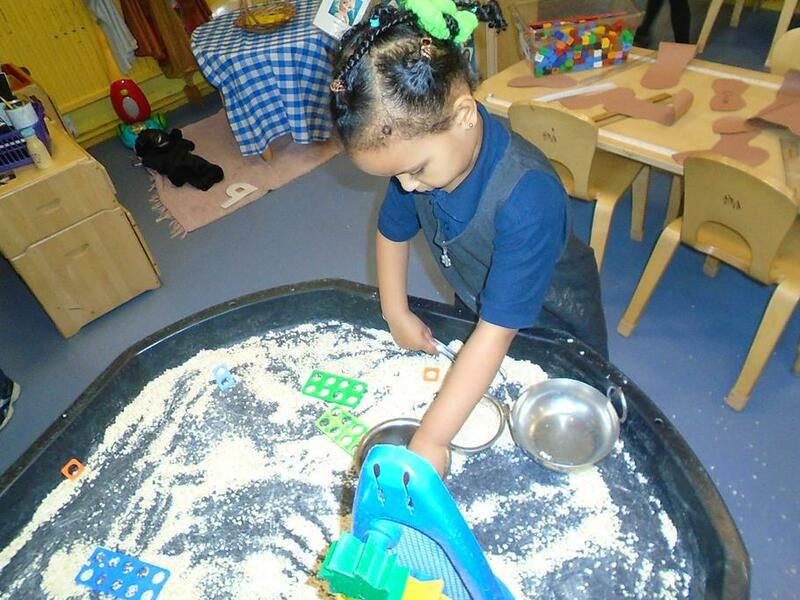 Can you help your child do this at home? We have also started to hold a sentence in our head and try and write it down hearing all of the sounds in that sentence. We have also introduced finger spaces between words. We have also been talking about some Set 2 sounds and answering questions from the Ditty books we are reading. 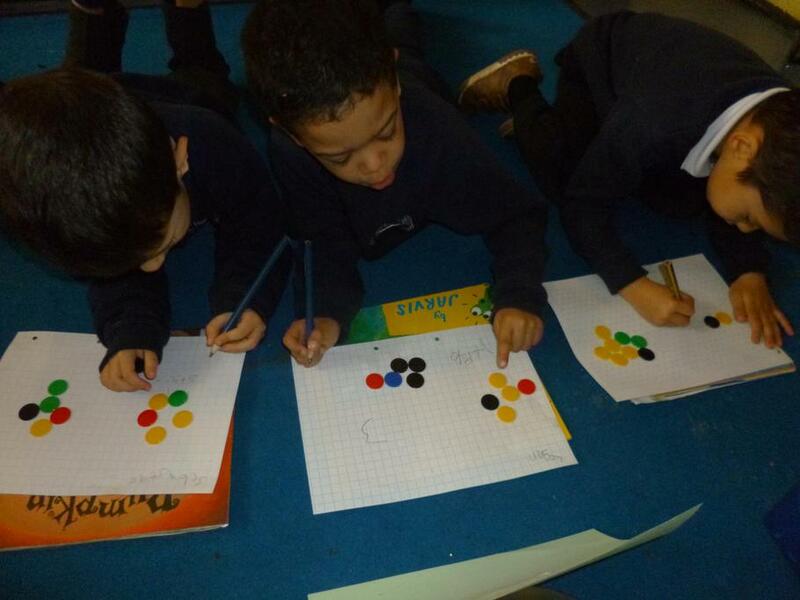 In Maths, we have been learning about adding two groups of numbers together. We used groups of fruit to add together. We then counted the first plate, then the second plate. Then we added the total together. We are learning to write a number sentence to match the number of fruit. This is something you can do at home. 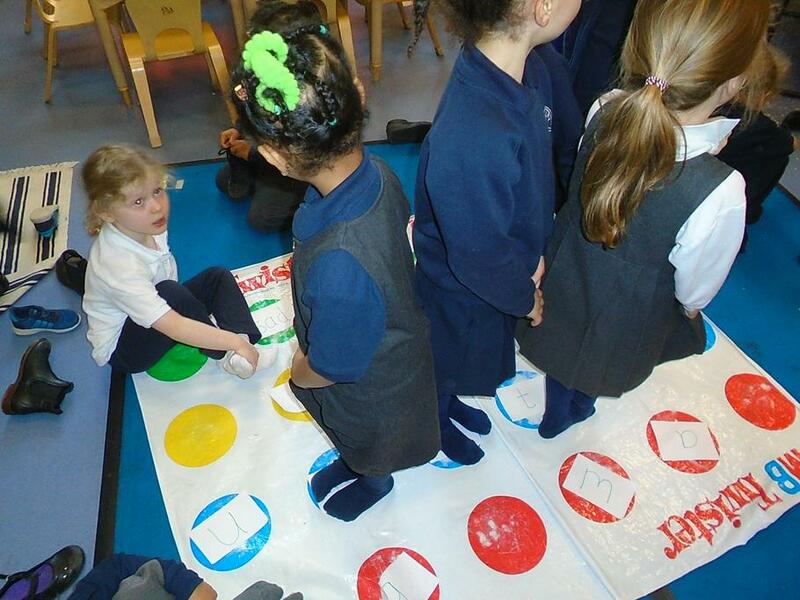 In phonics and literacy we have been learning to read, write and say some green words and some red words like I and the. We have been putting these words into a sentence and checking to see if it makes sense. 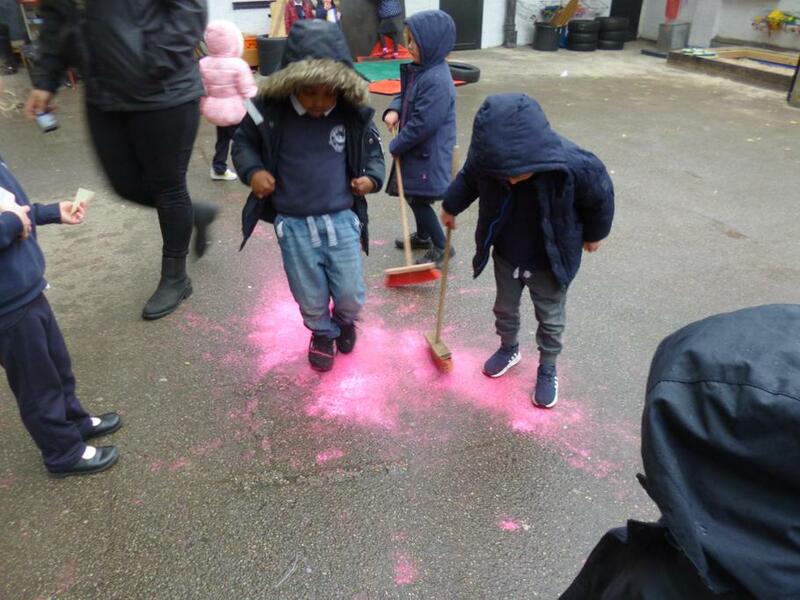 Can you help your child do this at home? We are beginning to write labels for things we have drawn. 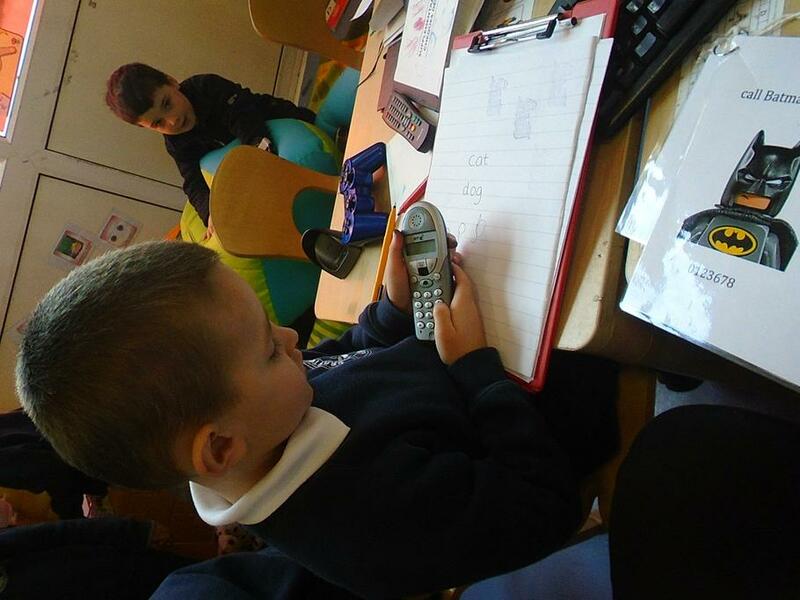 In Maths, we have been learning about estimating numbers. We made an estimation station using a variety of things in sealed bags. 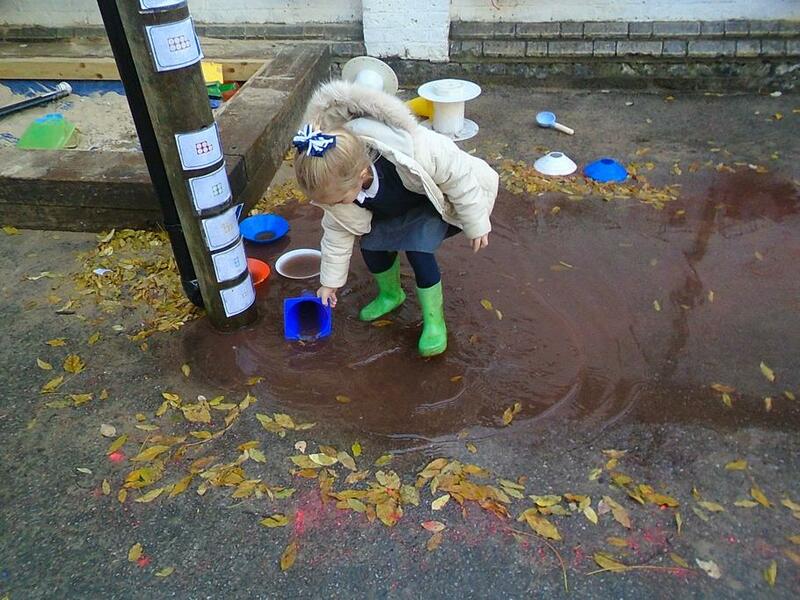 We then tried to estimate how many objects were in there. Finally we checked the total to see who had the best estimate. 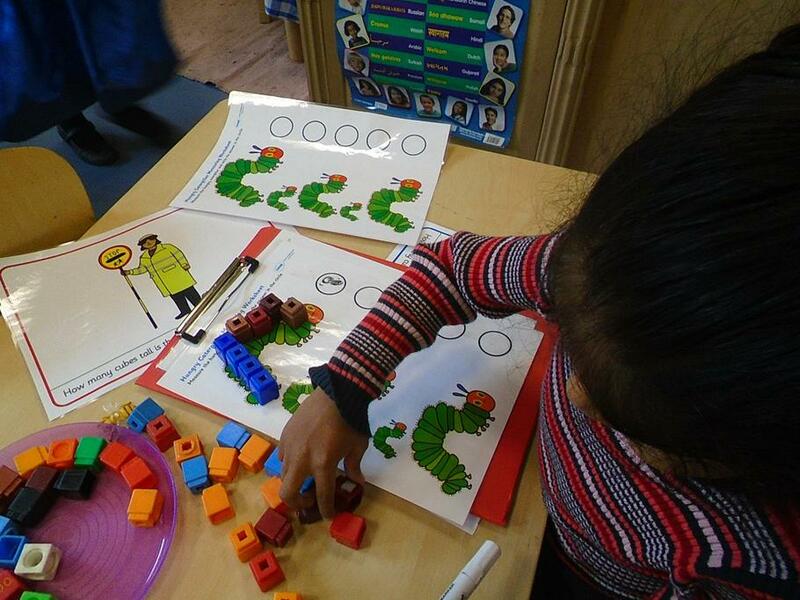 In phonics and literacy we have been learning to read, write and say some green words and some red words like I and the. We have been putting these words into a sentence and checking to see if it makes sense. 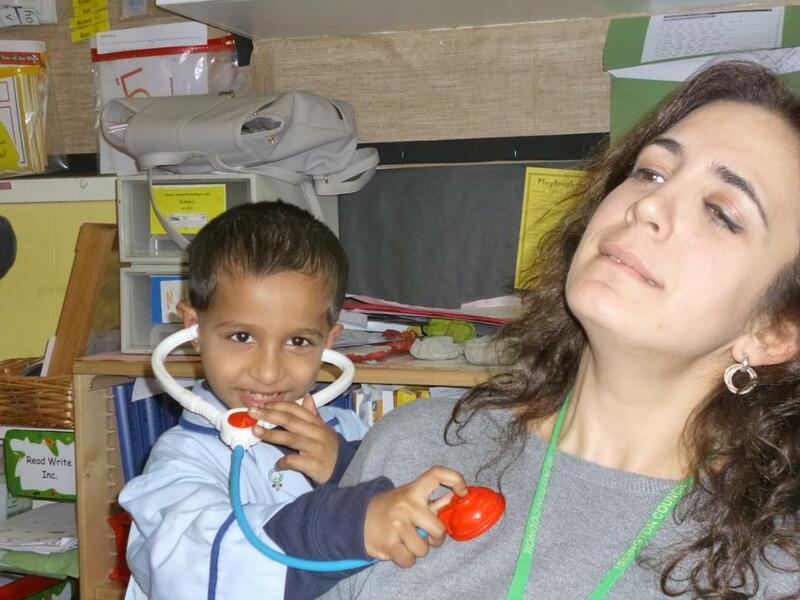 Can you help your child do this at home? We have also started to hold a sentence in our head and try and write it down hearing all of the sounds in that sentence. We have also introduced finger spaces between words. 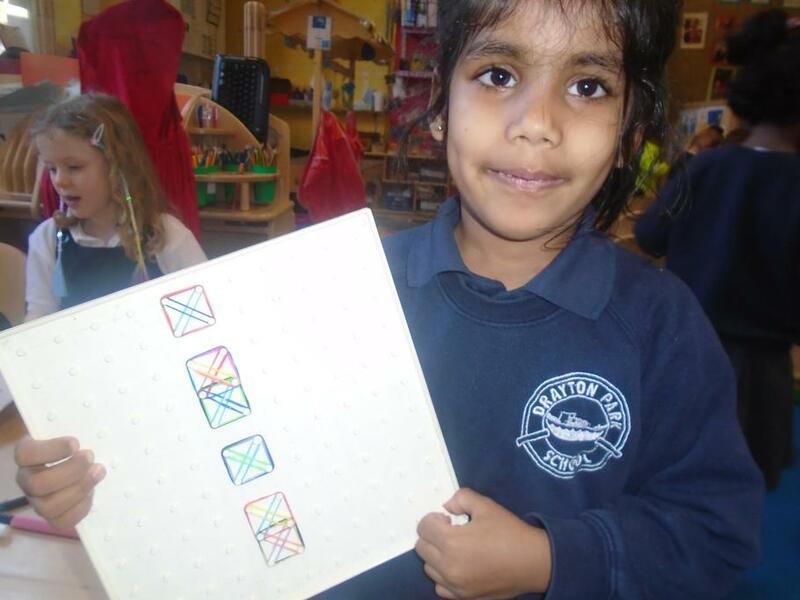 In Maths, we have been learning about simple one step patterns. 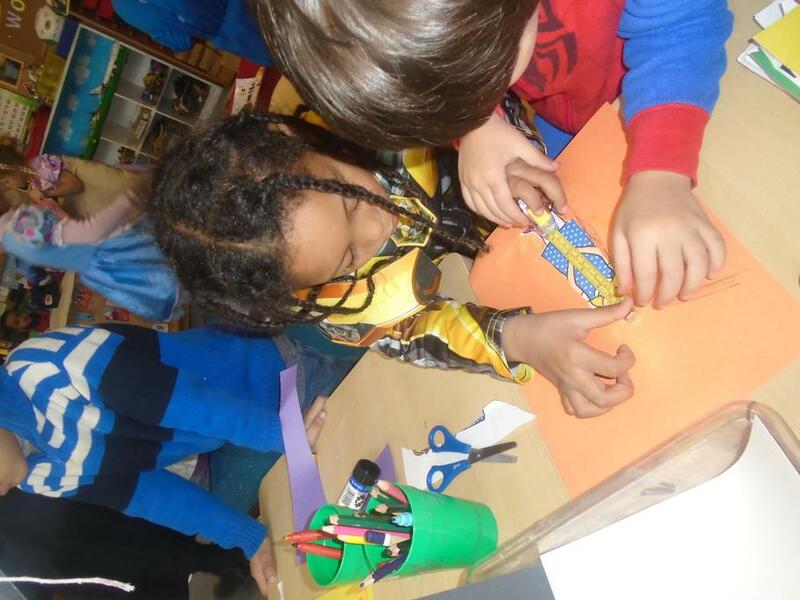 We made patterns out of tissue paint, using real objects, cubes, 2d shapes. 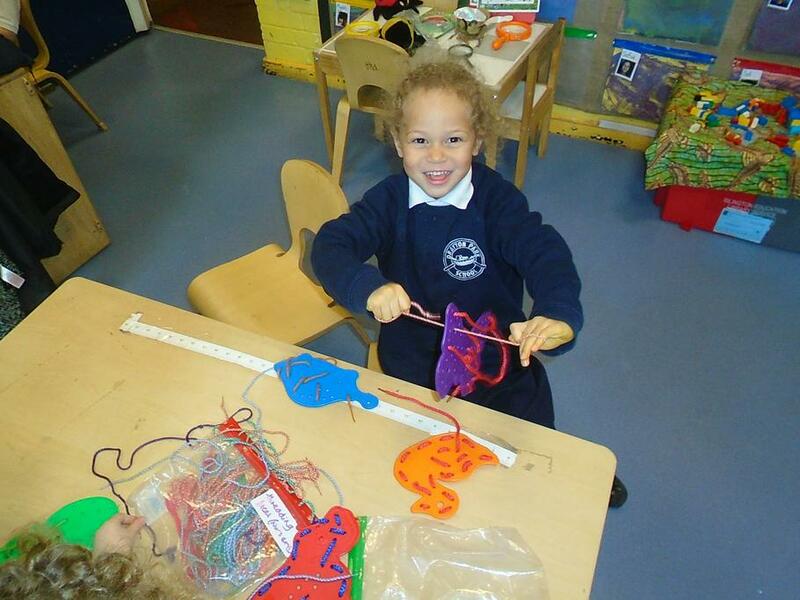 At home can you help your child to draw or make a pattern using real objects and bring them into school. 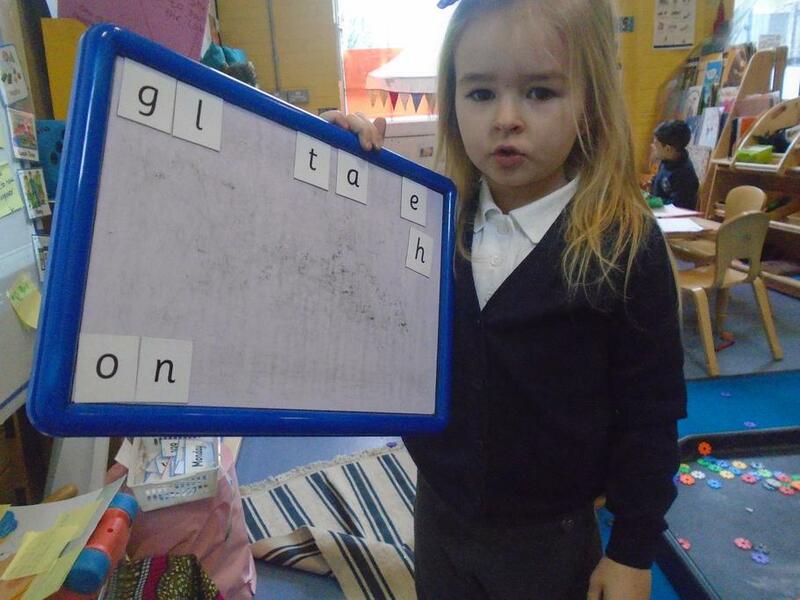 In phonics we have been learning to read, write and say the sounds th, z, ch, qu and x. 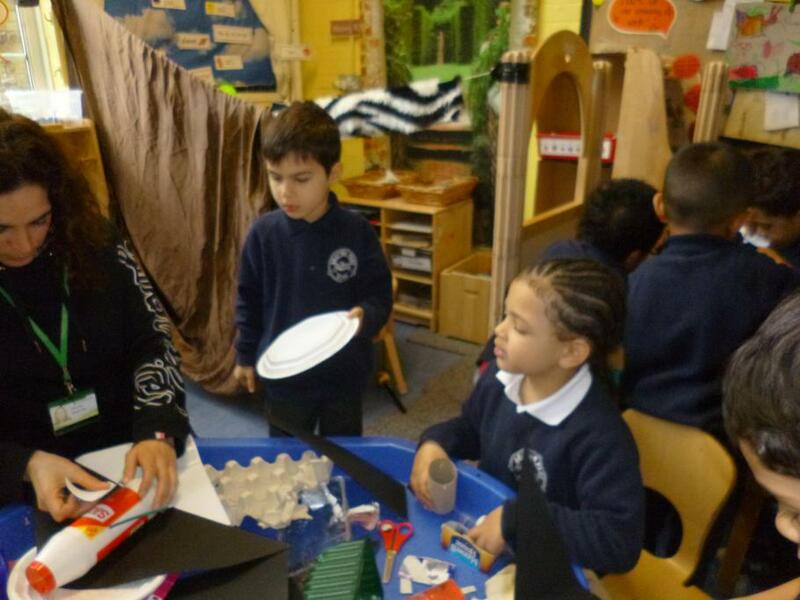 The children are making great progress with writing their sounds in their phonic's books. 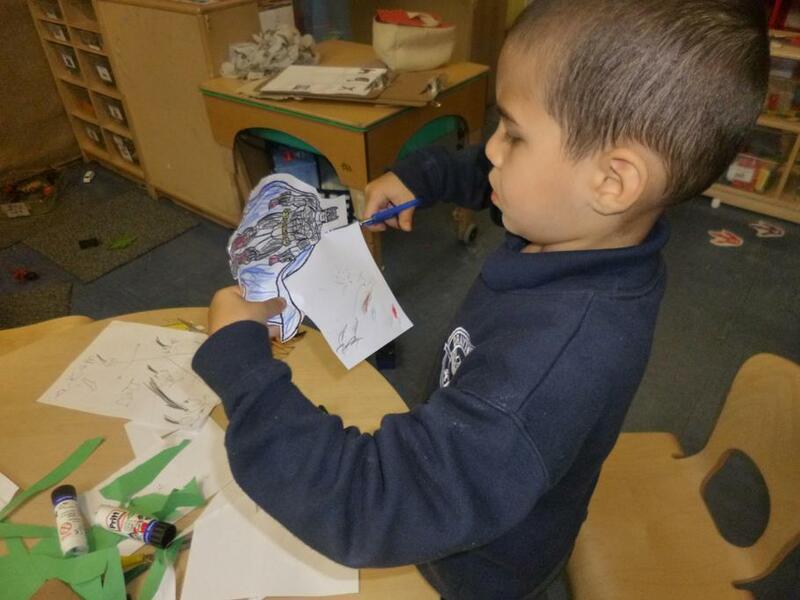 This week in Moon class, we have continued with 'We're going on a Bear Hunt' . 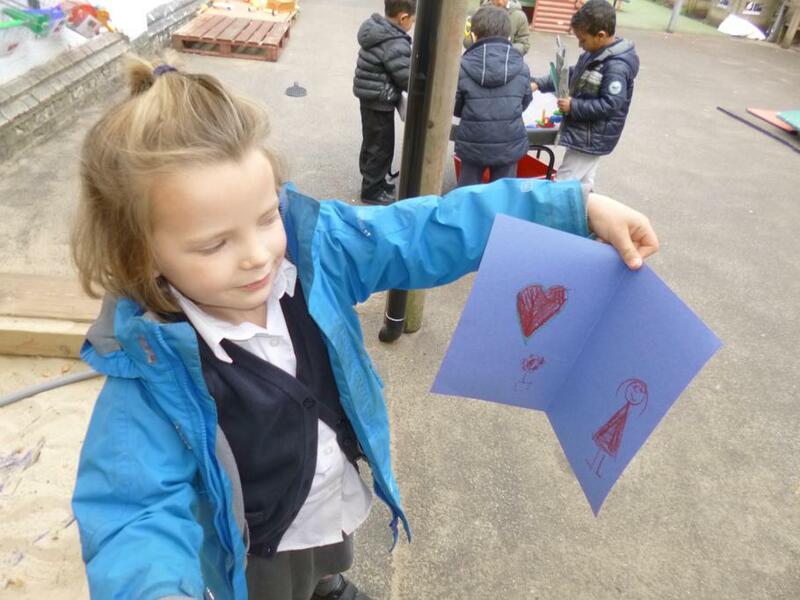 We have been learning to write the story together, shared writing. 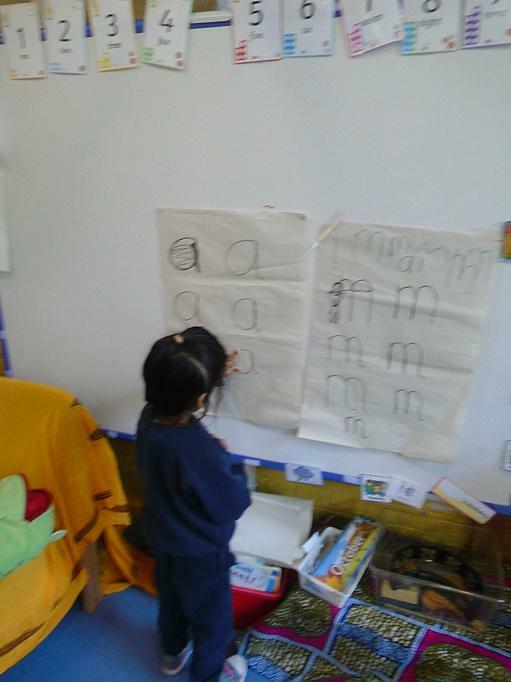 the children have been helping me with writing the initial sounds of the words. This is something you can do at home. Think of a sentence together, say the sentence, then write it together, ask your child to write the first sound of the word or spell some familiar words like it, at, in, go or cvc words. 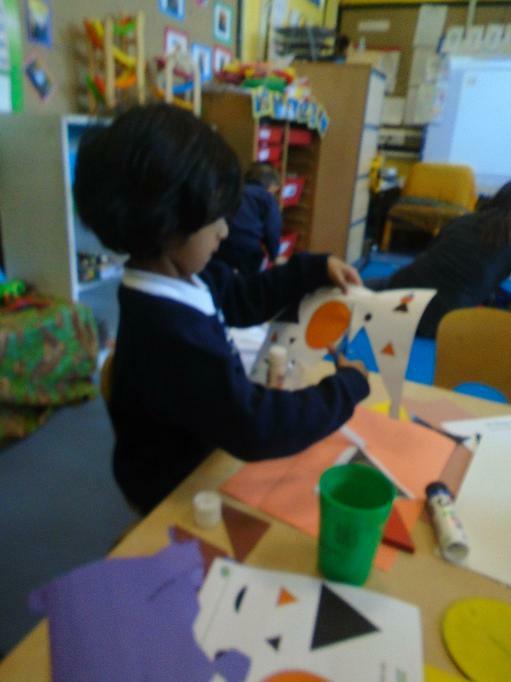 In Maths, we have been earning about 2d shapes. Ask your child what is the difference between flat shapes and solid shapes? In phonics we have been recapping on our Set 1 sounds. Please can you try to use the sounds taught to spell cvc and ccvc words. This week we have been learning about rhyming words. Can you talk to your child about rhyming words and to notice the spelling patterns? Can you make up your own rhyming patterns? 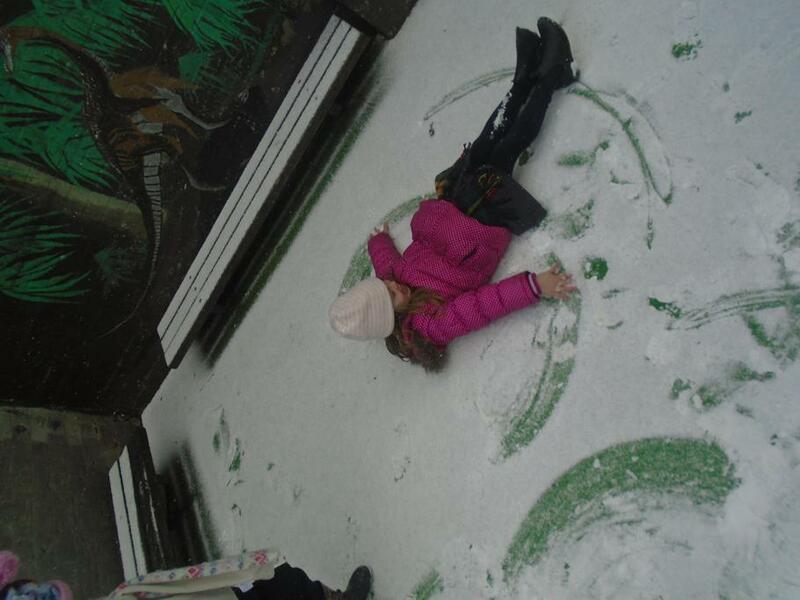 In maths we have been learning about to 2D shapes around us. We have been trying to use the correct language to describe the shapes. How many sides? Where might we find it? Can you describe the properties of these shapes? 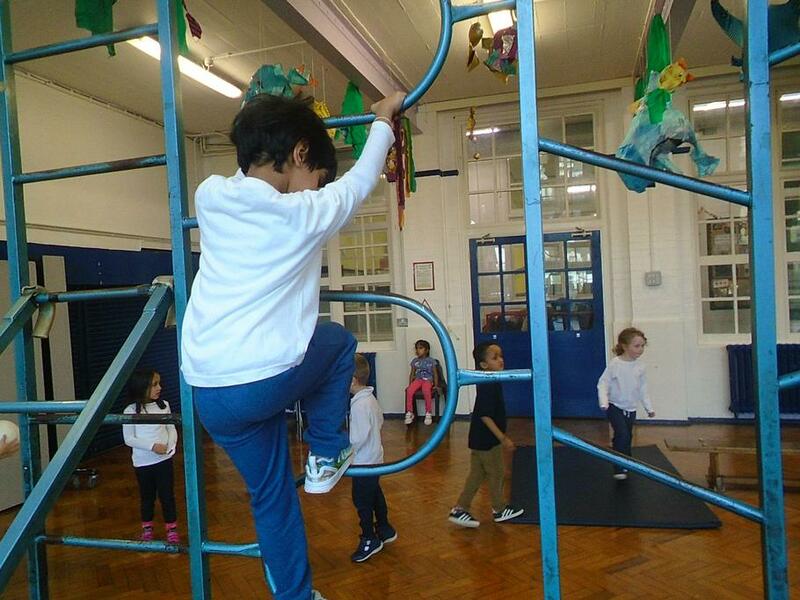 This week in Moon class, we have continued with 'We're going on a Bear Hunt'. 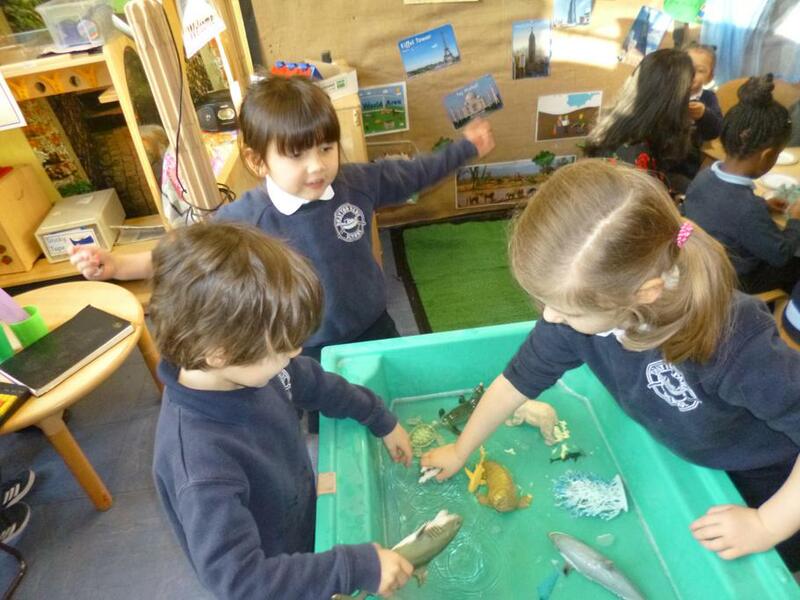 We have been reinventing the story listening to the children's brilliant ideas we came up with, 'We're going on a swordfish hunt'. 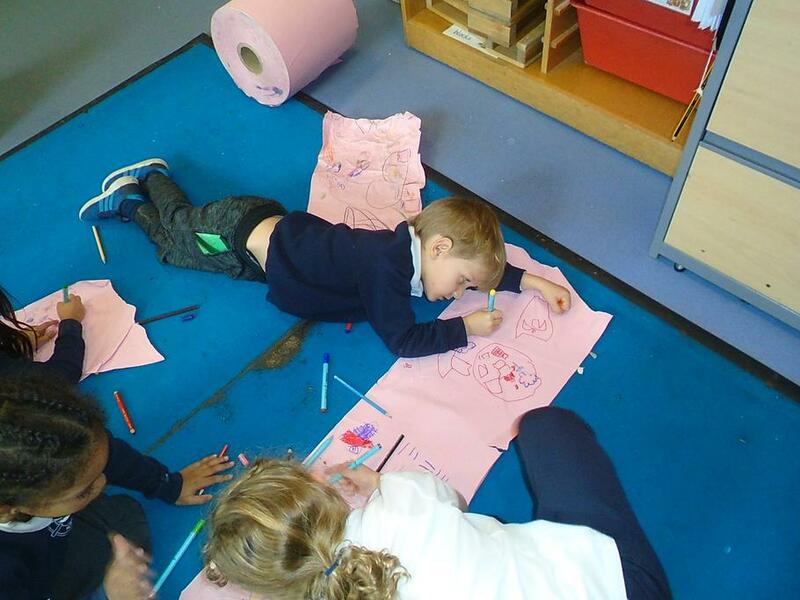 Together we drew a story map, children drew their own ones using their own story ideas. We are starting to use our phonics to label our pictures, can you please encourage this at home with writing the initial sounds of the words. 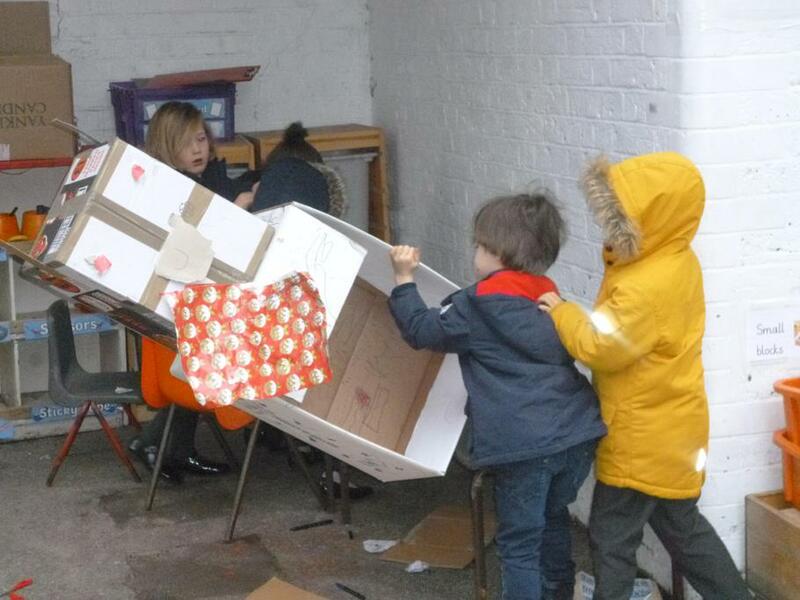 The children have loved reinventing this story, please ask them about this. 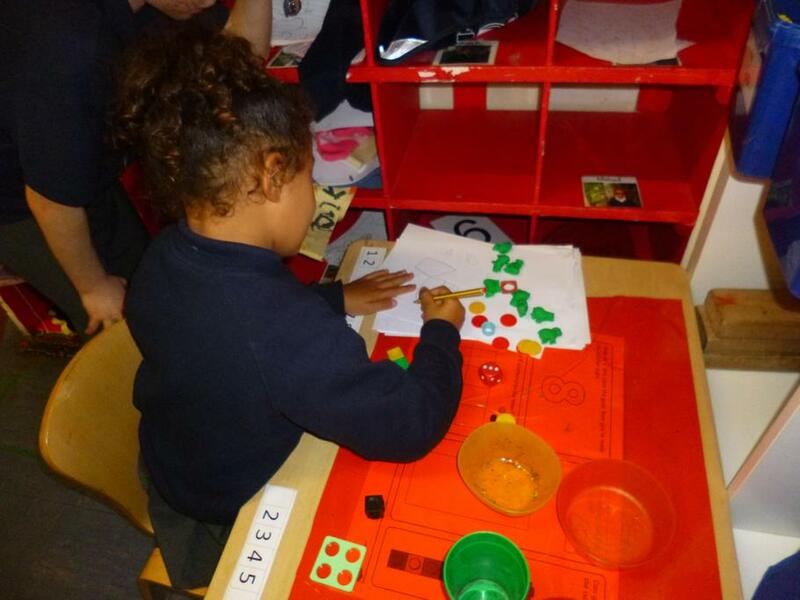 In Maths, we have been learning our numbers from 1-10. 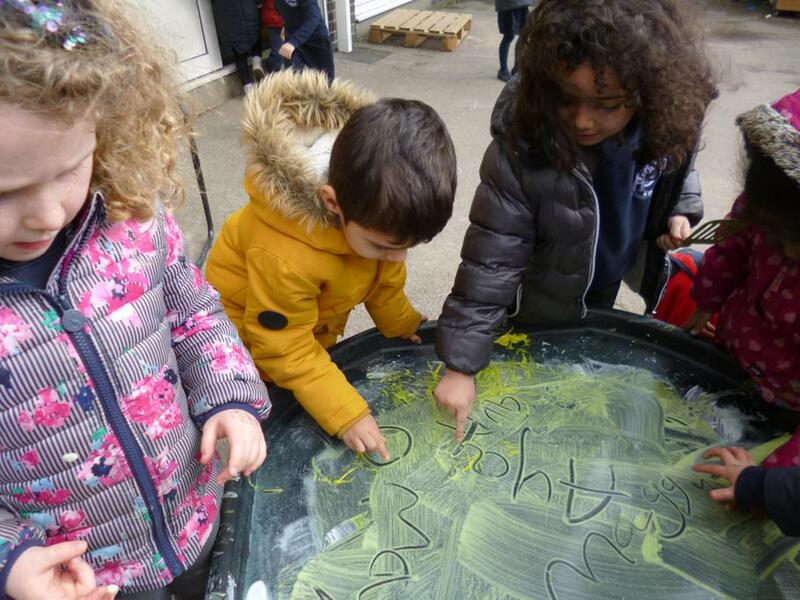 We have been practising how to count, say and write them. On the carpet we have been playing the one more or one less game. 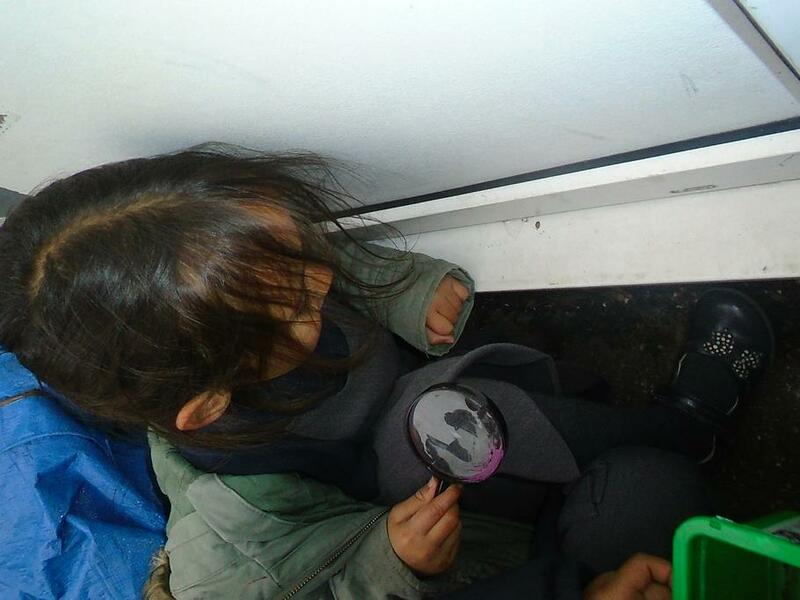 At home give your child tasks of finding 10 items. Can you think of different ways to make 10? 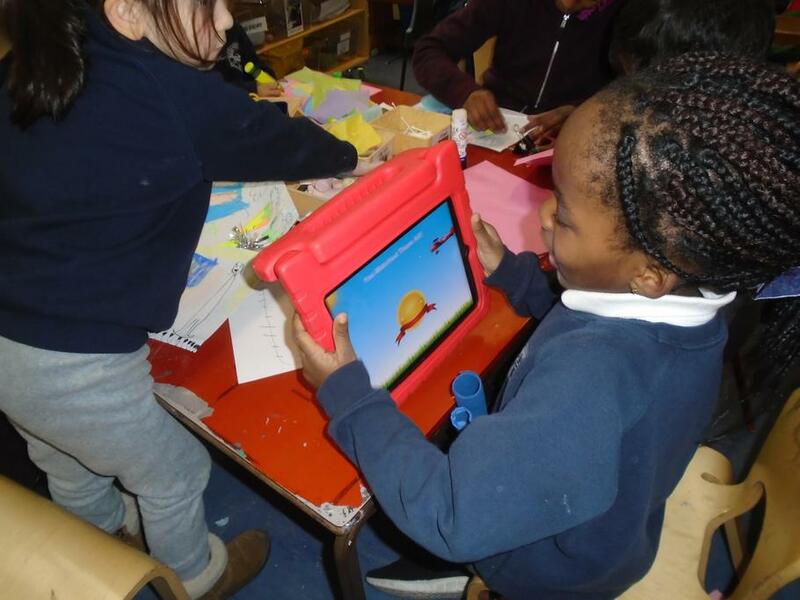 Thank you to Sophia's mum Hannah, who donated an iPad to our class and some brilliant resources. Thank you! In Maths, we have been learning our numbers from 1-8. 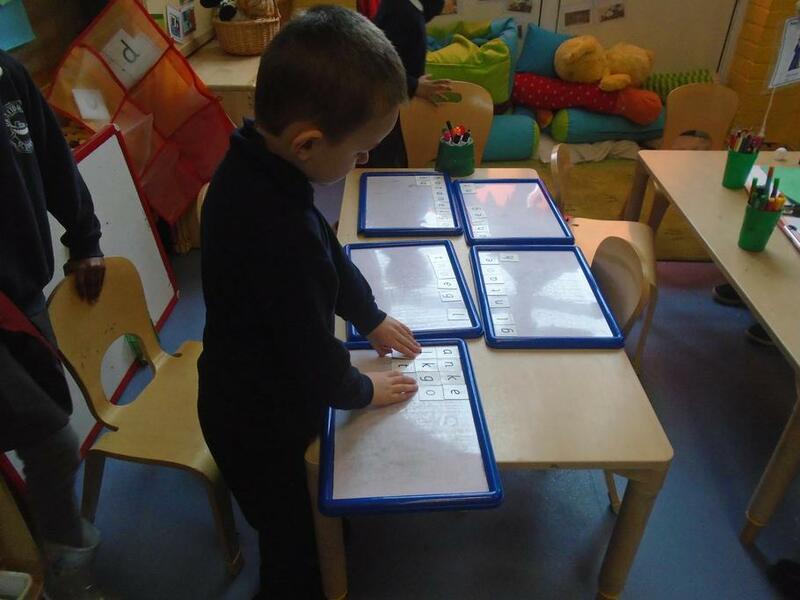 We have been practising how to count, say and write them. On the carpet we have been playing the one more or one less game. At home give your child tasks of finding 8 items, 6 red items 5 square objects etc. In phonics we have been learning to read, write and say the sounds f, e, l and h. The children are making great progress with writing their sounds in their phonic's books. 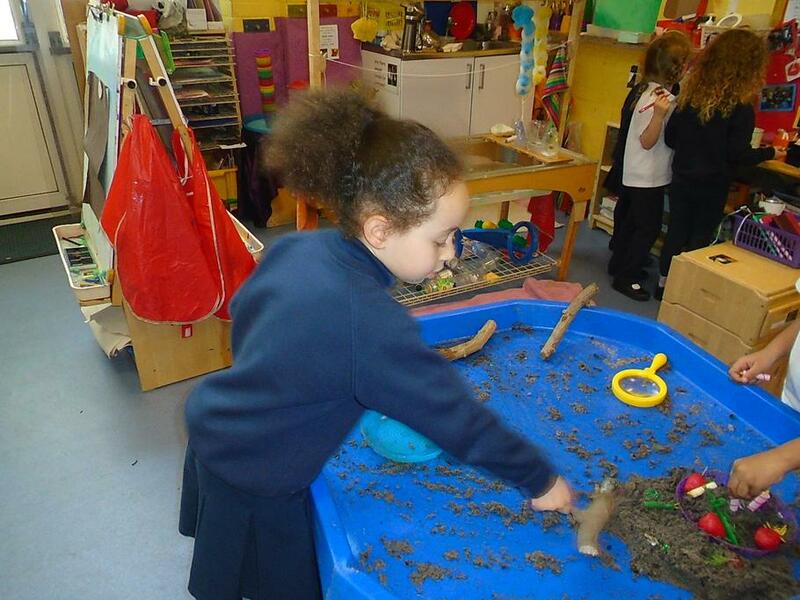 This week in Moon class, we have continued with 'We're going on a Bear Hunt' . We introduced a new story called 'It wasn't me' which is a story about conflict. The children loved discussing this book and thinking of ways we can be more kind to each other. 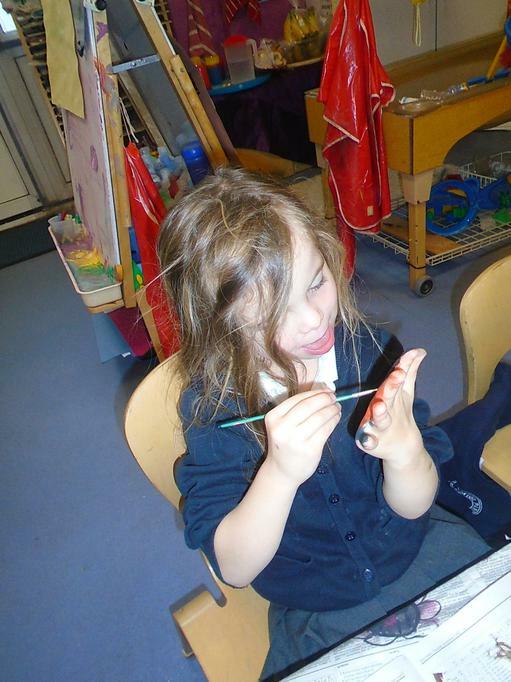 The children have been getting creative by painting bear masks, making their own poppies as its been Peace week across the whole school and drawing Huey characters from the story. 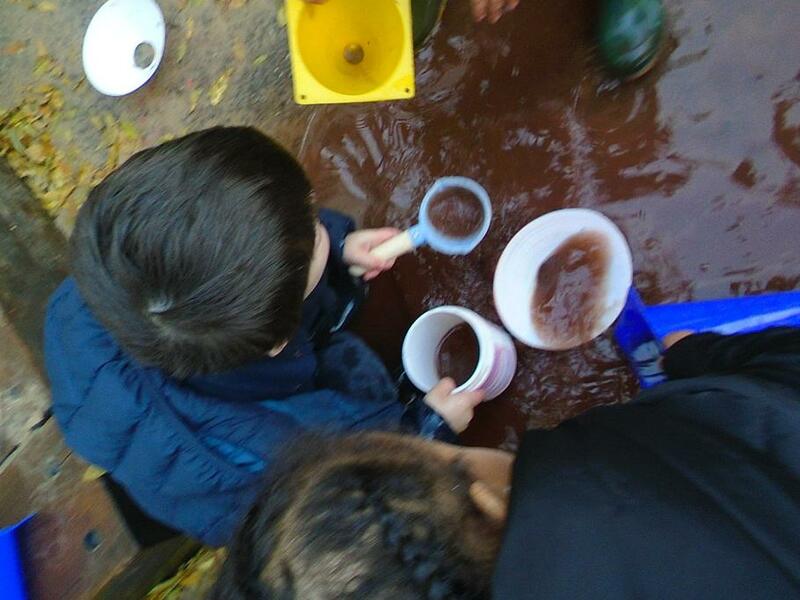 Ask the children what they enjoyed most this week. In Maths, we have been learning our numbers from 1-6. 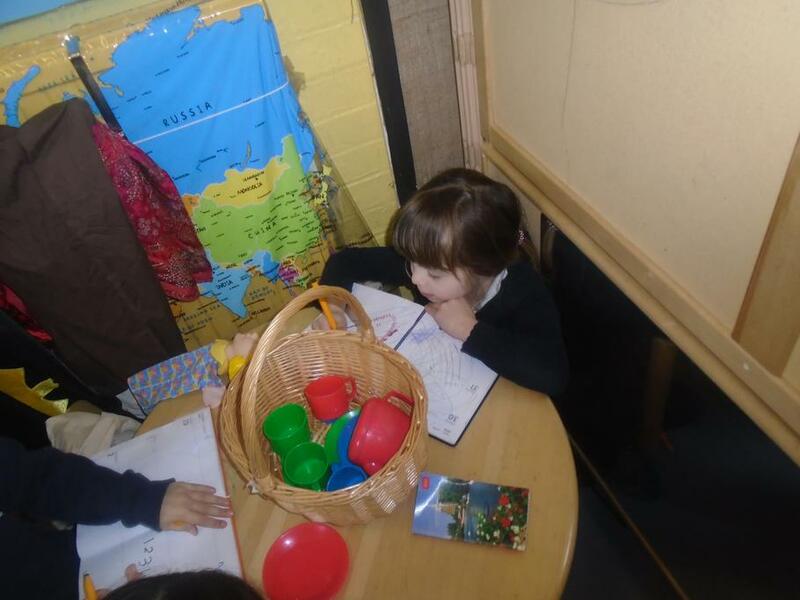 We have been practising how to count, say and write them. On the carpet we have been playing the one more or one less game. Ask me for one more than a number below 6! At home give your child tasks of finding 6 items, 5 items, 6 red items etc. Next week we will introduce the number 7. 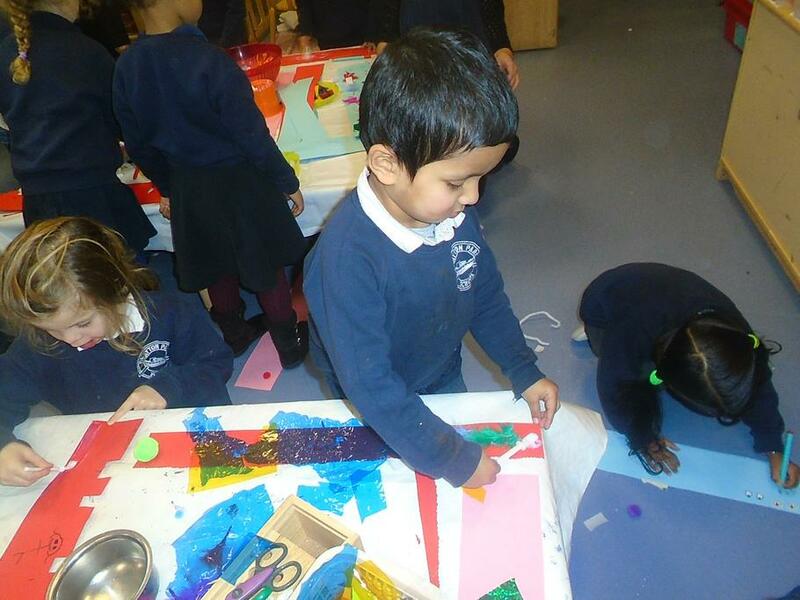 This week in Sun class, we have had a 'We're going on a Bear Hunt' creative week. 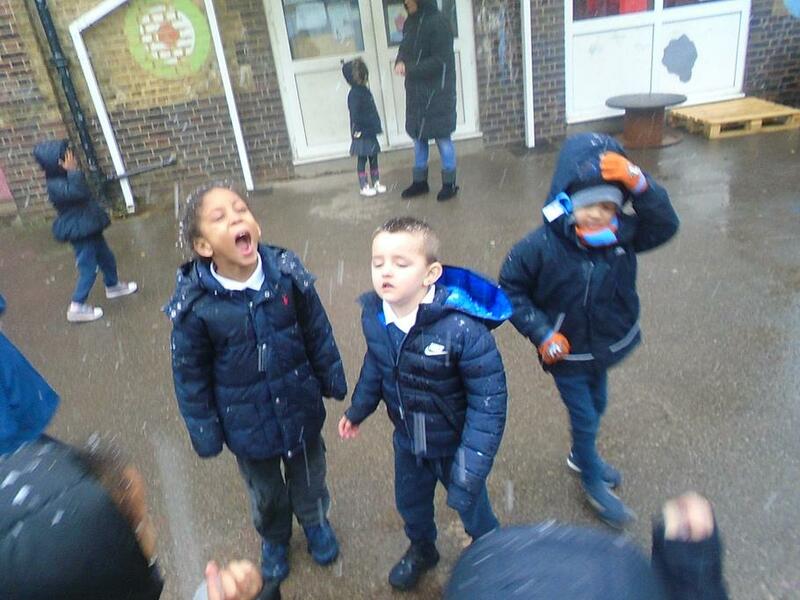 The children love joining in with the story and chanting the familiar parts. We created our own actions and sounds for each section of the story and even acted out each part. 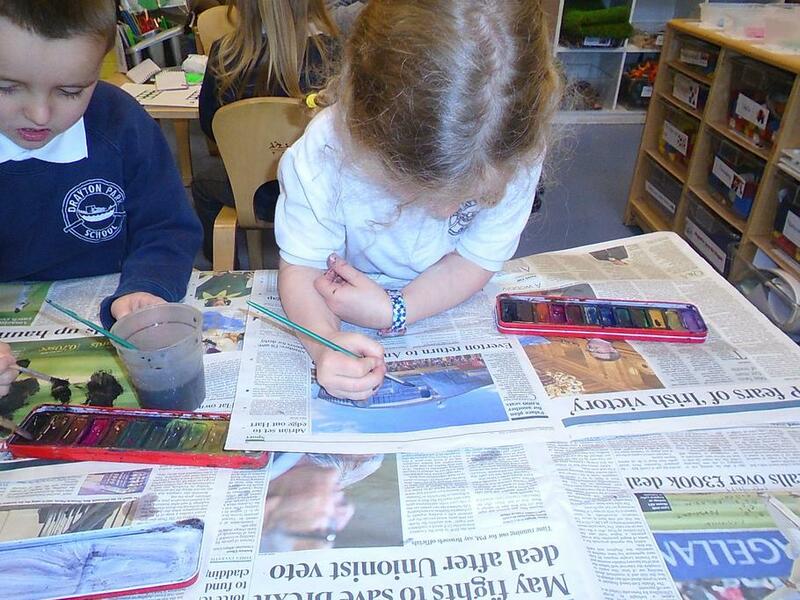 The children have been getting creative by painting bear masks, exploring different textures with bear pictures and finding out lots of interesting bear related facts. Make sure you ask me about the story and what I know about bears! In Maths, we have been learning our numbers from 6-10. 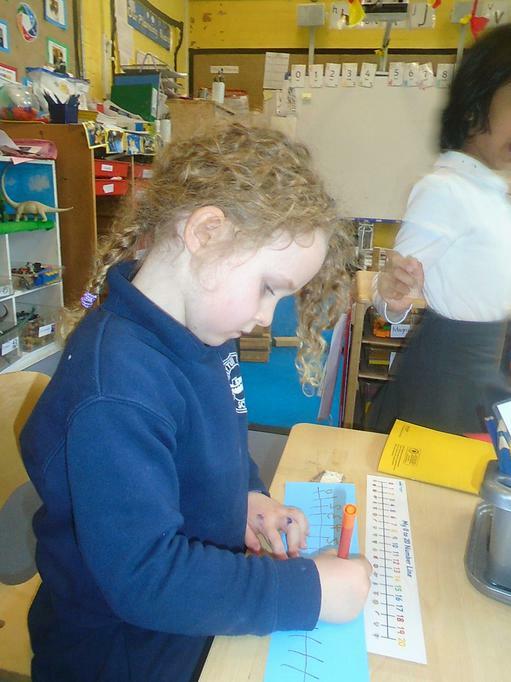 We have been practising how to count, say and write them. On the carpet we have been playing the one more or one less game. Ask me for one more than a number below 10! 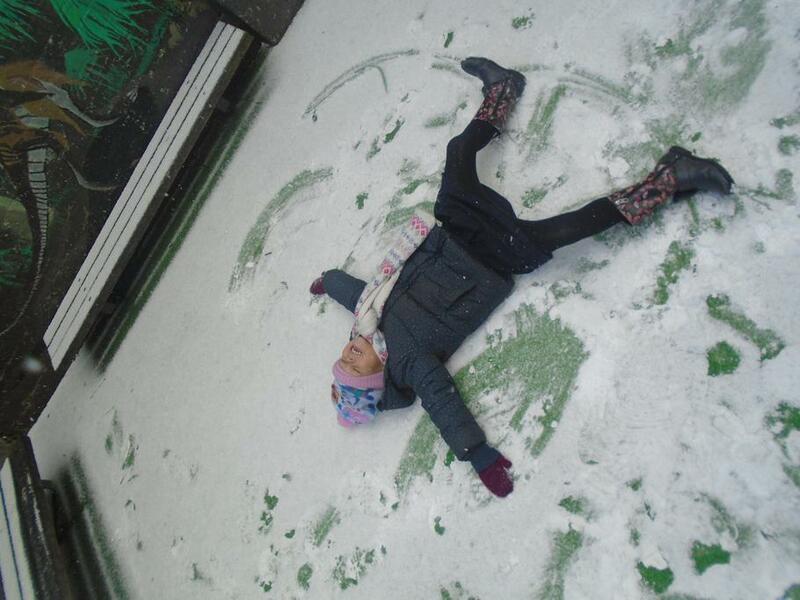 We hope you all have a fantastic, restful half term. 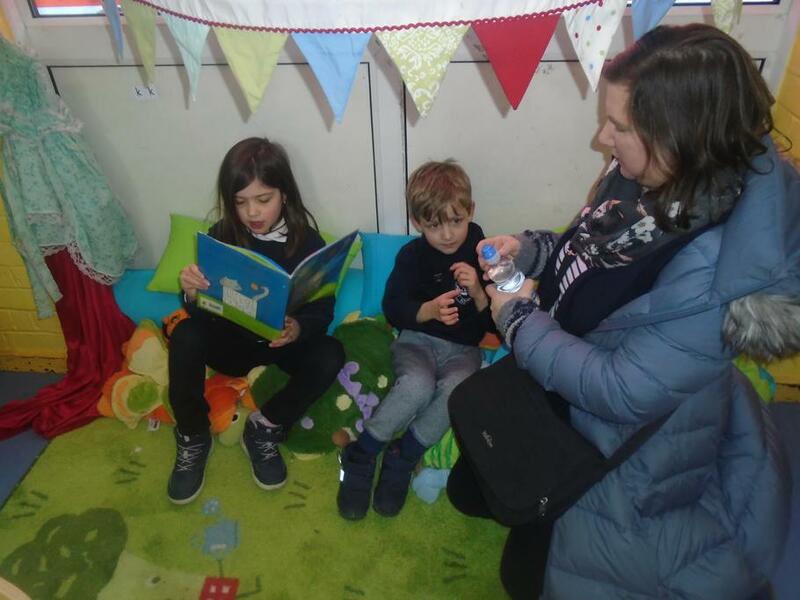 Read your book and have a go at your phonics CVC words, be sure to relax and be ready for the busy Autumn term 2. 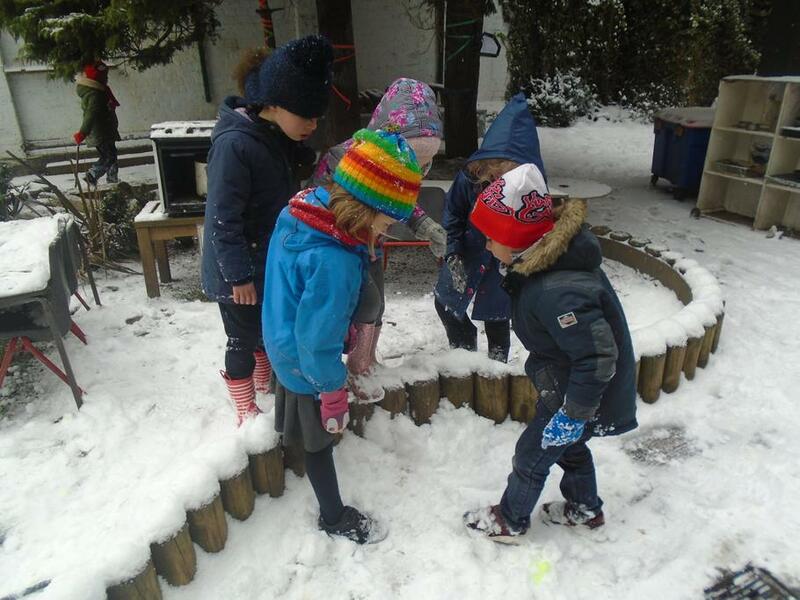 In reception we have been continuing to settle into the class routines, school routines and playing sensibly outside. 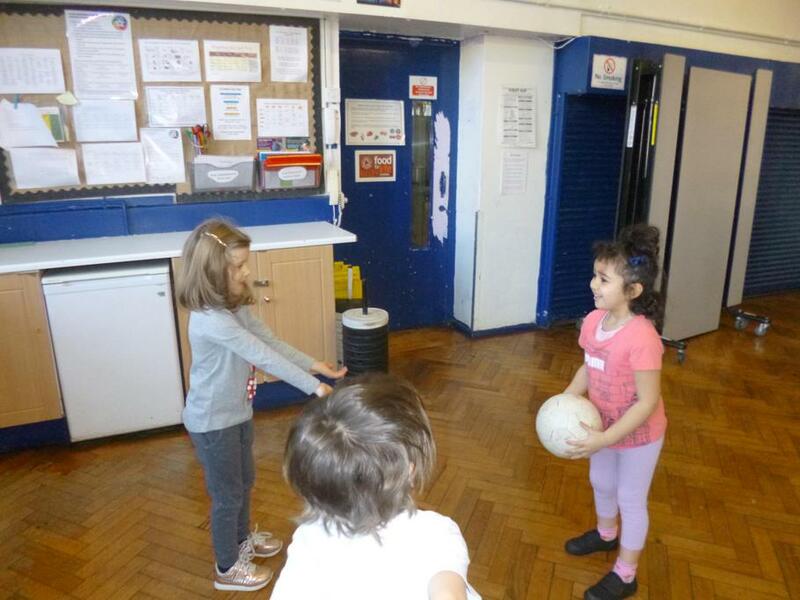 We have also started PE this week in the Top Hall. 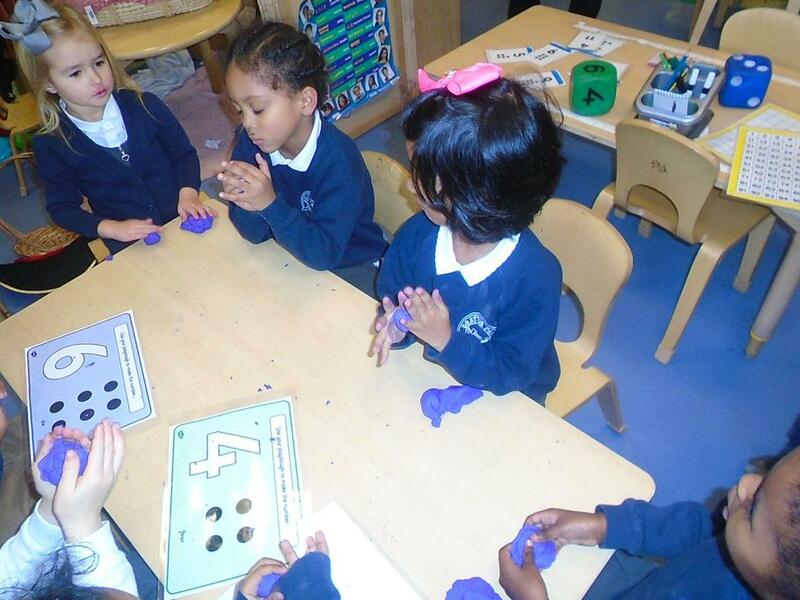 In maths the children have been learning to recognise, count numbers 1 - 5. 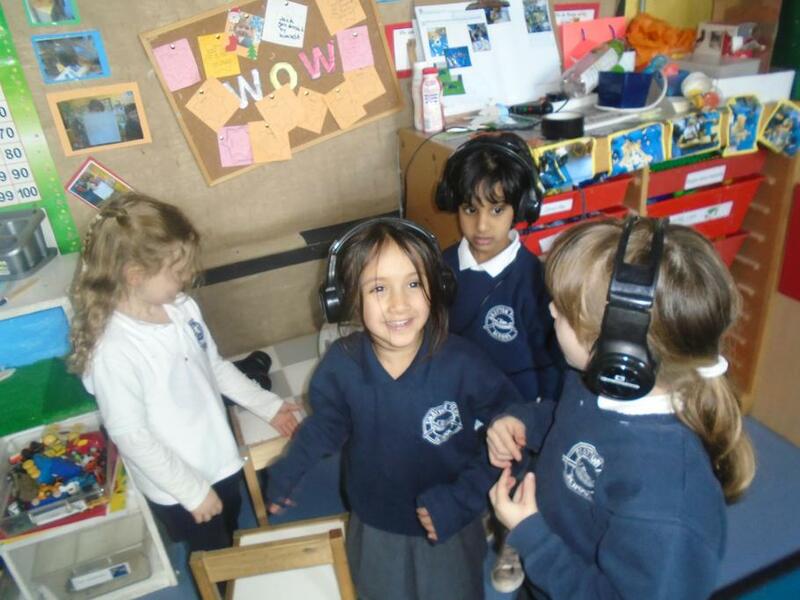 In phonics we have started singing phonics songs every morning to start our day and begin to play phonics games. 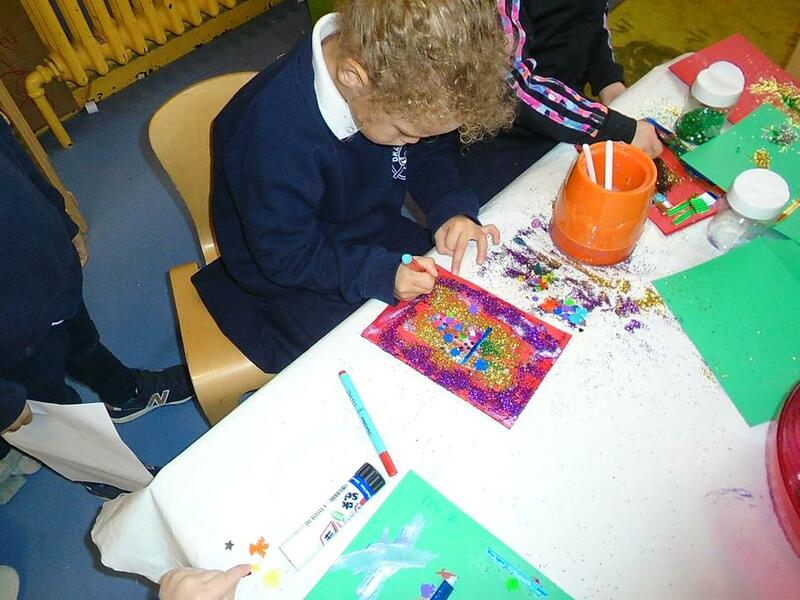 The children in Moon class have been creating art work relating to our class story the Little Red Hen. Please ask your child what is the story about? 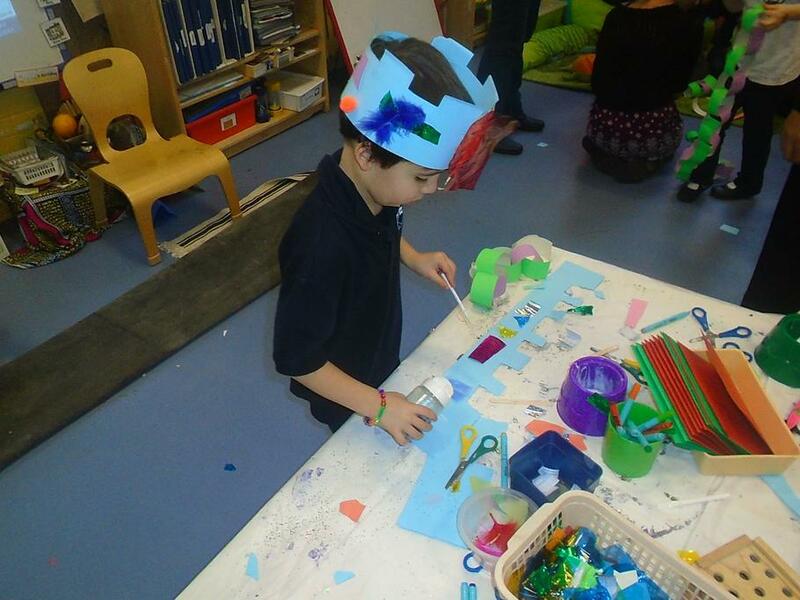 In Sun class we have loved making things out of junk modelling. We would like to say a big thank you to all of the parents who came to the integrated learning morning and joined us in class, we valued your input. 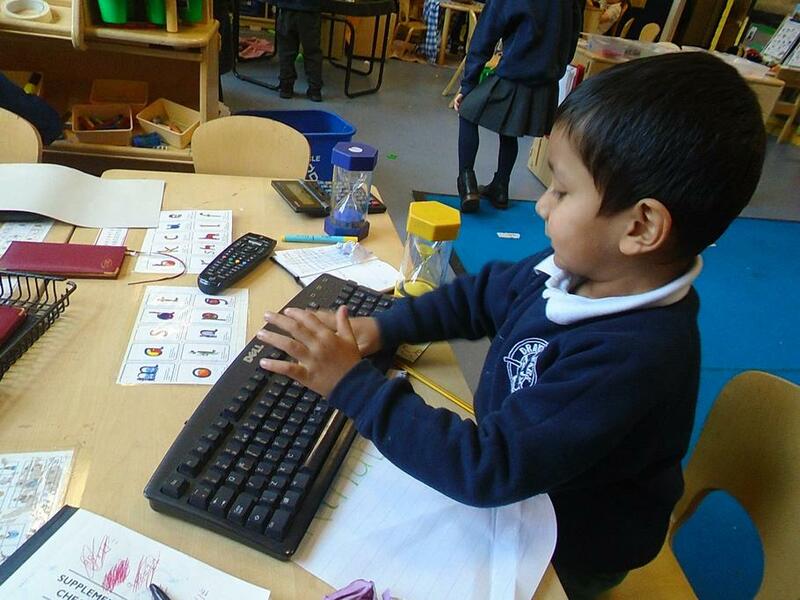 In reception this week we have begun learning some alphabet songs to get us started with phonics. 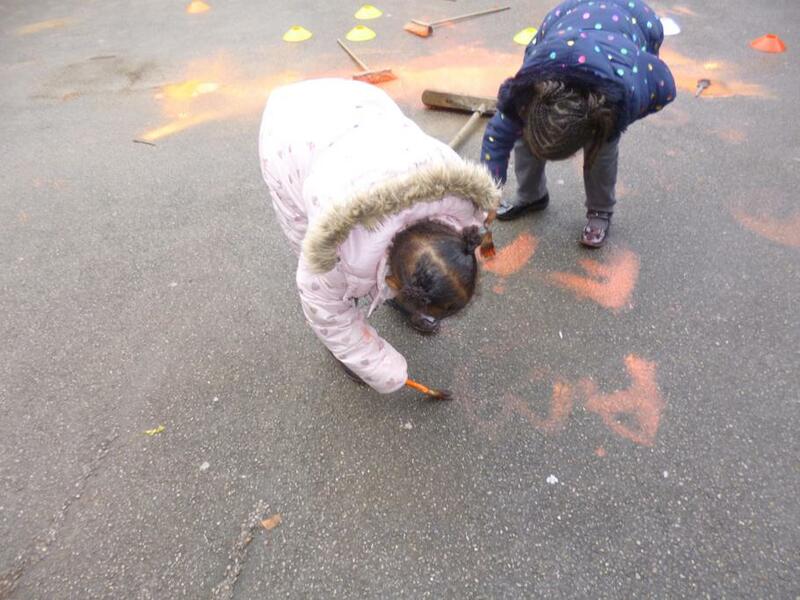 The children have all loved joining in and getting to know the letters and sounds of the alphabet. 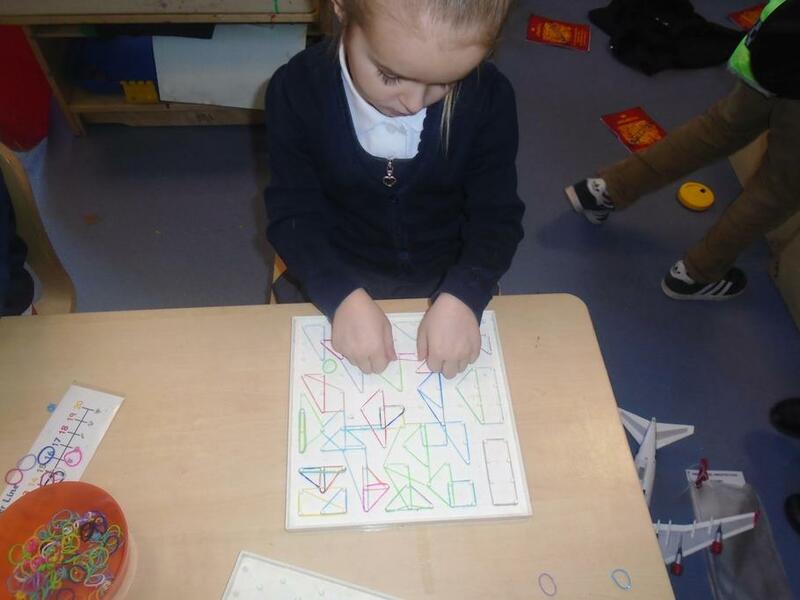 In maths we have been learning about different 2D shapes and have been sorting them in different ways. 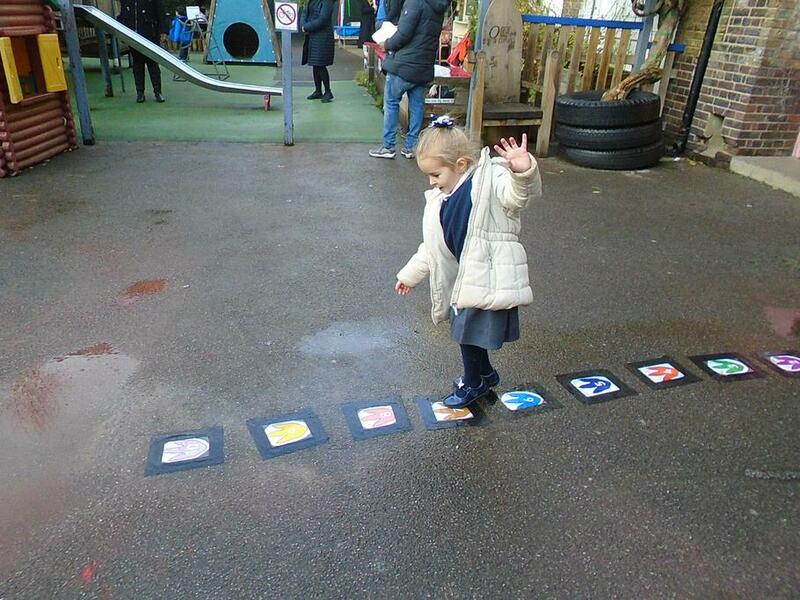 The children were great at telling the adults the difference between a triangle, a square, a circle and a rectangle. 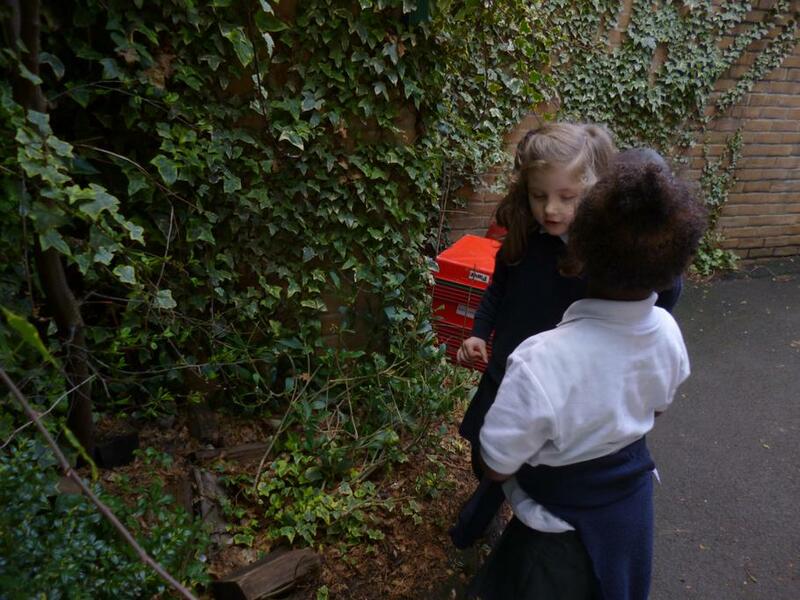 We have been talking lots about the changing seasons in Reception this week, and Sun class were really lucky to be able to visit Olden Gardens and go on a Autumn nature hunt, where we collected leaves, berries and twigs to make collages back at school. 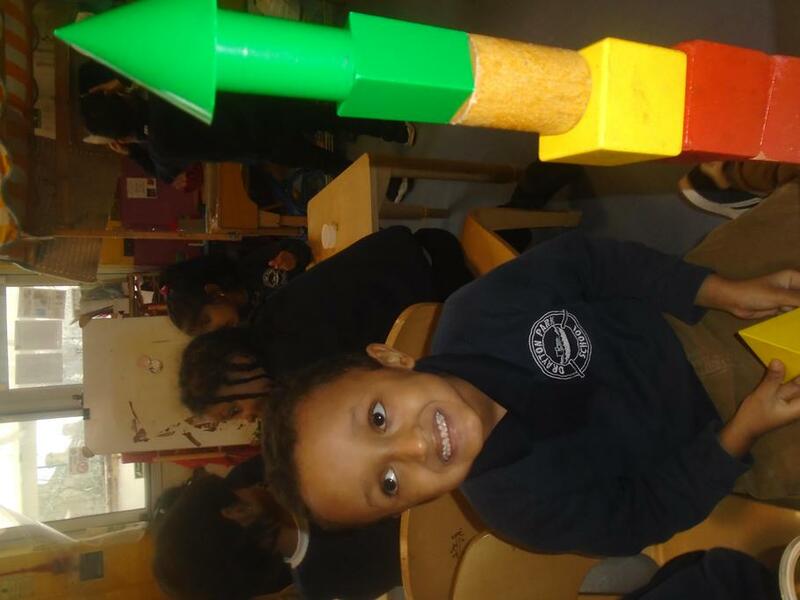 Take a look at our great photos from the week! 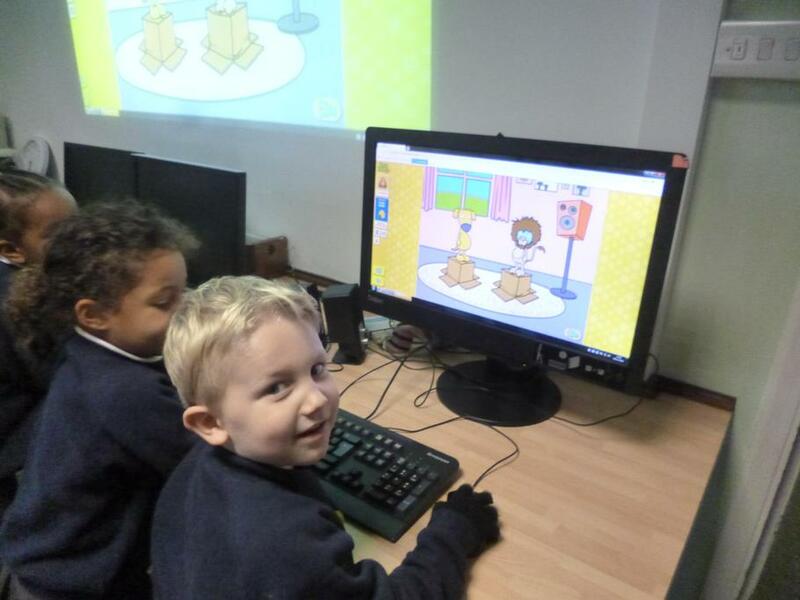 Reception class have also been settling in really well, getting to know their new classrooms, teachers and of course making lots of new friends. 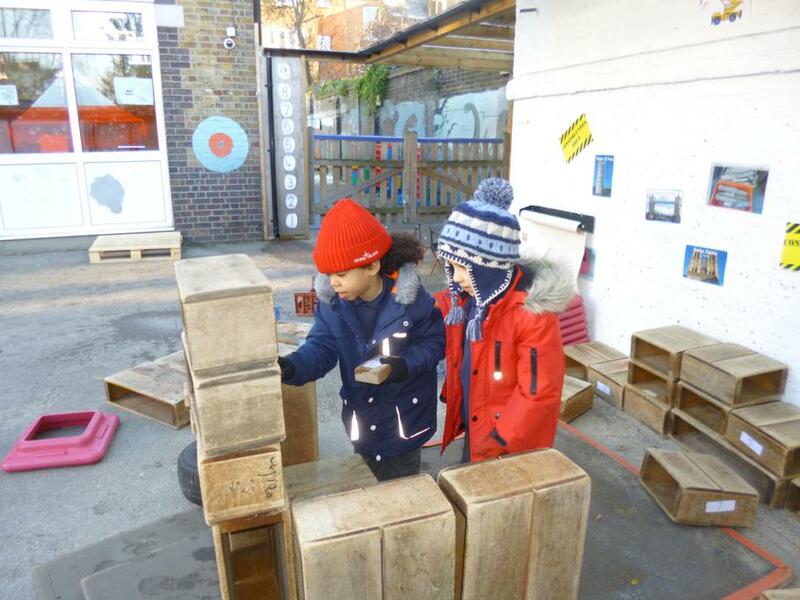 Reception children have responded well to the set up and we are confident that all children are feeling settled and happy as we establish our new routines for inside and outside. 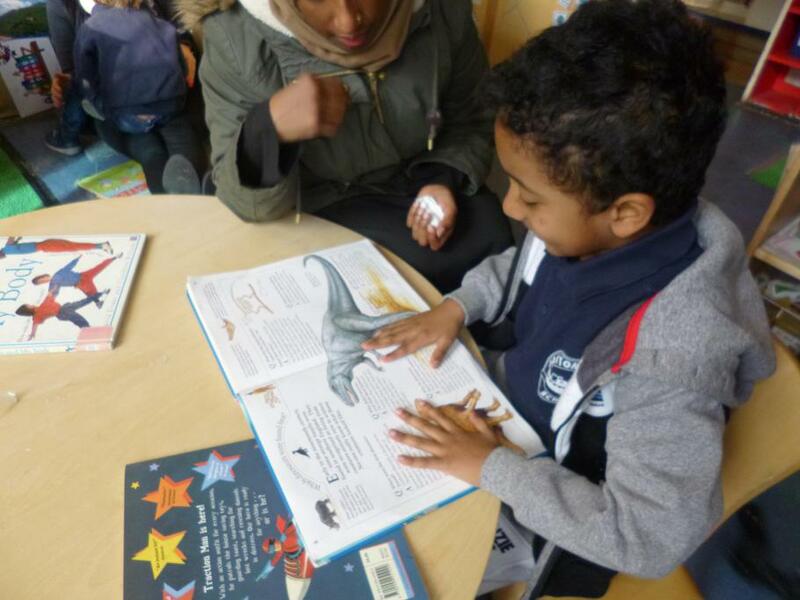 Sun class visited the library for the first time together as a class and really enjoyed listening to a story and choosing a book to read. Thank you to all the parents who supported our trip. 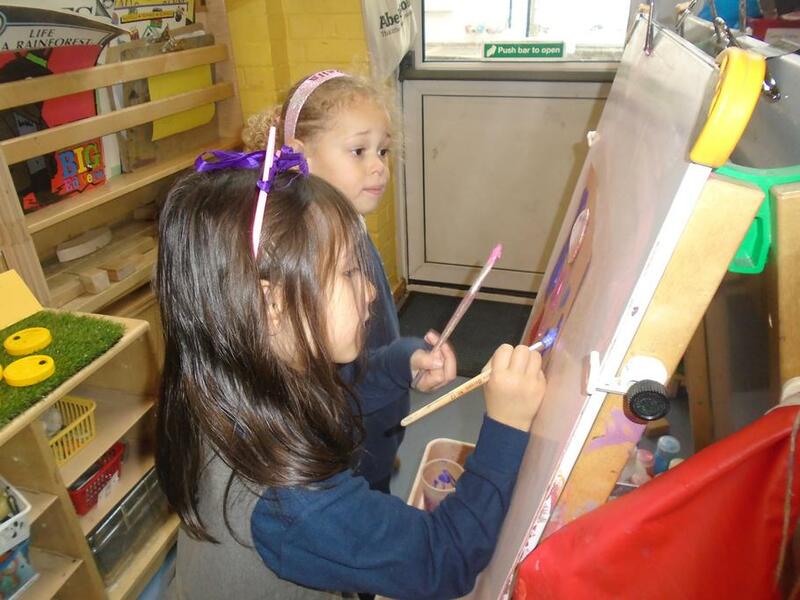 The children in Year 1 have amazed us with how well they have started! We have been getting back into phonics teaching, reminding ourselves of our sounds and blending. We have been thinking about ourselves, as part of our all about me topic and begun to do some writing about our interests and our families. 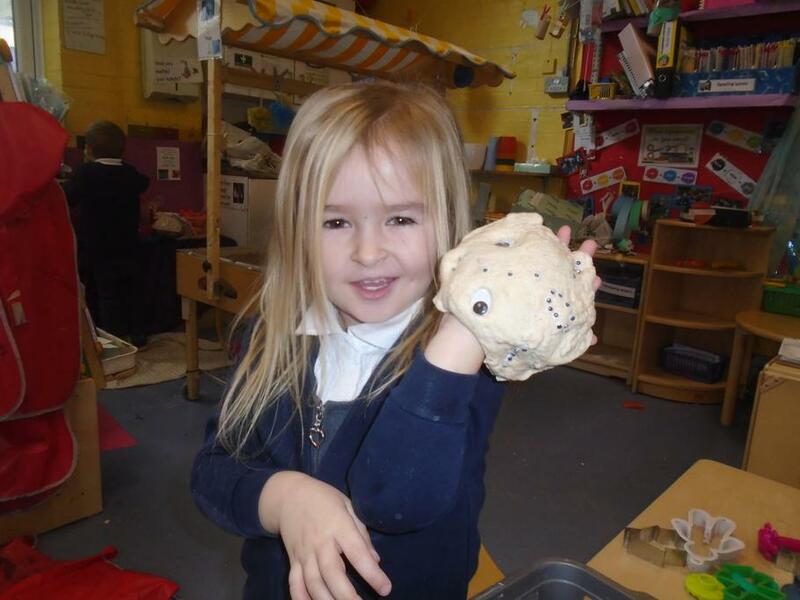 The children in Year 1 have also enjoyed learning about the different 3D shapes and their properties. 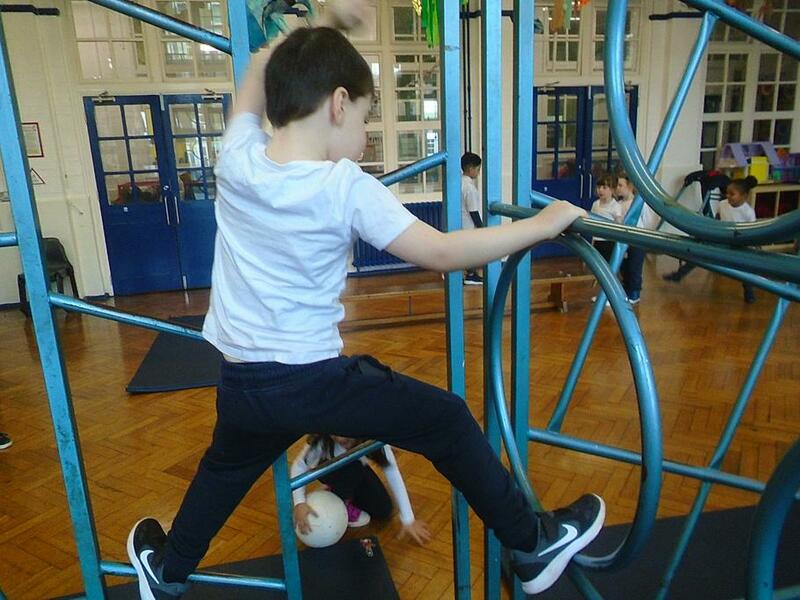 In science, we have been learning about parts of the body and learning why it is important to eat healthily. Why not ask me the difference between healthy and unhealthy food? 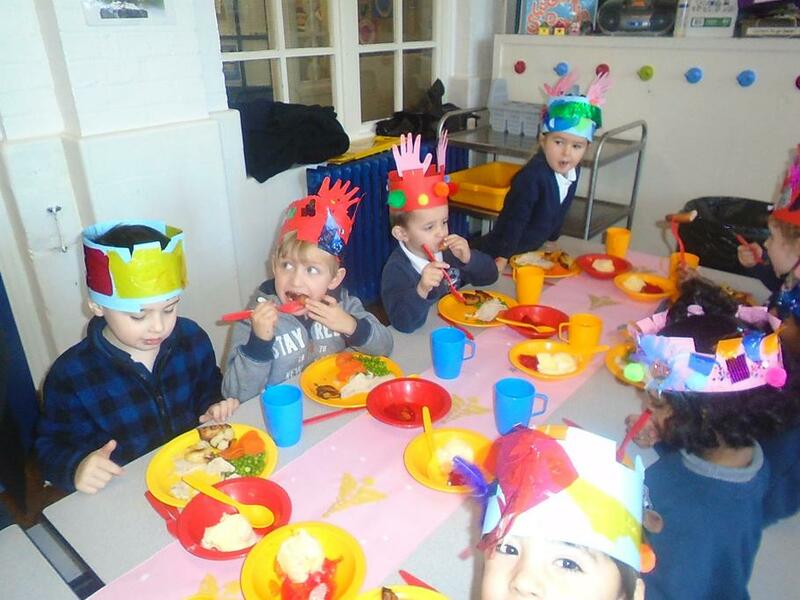 What a fantastic start to our new year, Year 1 - well done! Thank you to all the parents who attended our meet the teacher sessions in Venus and Sun this week, it was really great getting to know you and answering some of your questions. Moon Class' meet the teacher is next week and it will be great if you could come along with any questions you may have. Enjoy your weekends! This week we had a visit from Dogs Trust, thank you Tigger (the dog) for letting us play with you. 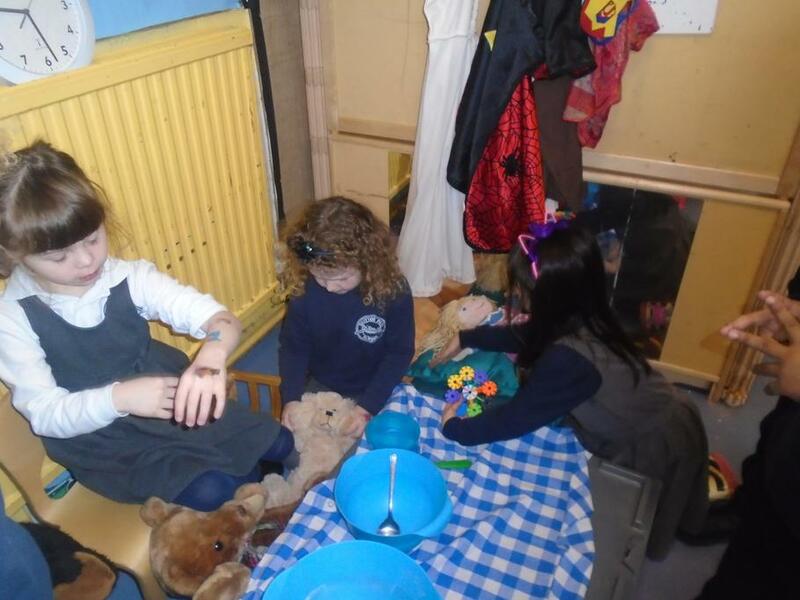 the children learnt how to look after a dog and the daily routine of a dog. 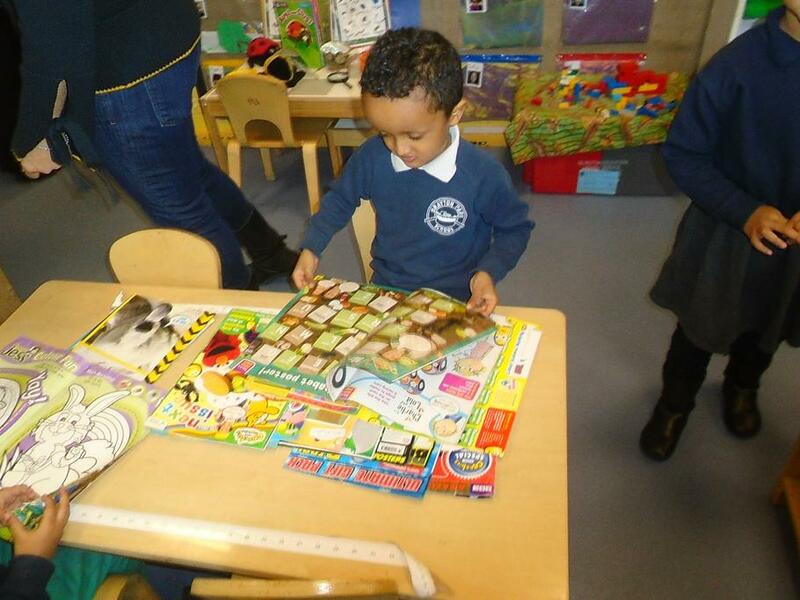 We have continued learning Set 1 and 2 sounds and building confidence when reading. Please encourage your child to show off at home and read things to you, i.e shops signs, packet label and other print in the environment. Please continue working on the high frequency words that we have given you if you need a new one let us know. 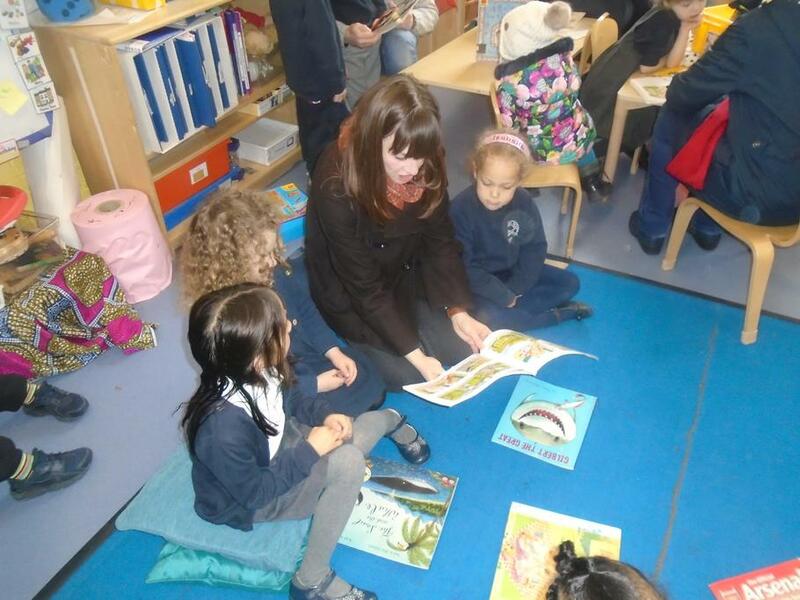 The children have enjoyed reading the Singing mermaid. We had a FANTASTIC time on our trip to the little Angel theatre. We have been understanding the language of; full, nearly full, nearly empty, empty, and half full. The children are getting better at recognising set 1 and 2 sounds. Please work with your child on blending and segmenting cvc and ccvc words. In literacy we have started to read the Singing mermaid and made lots of predictions to what we think might happen next. 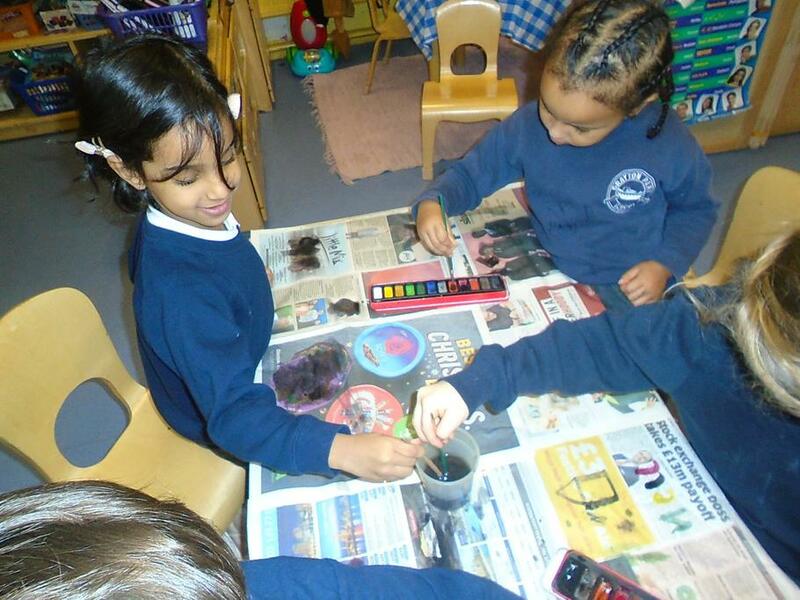 The children are getting better at using the information they know to make predictions. In maths we have been learning about the different coins such as 1p, 2p, 5p, 10p and using these coins to make different amounts up to 10p. 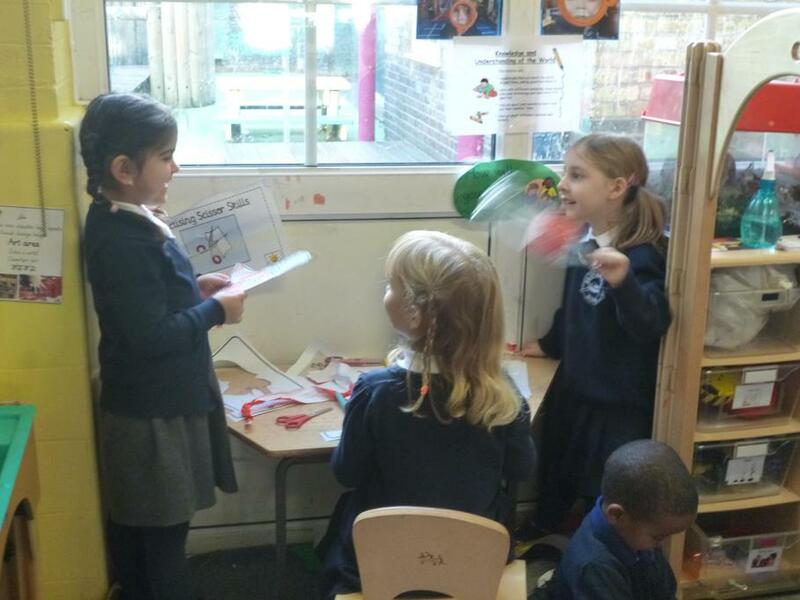 The children loved role playing being a shop keeper and a customer. In Phonics we have been continuing to learn our set 1 and set 2 sounds. 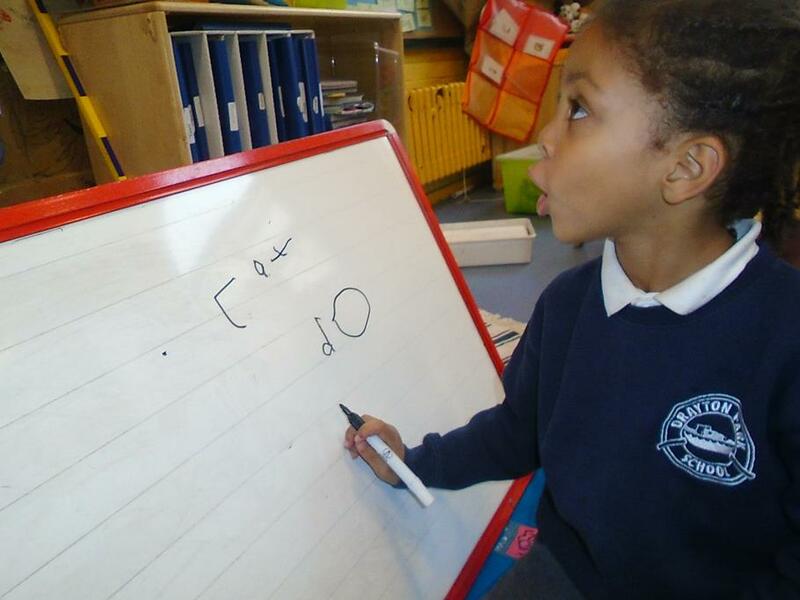 The children are learning to use their phonics in their writing. 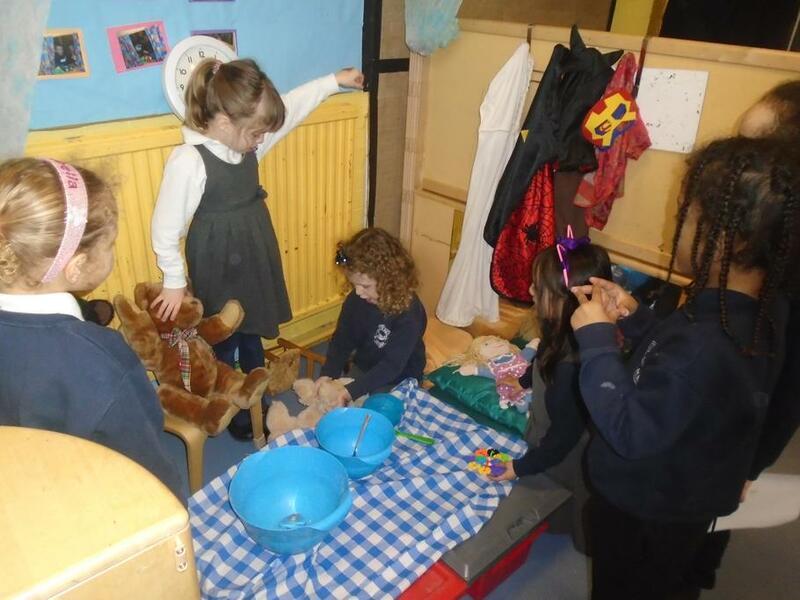 In literacy we have been reading Goldilocks and the three bears. 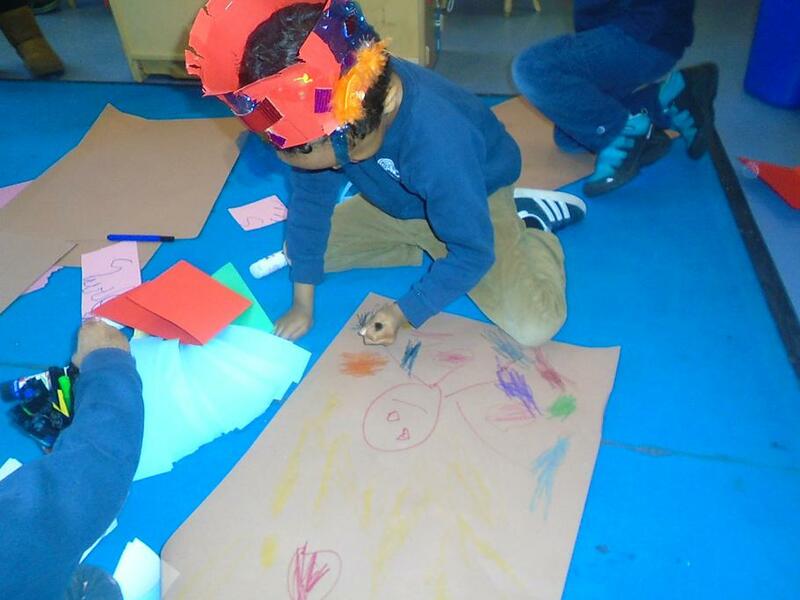 The children have been writing labels for pictures and sentences relating to the story using props and puppets. 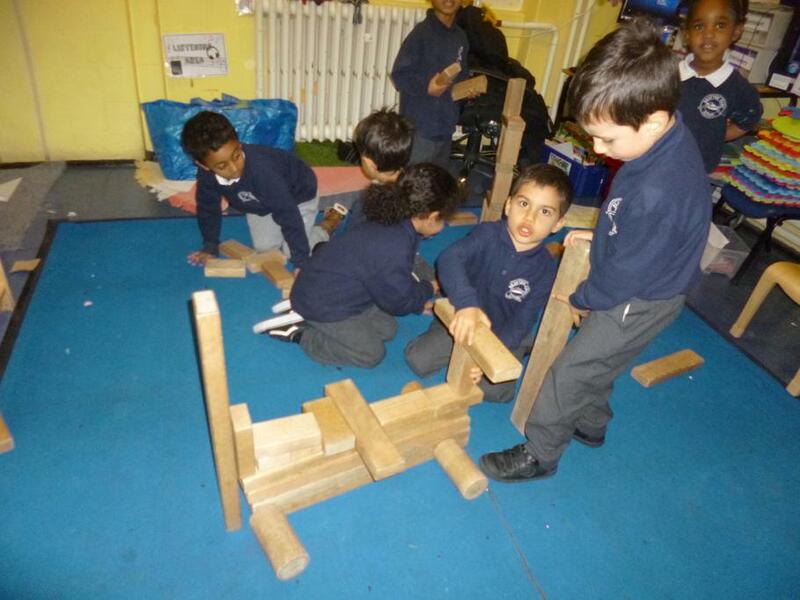 We have been thinking about if Goldilocks was right to go into the three bears house? 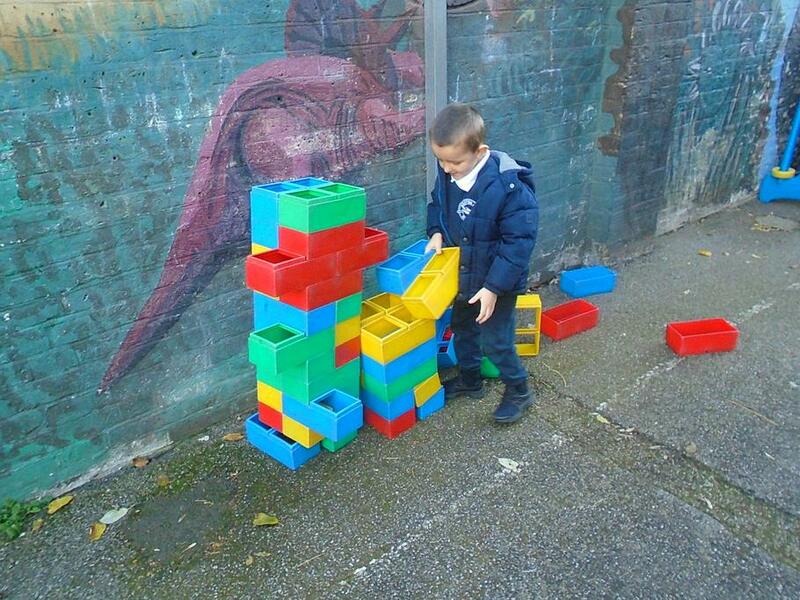 In maths we have been learning the names, describing properties and finding 3D shapes in the environment . 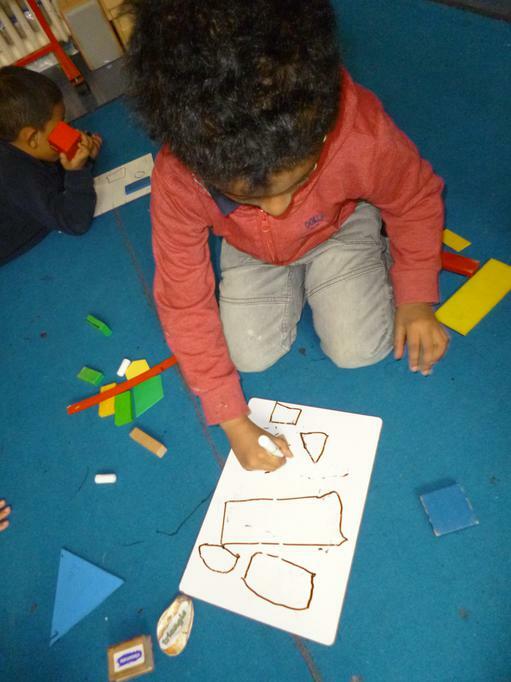 The children are much better at comparing 2d and 3d shapes. 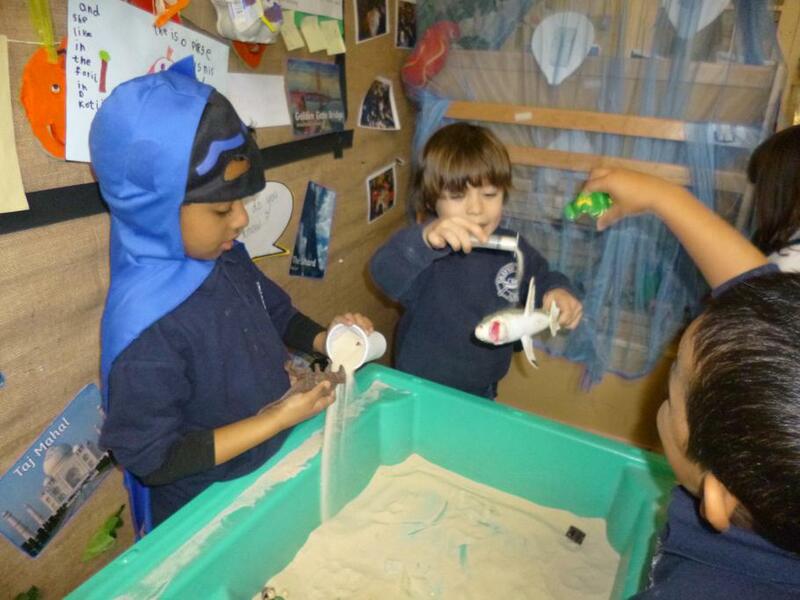 In Literacy this week we have been learning about superheroes. 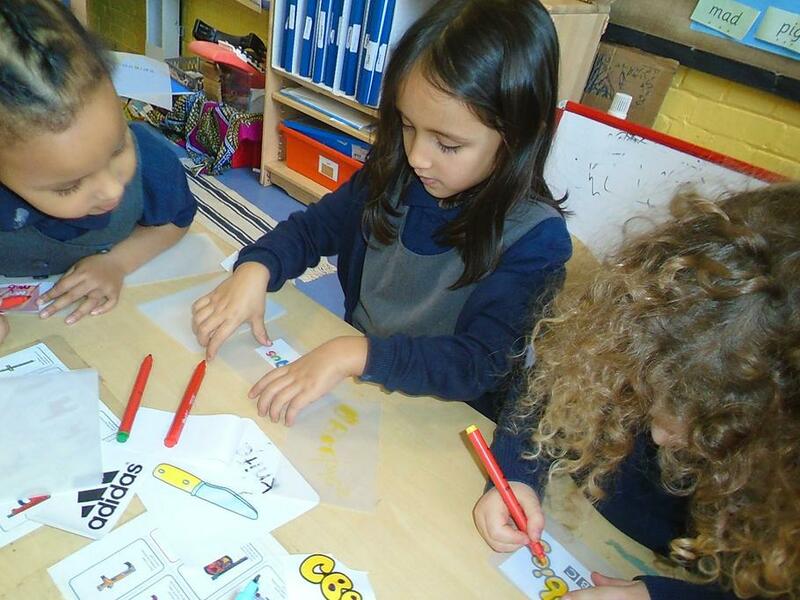 The children have been labelling, writing a sentence and writing their own comic strip. 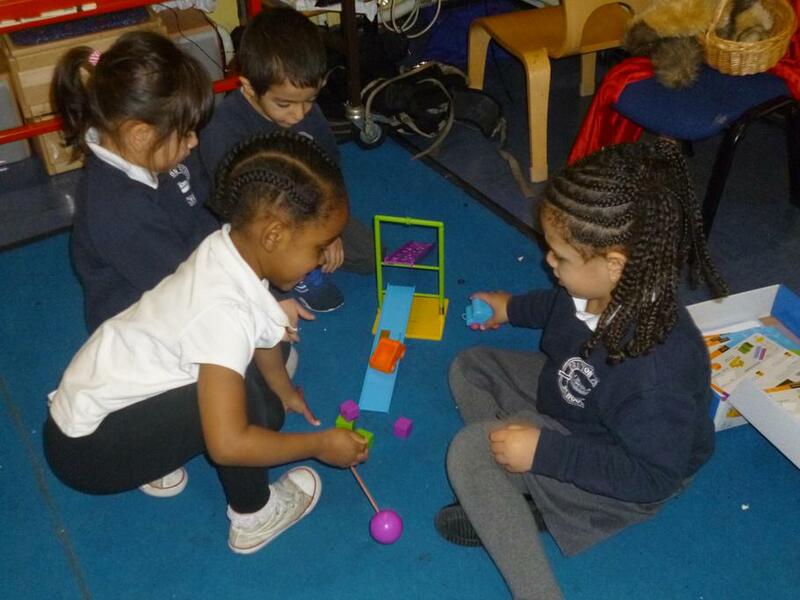 In maths we have been learning to distinguish between 2d and 3d shapes. We used language of sides, corners, faces, fat shapes and flat shapes and vertices. 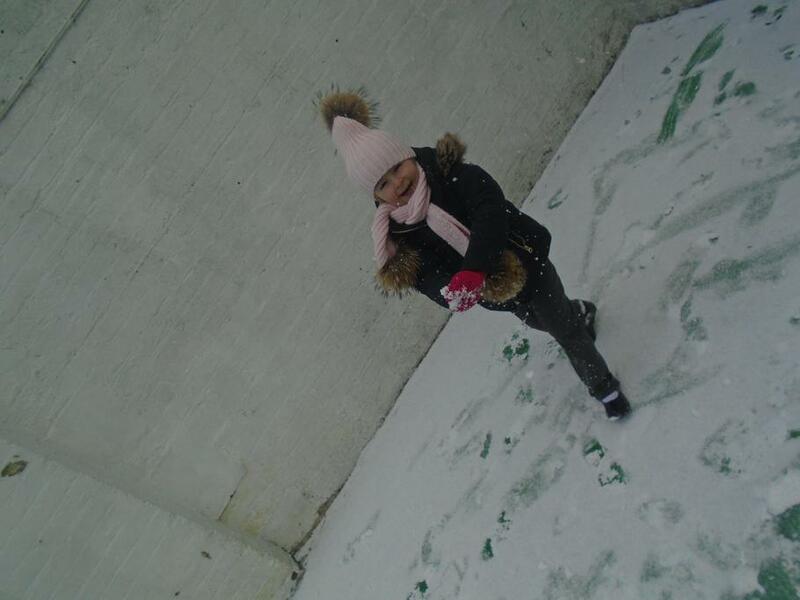 Ask your child to find a cube, cuboid, cylinder or a sphere at home. In phonics we have continued to learn our set 1 sounds but we have also introduced the set 2 sounds. 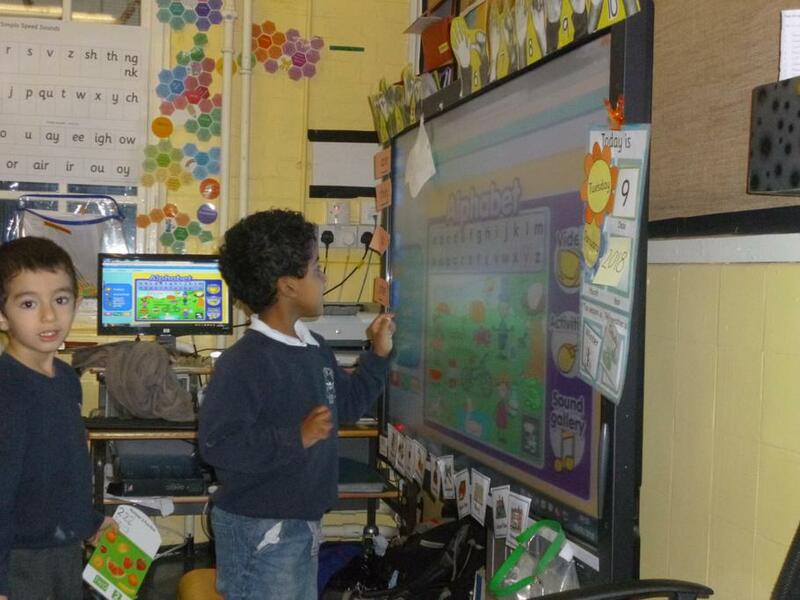 During the half term holiday please encourage your child to practise their phonics and high frequency words. Also please encourage your child to write a mini me superhero adventure. See you in a weeks times, have a lovely break! 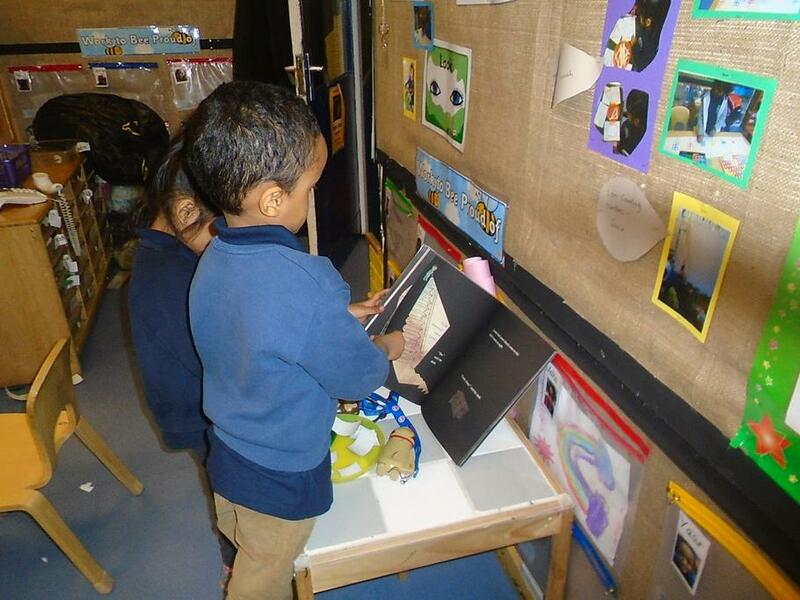 In Literacy we have been reading the story 'Traction Man' by Mini Grey. We used the story to help us think about superheroes and what they are. 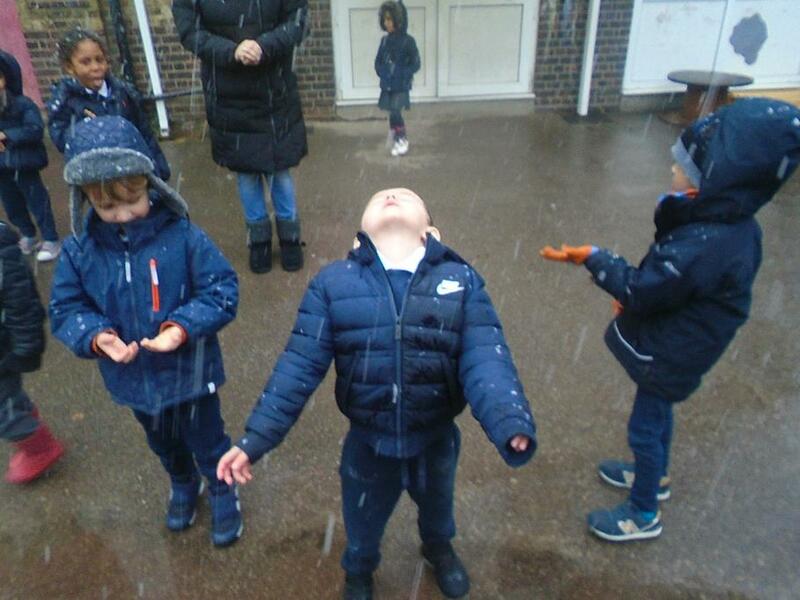 The children enjoyed sharing their special power with their friends. Please talk to your child about this story. What is it about? What happens at the end of the story? 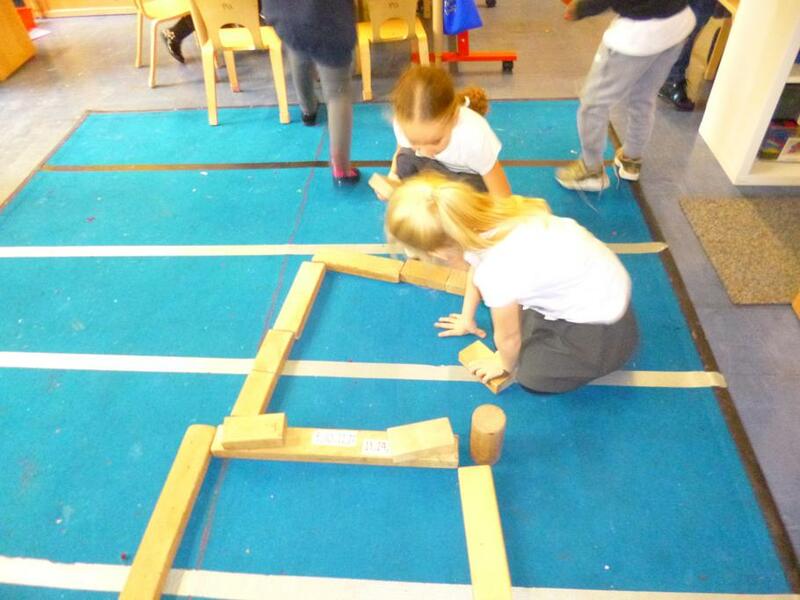 In Maths we have been learning to measure using non-standard measurements (cubes, foot, hands, counters etc) and standard measurements (ruler, measuring tape). 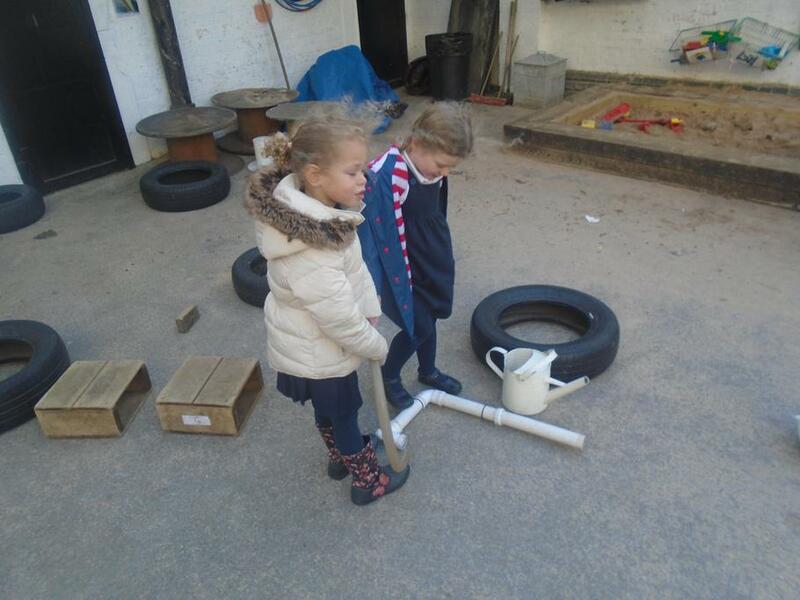 We have also been weighing two objects to see which one is the heaviest or lightest. 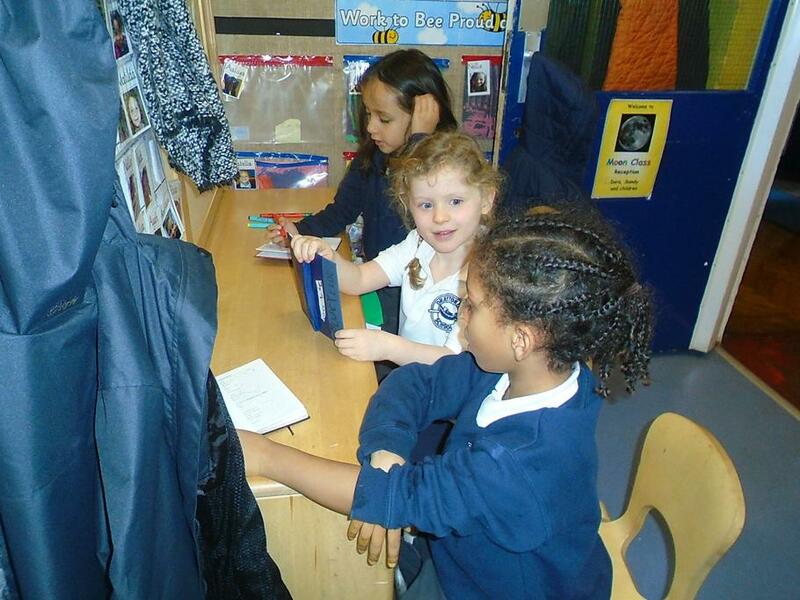 Can you find two objects at home and discuss which is heavier or lighter? 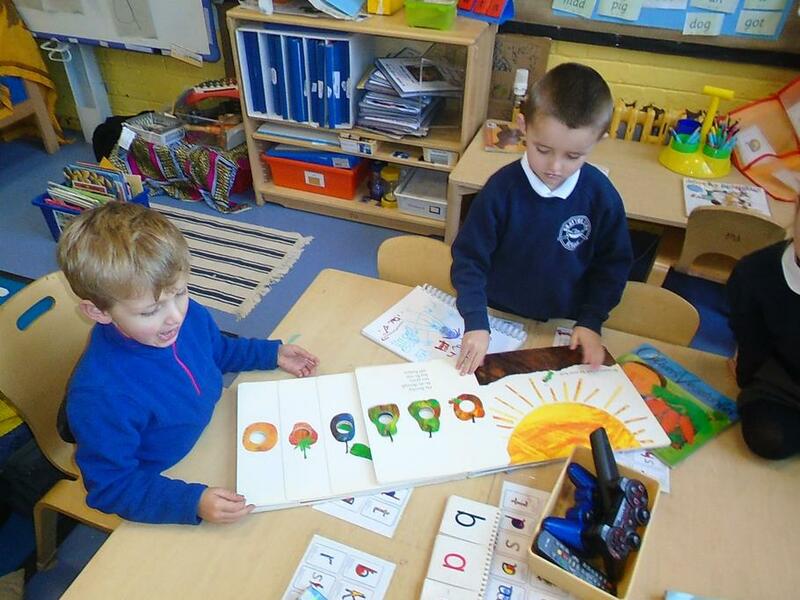 In phonics the children have continued to learn their set 1 sounds, reading the Ditty books and writing in their phonics' books. 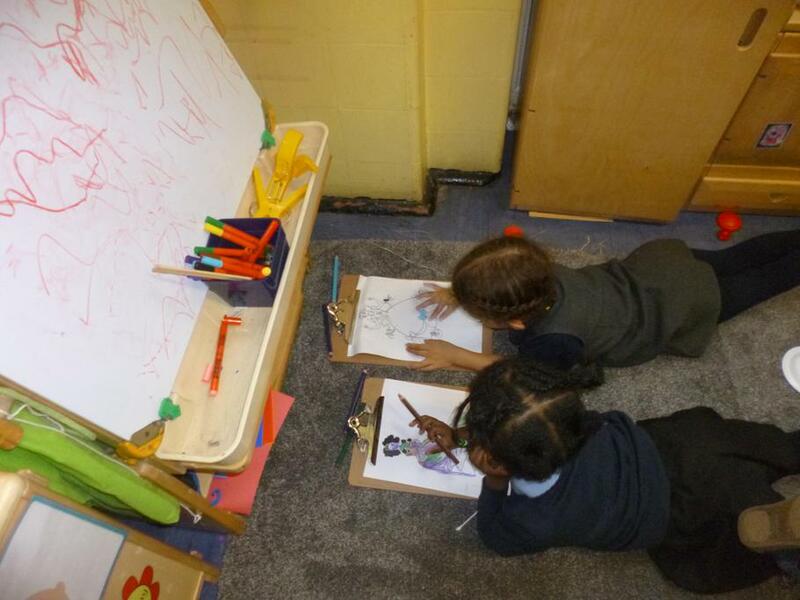 The children are getting much better at blending and segmenting cvc, ccvc, cvcc words and writing for a purpose. This week has been well-being week. We have been learning a new affirmation a day. I am unique, I am loved, I keep my body healthy, I can do it and I get better and better everyday. We have been talking about what these different affirmations mean to us and how we can use them with the people around us. Please talk to your child about these affirmations. 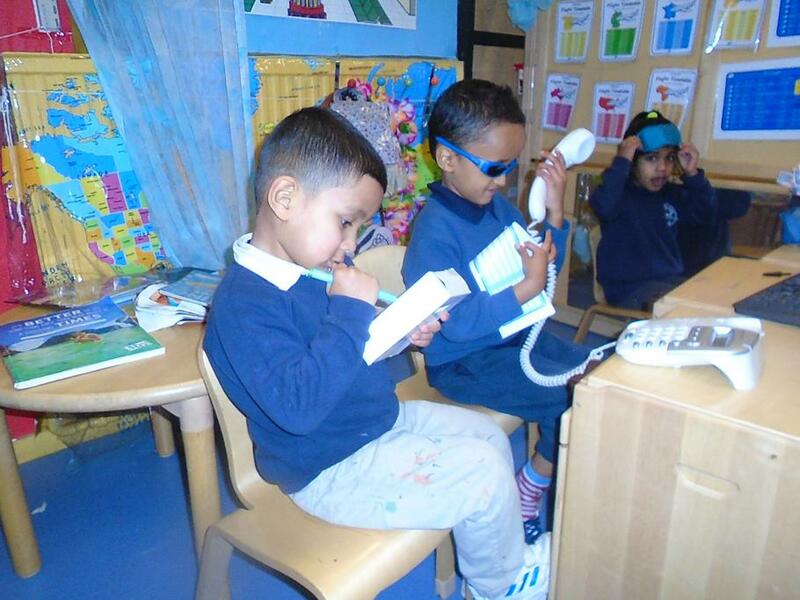 The children are becoming more and more confident with their letters and sounds and learning to read sight words. Please continue to read with your child on a daily basis. 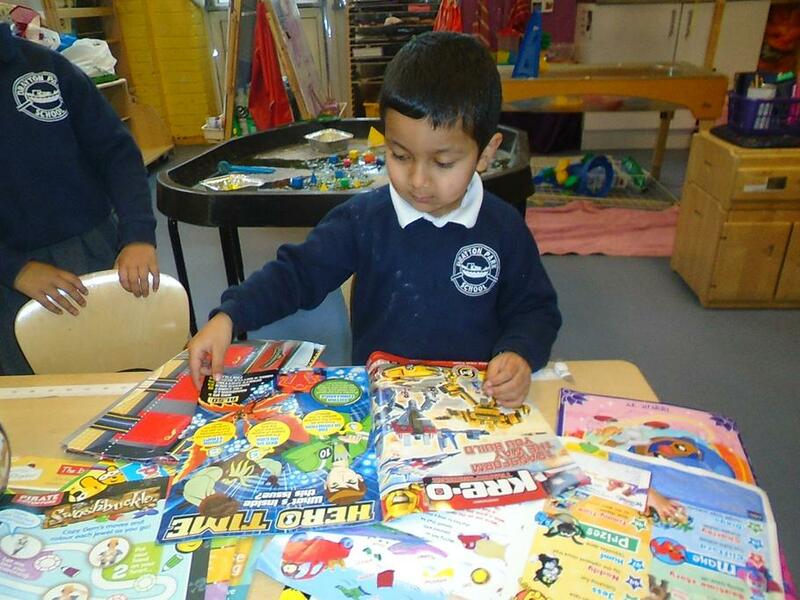 This week in Literacy the children have been creating their own story. 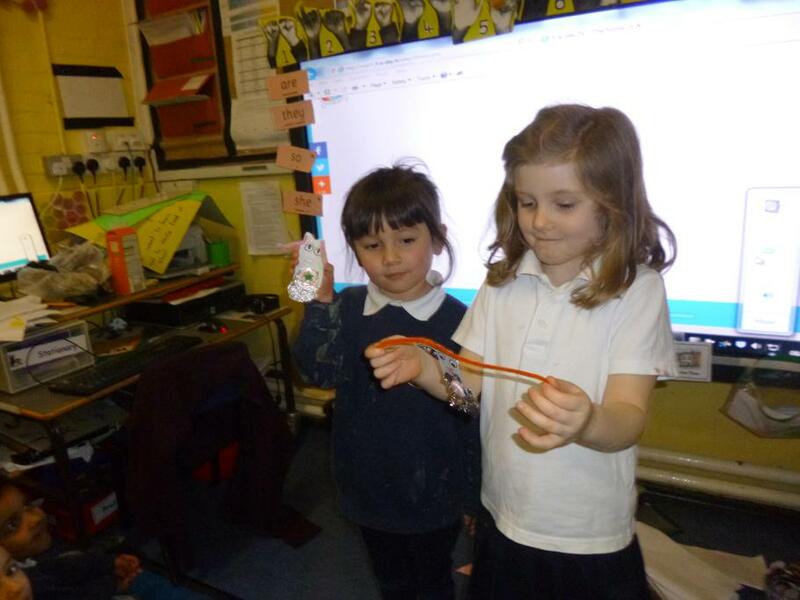 They have used fantastic story language and their own ideas. 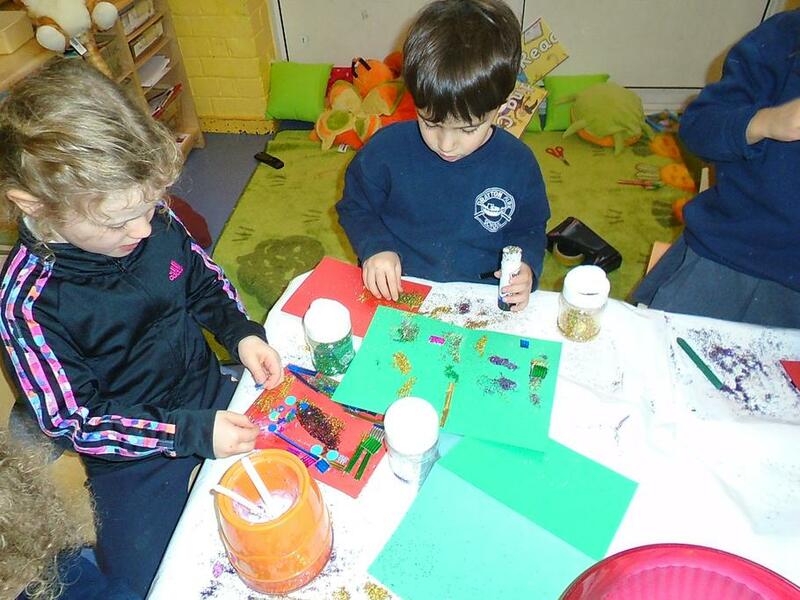 The children made their own story maps and starting making their own books. 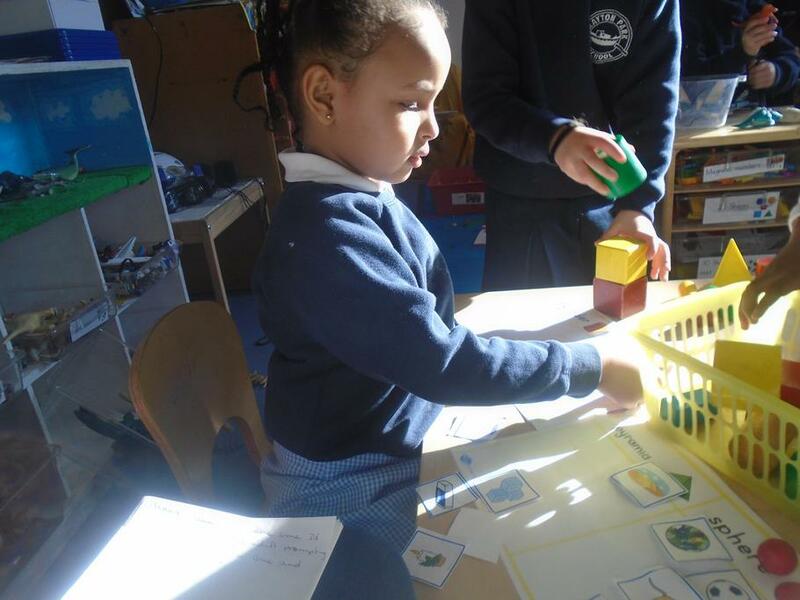 In Maths we have been learning how to make a good estimate using familiar objects in the class, such as cubes, pencils and farm animals. 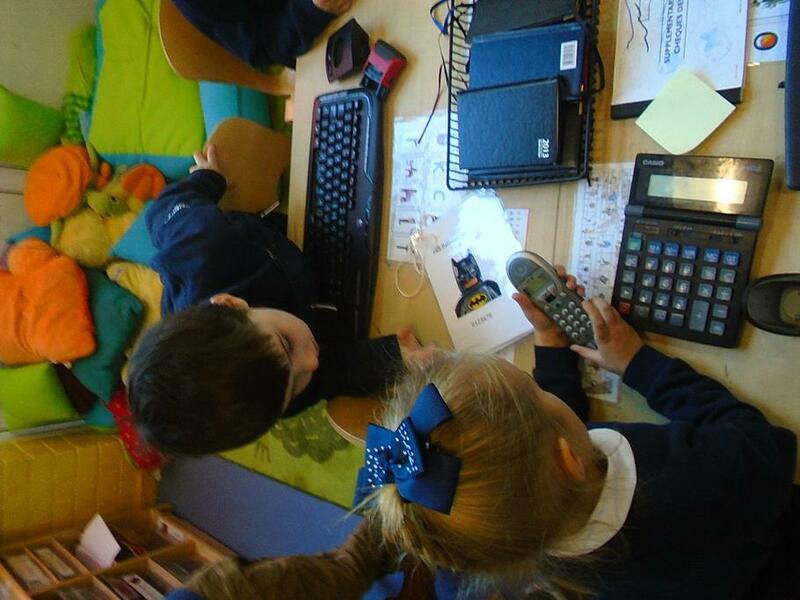 The children made really sensible guesses independently and then we counted out the objects as a class. They are starting to use their problem solving skills. 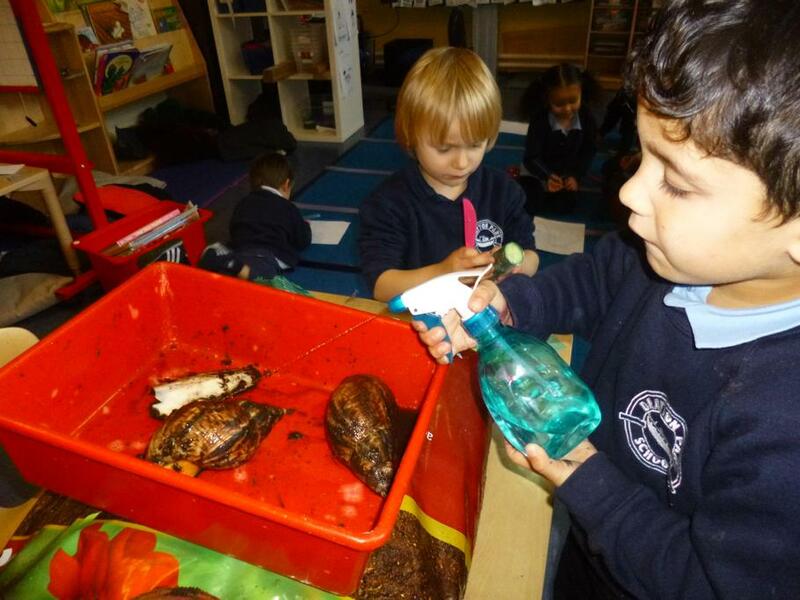 By reading a story '1 is a snail, 10 is a crab'. 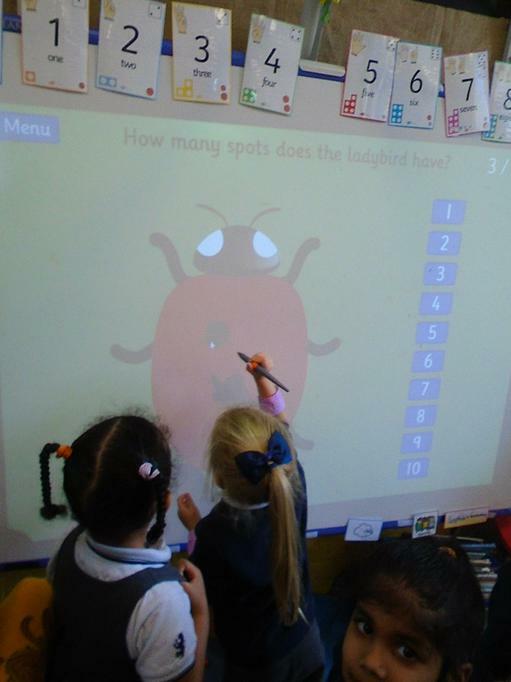 We have been encouraging the children to use pictorial representation of numbers, such how many legs has a spider, dog, beetle. Can you draw two animals at home and write a number sentence to with it? 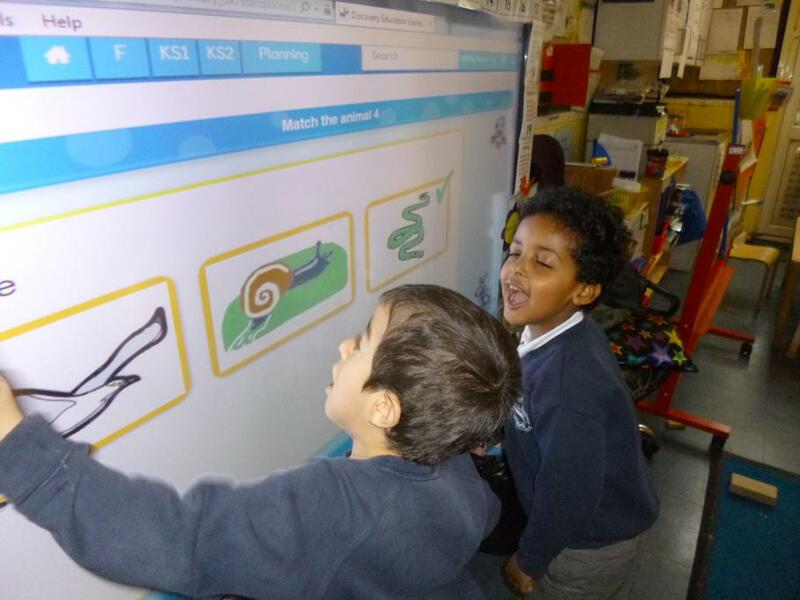 This week in phonics we have been continuing to segment and blend our set 1 sounds. The children are progressing with reading, writing and recognising these sounds. 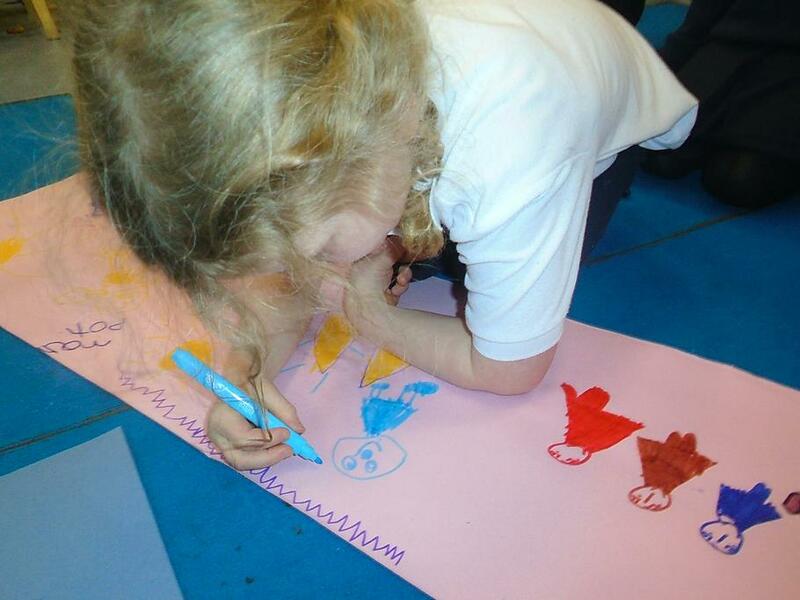 In literacy we have continued to tell the story of Little Red Riding Hood, together we have created a story map. 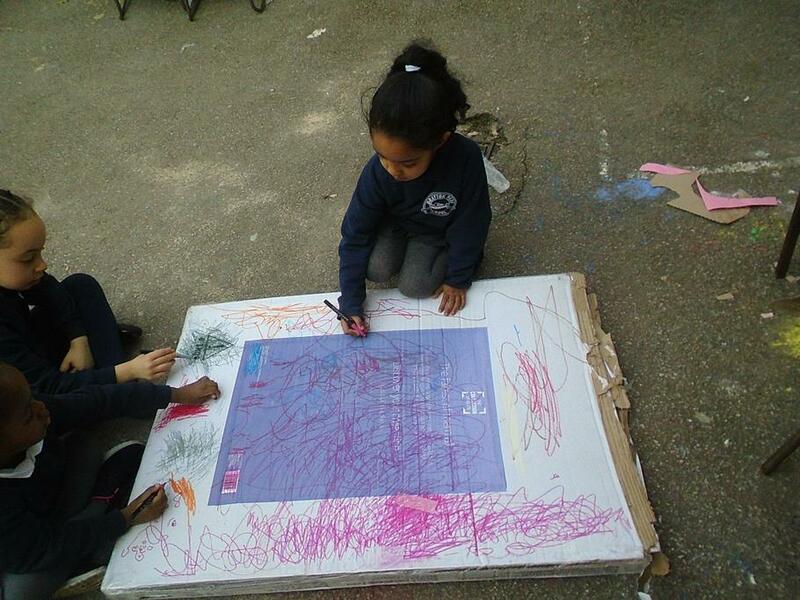 Could you make your own story map at home and orally tell the story with the actions the children have learnt. 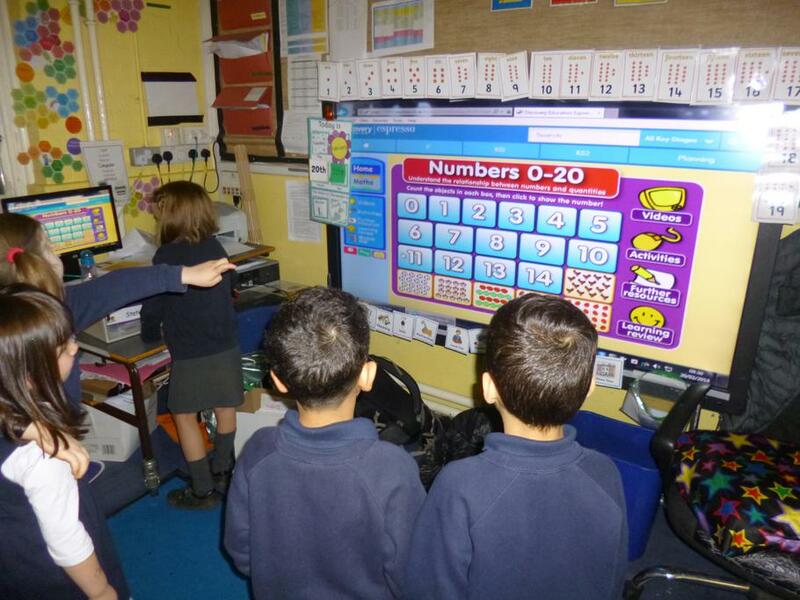 In maths this week have been learning our numbers up to 20! can you encourage your child to count up to 20 at home. 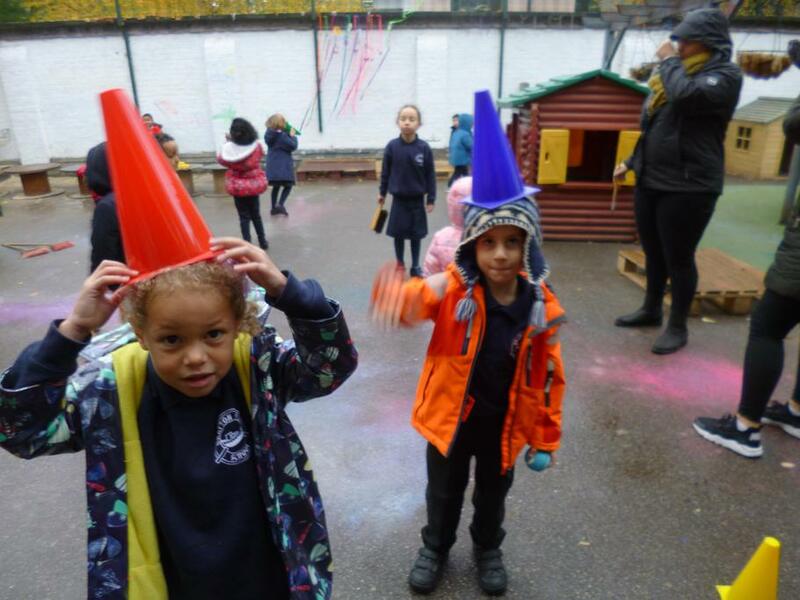 The children have had a great week back at school. 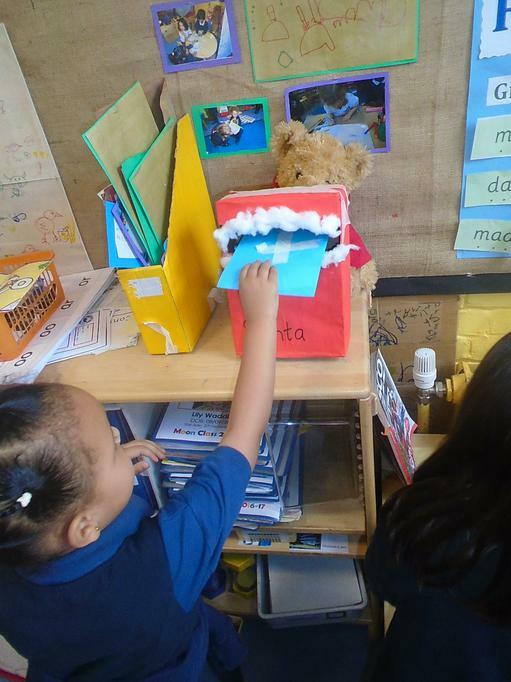 This week in literacy we have started to use actions to retell the story of Little Red Riding Hood. 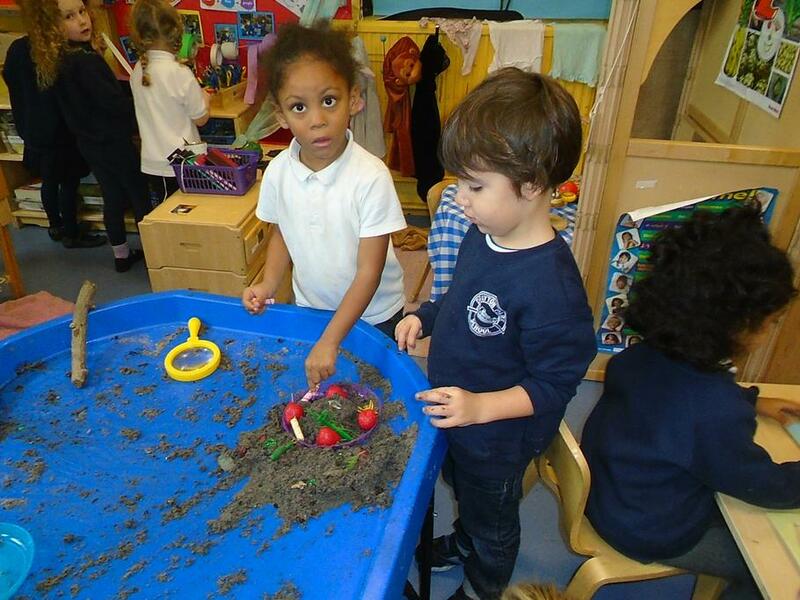 The children are now starting to use the actions independent through play to retell the story. 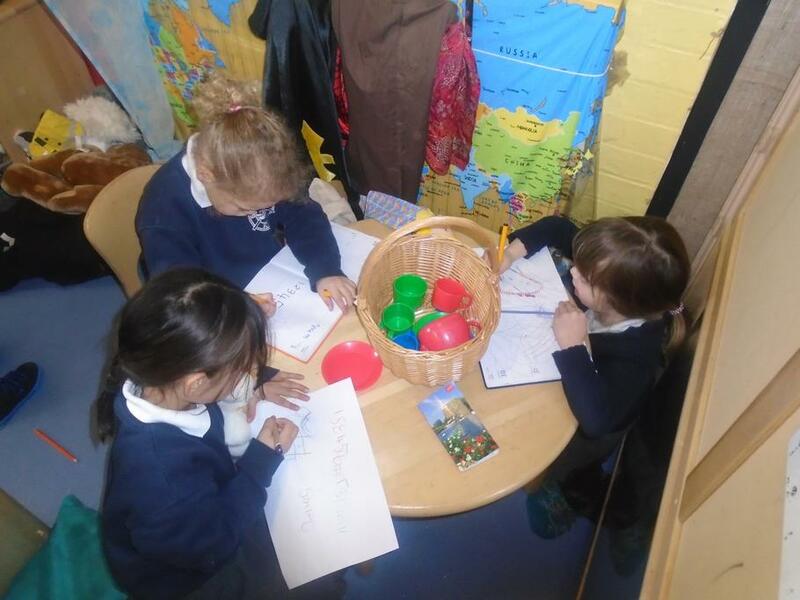 This week in phonics we have introduced small group learning. 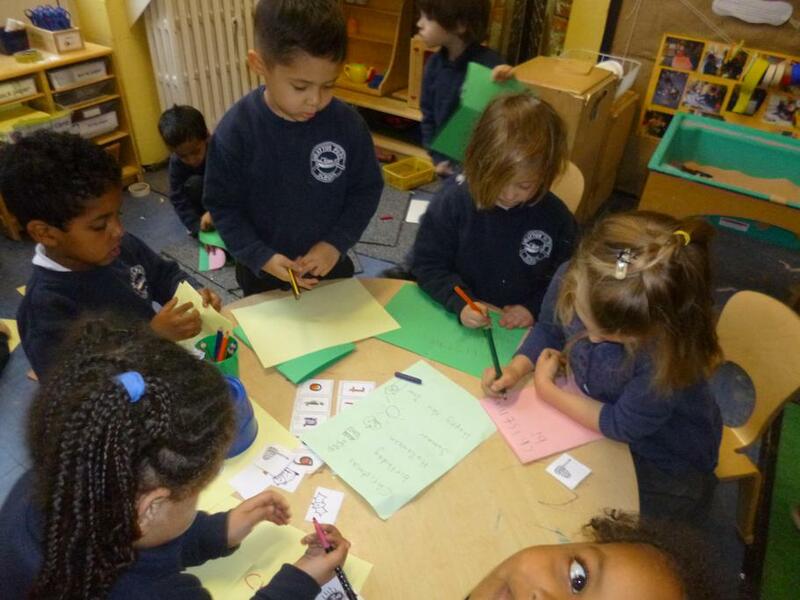 The children are working in their groups to recap Set 1 sounds and read green words. We have introduced Ditties books.The Ditties are short, phonically decodable passages based on the letter sounds learned in Speed Sounds Set 1. Sides, Corners, Curved and Straight. 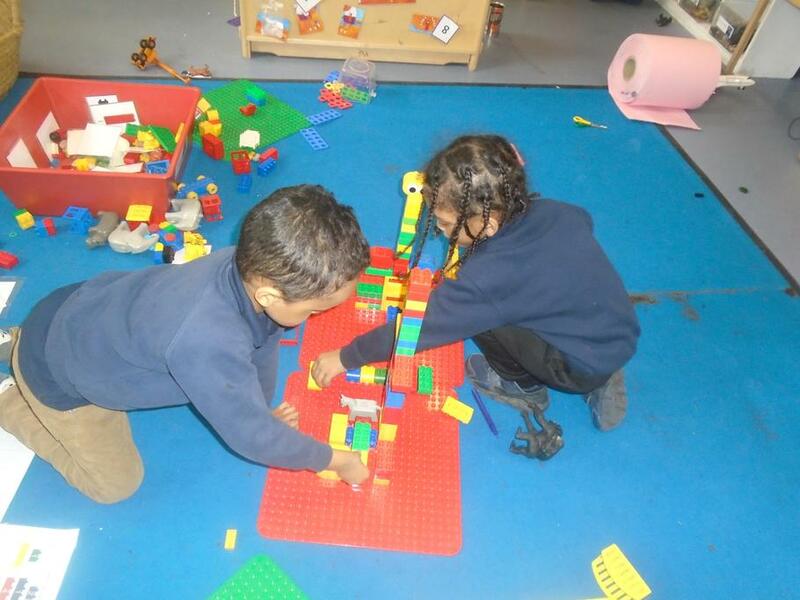 measuring toys using blocks, i.e how many block is my favourite toy? 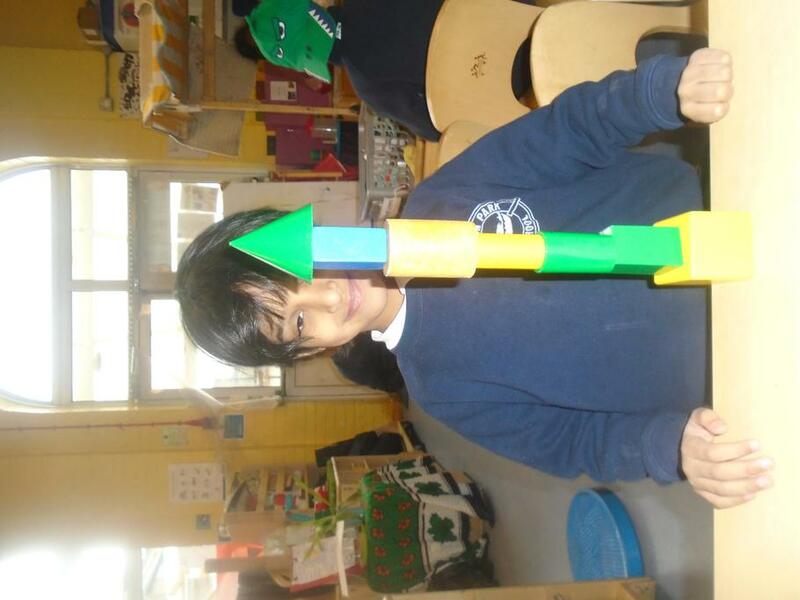 what toy is the longest/shortest? 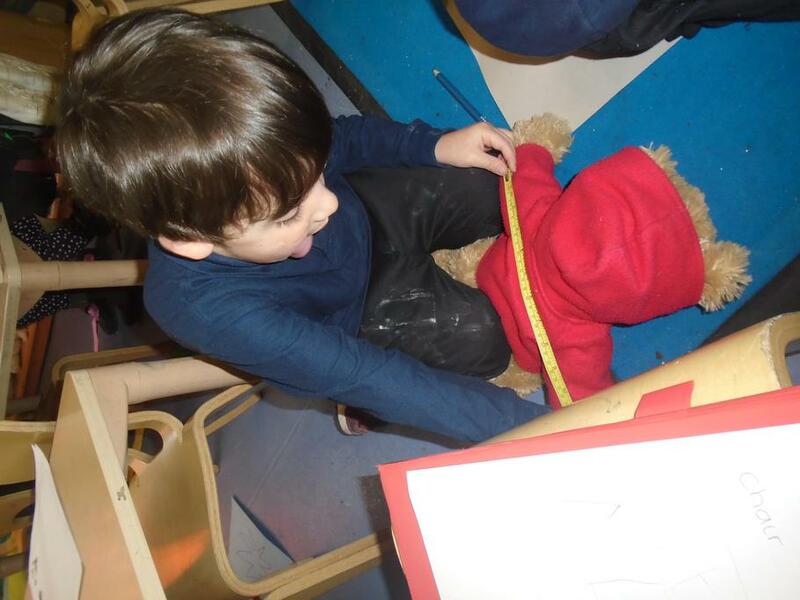 measuring using their feet or shoe i.e How many shoes long is the carpet? Cut out letters from a newspaper or magazine. 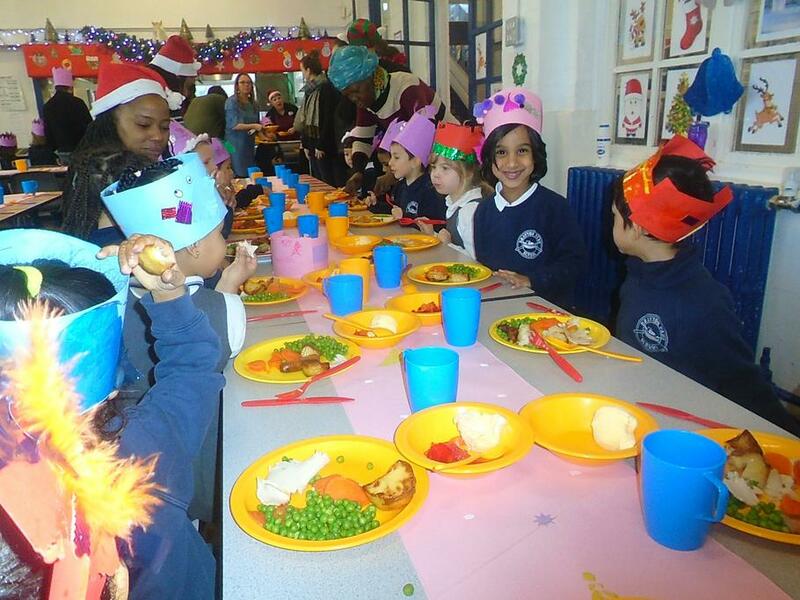 This week has been a busy week for the children in the lead up to their Christmas show wit KS1! 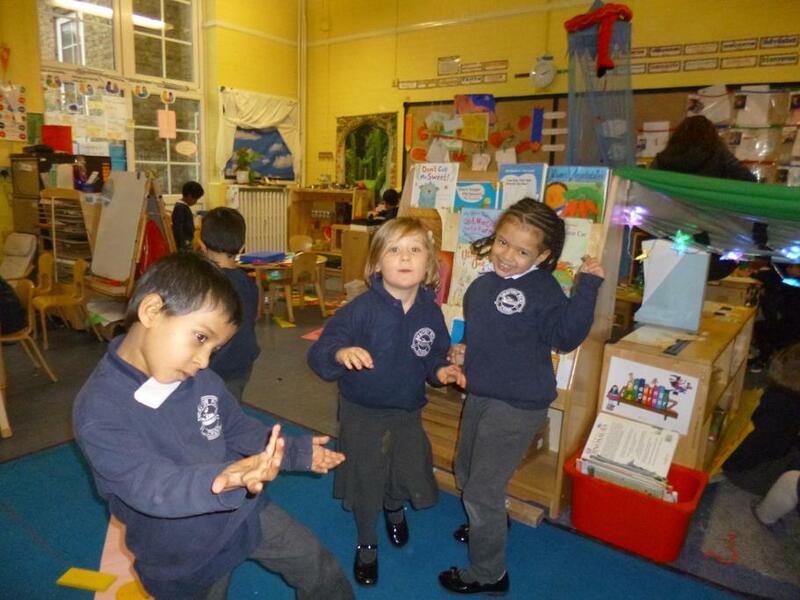 The children have enjoyed learning the songs and the actions to them. Please encourage your child to share these songs with you at home. Reception will be singing How much further to Bethlehem. and completed set 1 sounds! 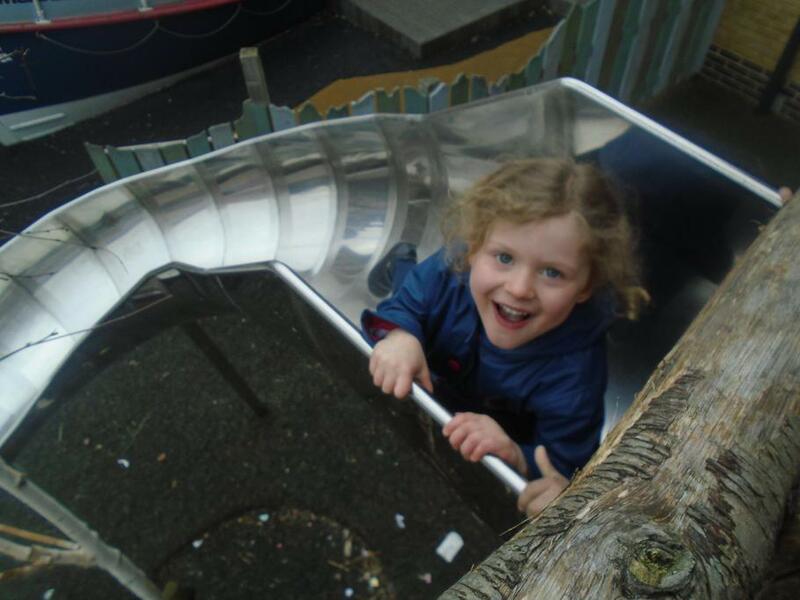 don't let go of all their hard work this term please encourage phonics with your child over the Christmas break. In maths we have been recapping their learning from the term. 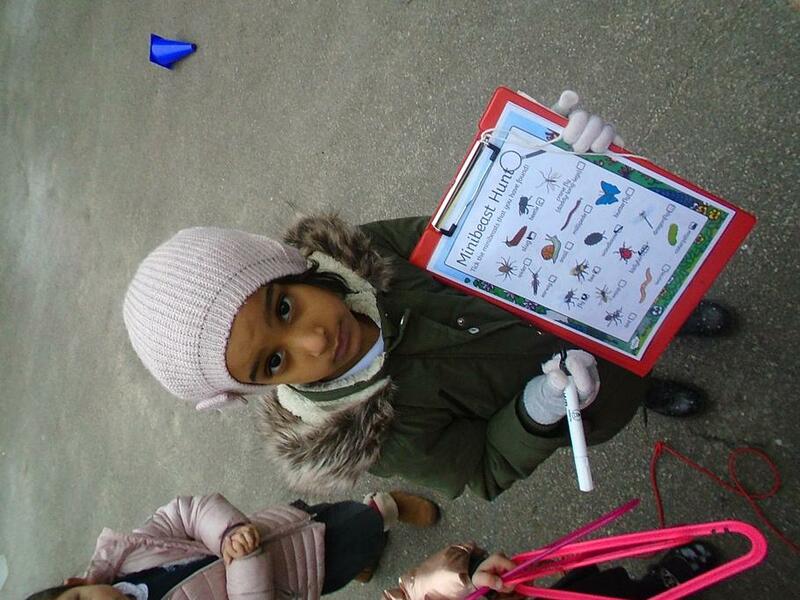 please encourage your child to count and recognise numbers in the environment. We have learnt one more and one less from a given number 1-10. 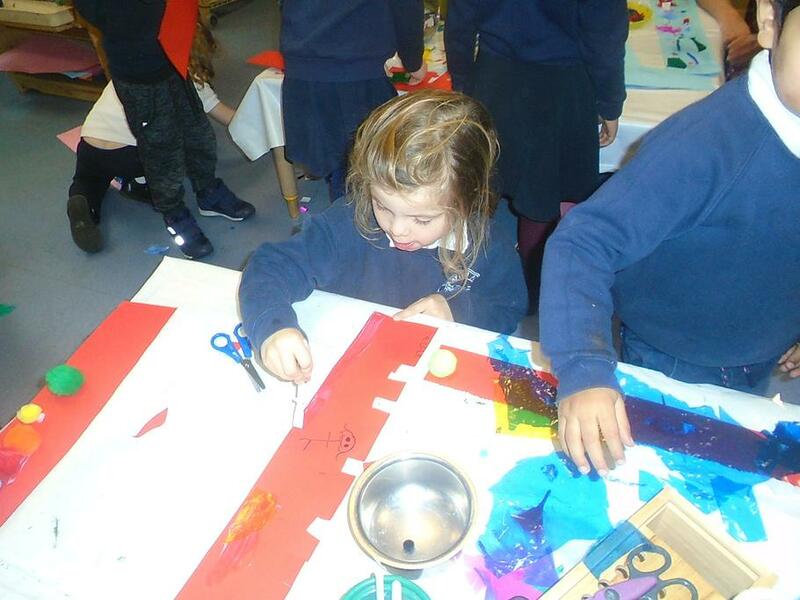 All the children really enjoyed Crafternoon! Thank you very much to Parents that were able to come and help. 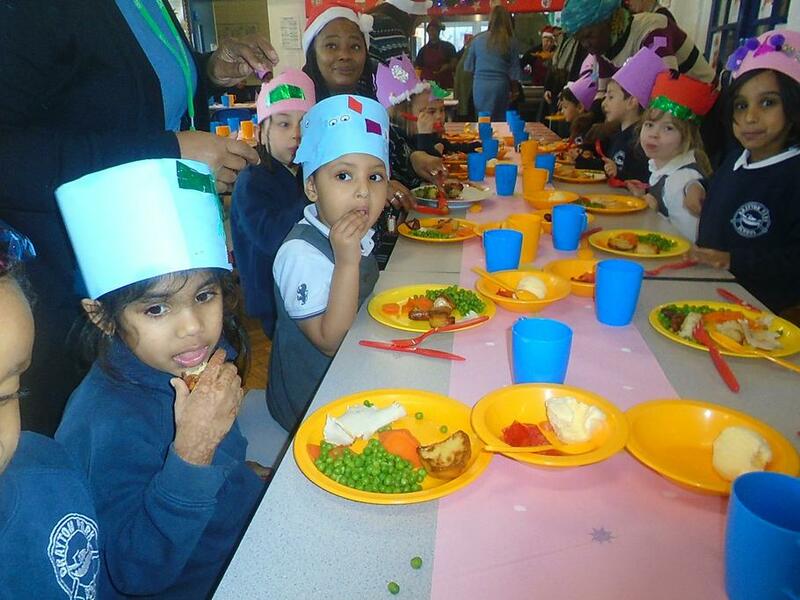 The children made Christmas crowns to wear to Christmas lunch on Thursday which was very yummy and much enjoyed! Have a lovely holiday, happy new year! 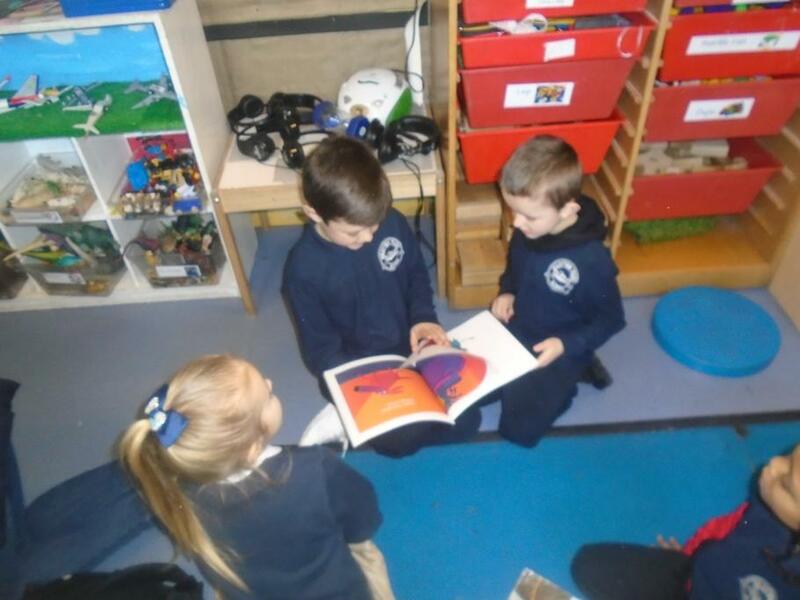 In literacy we have been using the story of ‘The Little Red Hen’ to help us form our own class story. We changed the characters, the setting, the problem but tried to keep some of the same story language. 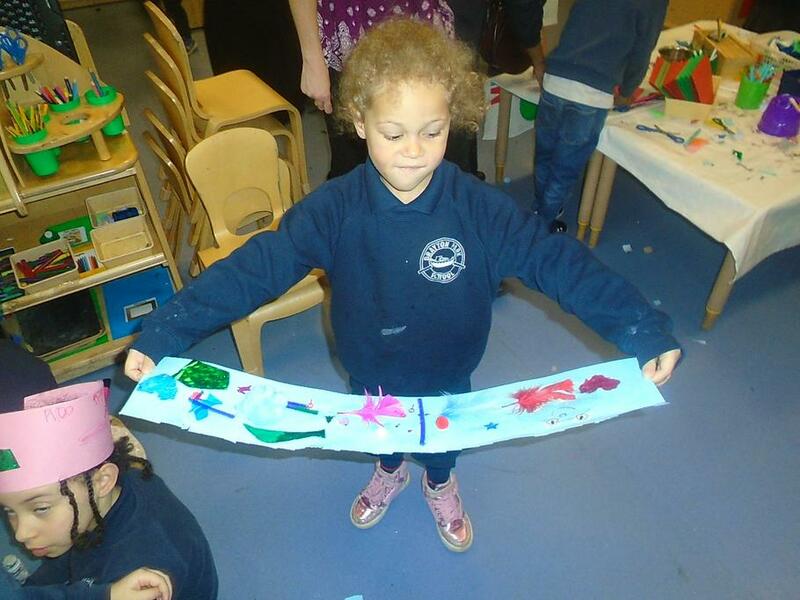 ‘Who will help me hang the star?’ Said the little blue crocodile. 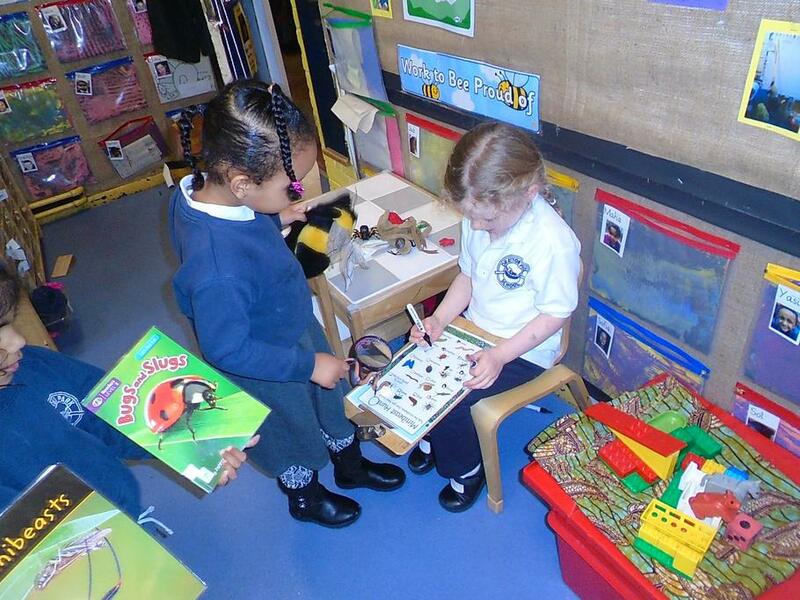 The children are getting much better at story telling and sharing their ideas. 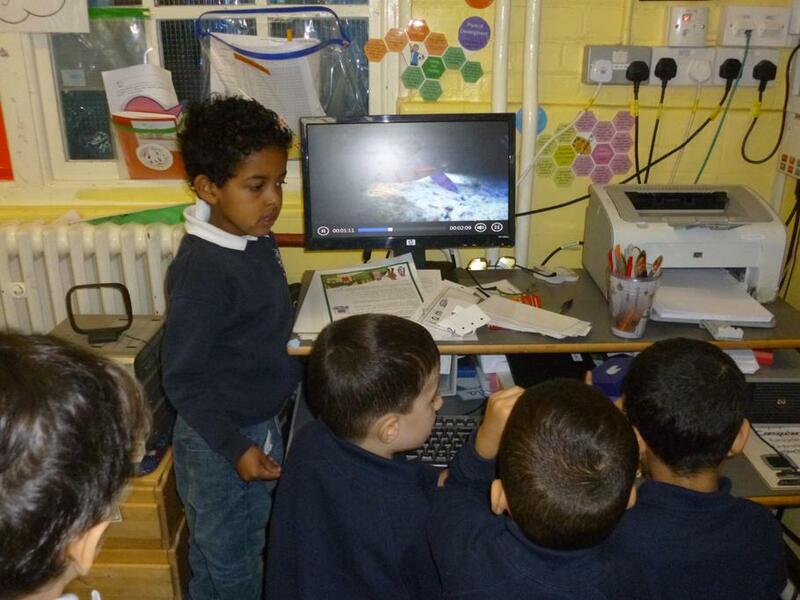 The children have been helping us sound out some of the words in the story. This is something you could do at home. 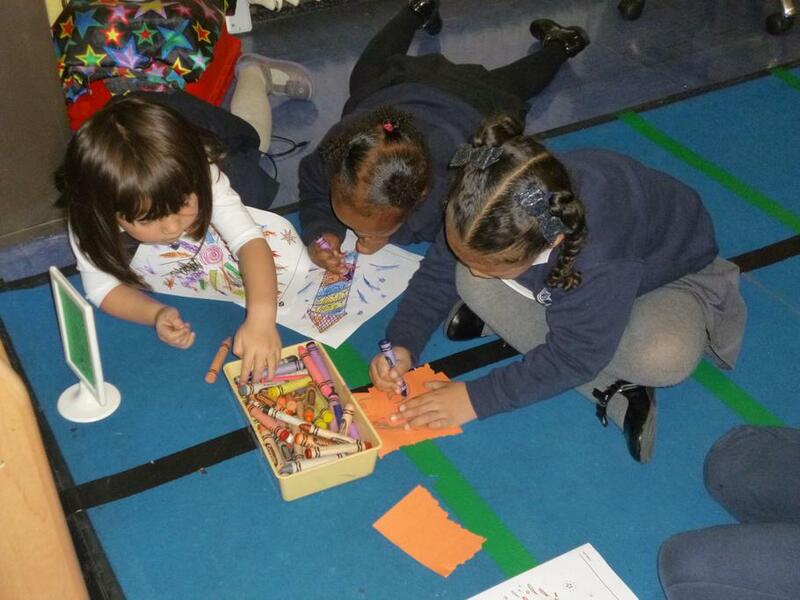 Write a story together with you writing it and your child helping you sound out some of the familiar words. 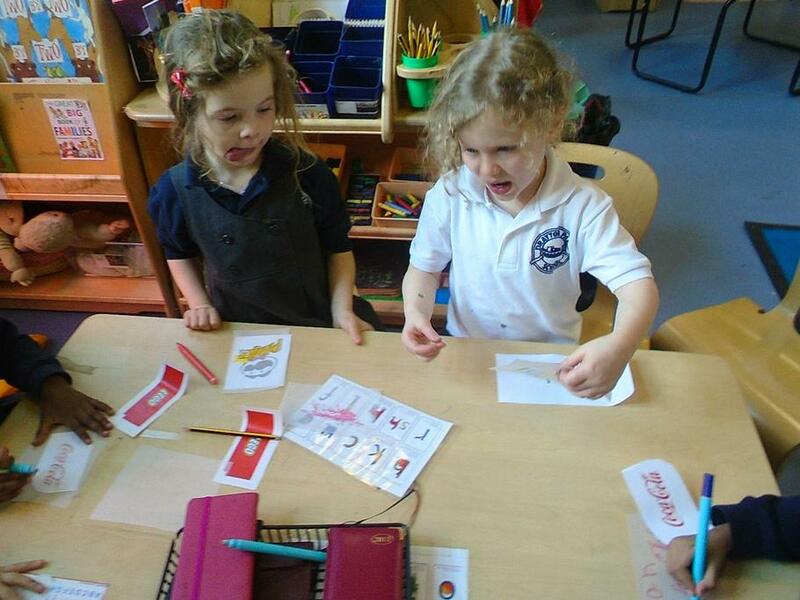 In phonics the children have learnt the sounds sh, r, j, v, y, w, th, z and ch. They are getting much better at segmenting and blending some of our green words. 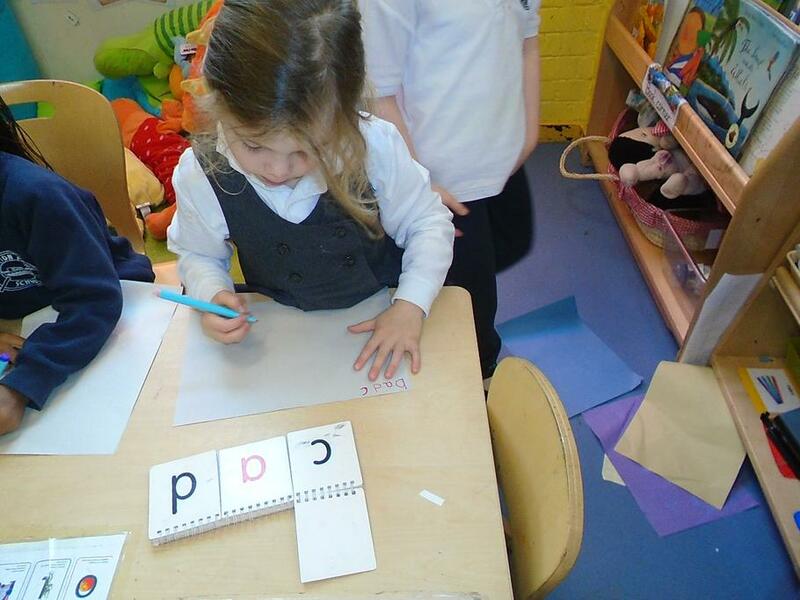 The children are becoming more confident with sounding out and writing cvc words. At home ask your child to write four different cvc words. Can you help them think of anymore? 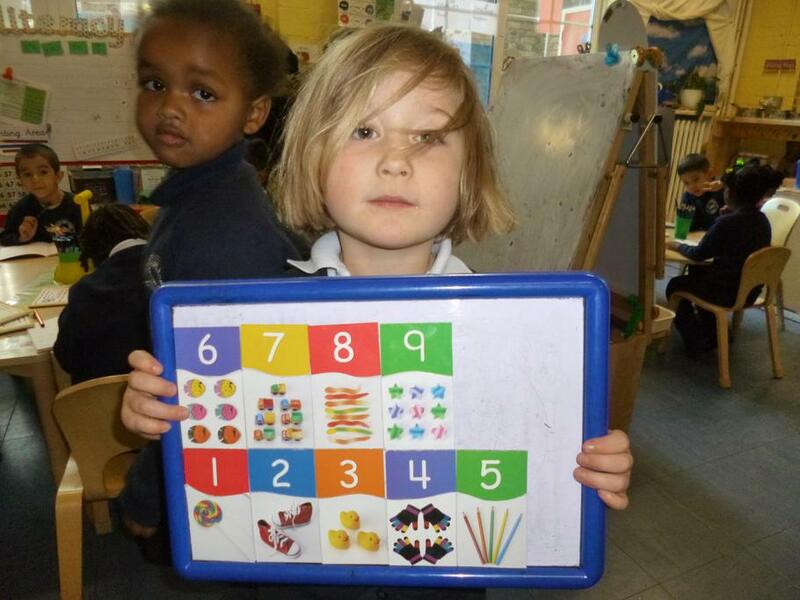 In maths we have been learning about numbers 8, 9, 10. 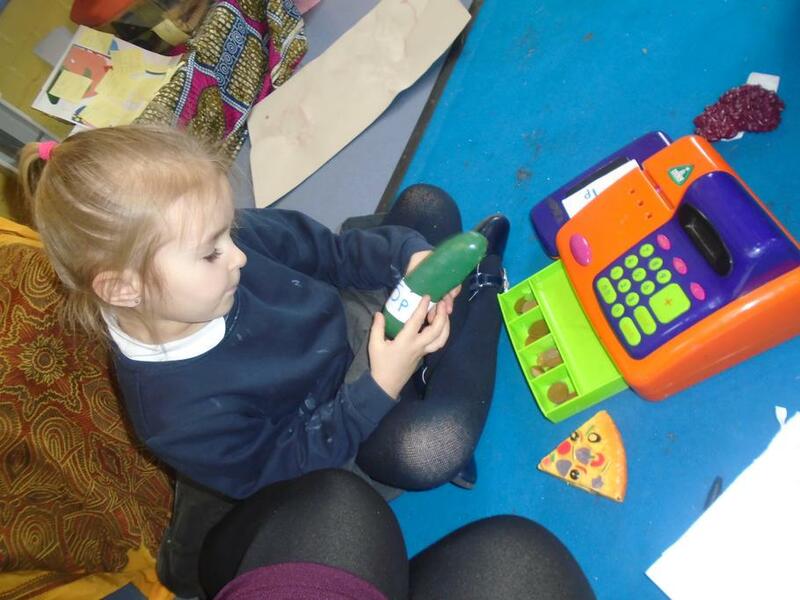 The children are getting better at recognising, writing and finding the different amounts. 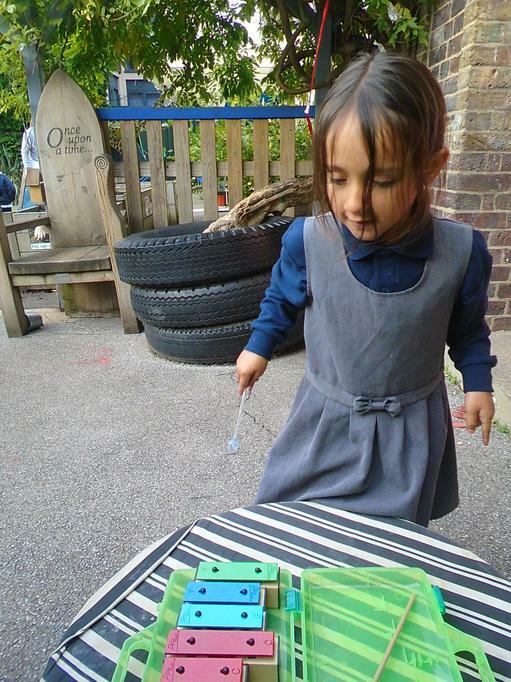 The children have been getting out rulers, cubes, measuring tapes to measure objects in the classroom. Talk to your child about things that we measure at home. We have also been learning about adding 1 more and taking away 1 less to numbers up to 20. 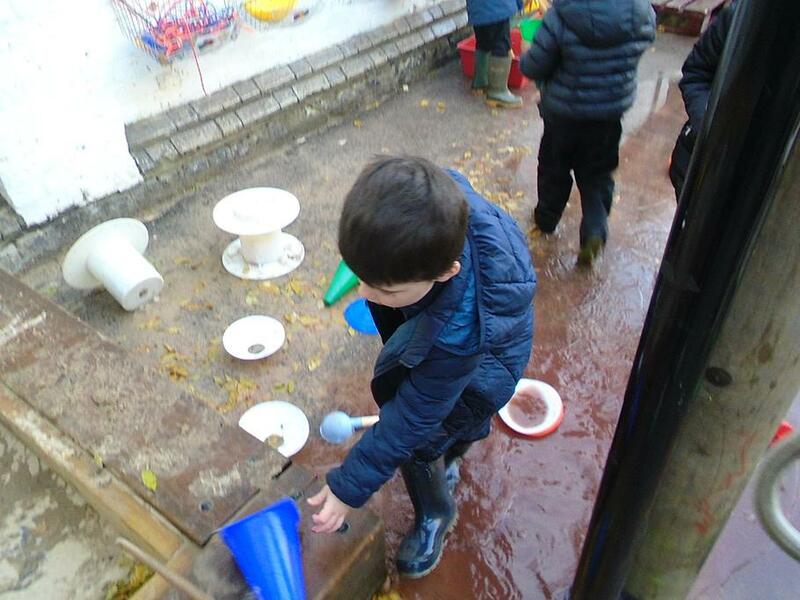 The children enjoyed playing a game in the playground where they had to throw an object onto a number and say the number that is 1 more and 1 less. 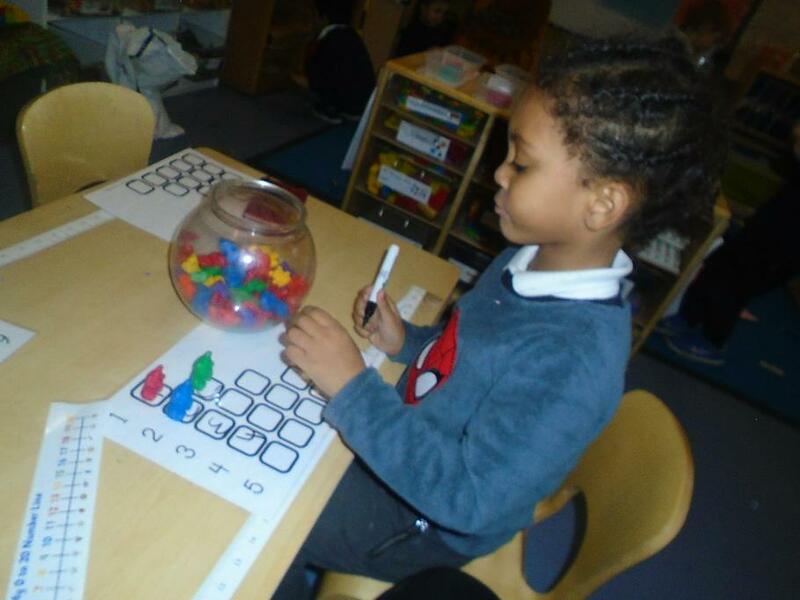 The children enjoyed this counting game and had fun while learning. This week we have been working together to practice for our first assembly. 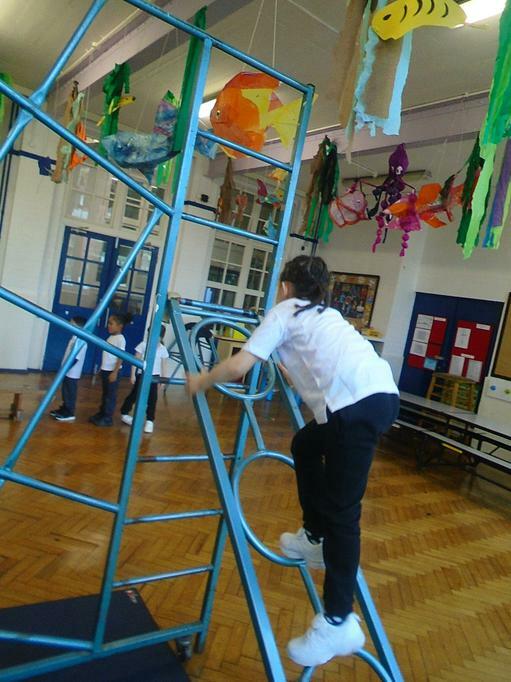 The children’s behaviour has been absolutely brilliant during our rehearsals. learning the sounds b, f, e, l and h.
In maths we have been learning about the number 9. Looking at sequencing numbers up to 9, forming numbers, counting objects and really getting to know what number 9 means. 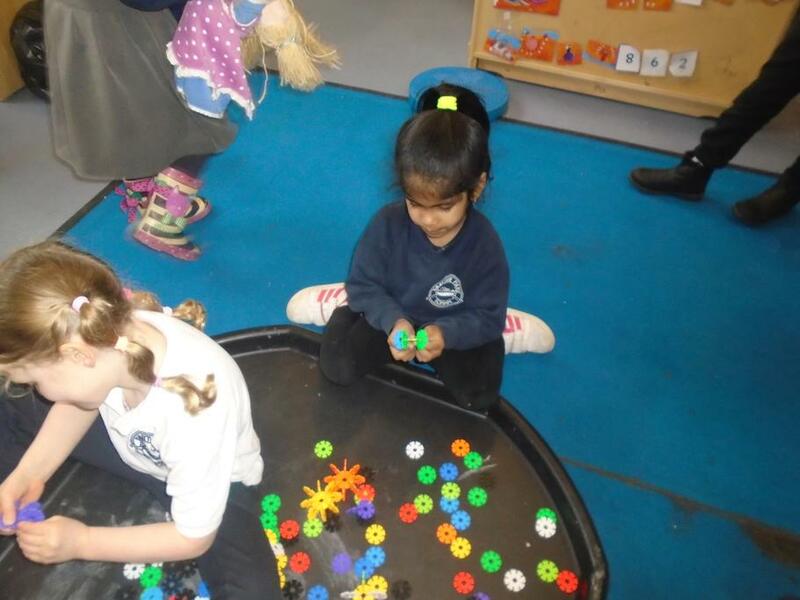 In Reception we have been learning our nursery rhymes like incy wincy spider, the Grand old Duke of York, days of the week and wind the bobbin up. 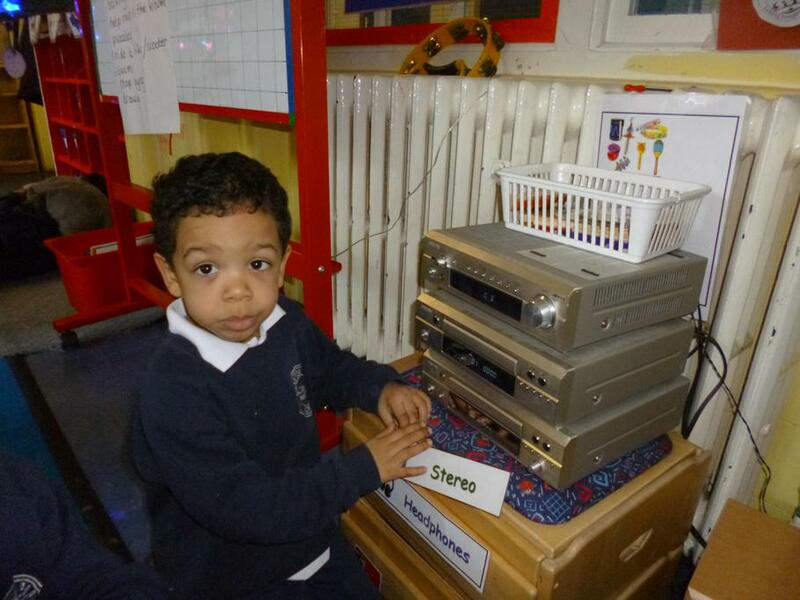 The children have been enjoying learning a new nursery rhyme everyday. 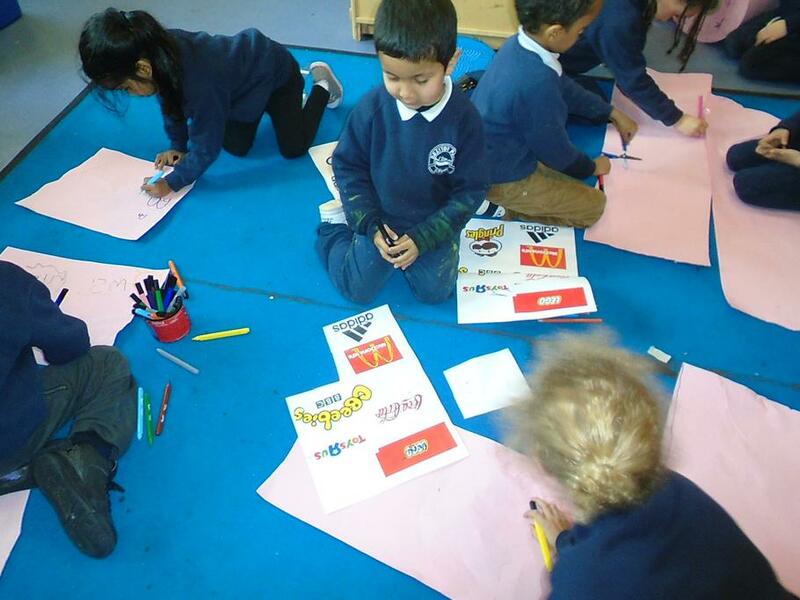 We have been learning to write captions, write our names, spell familiar cvc words like cat, dog and rat. 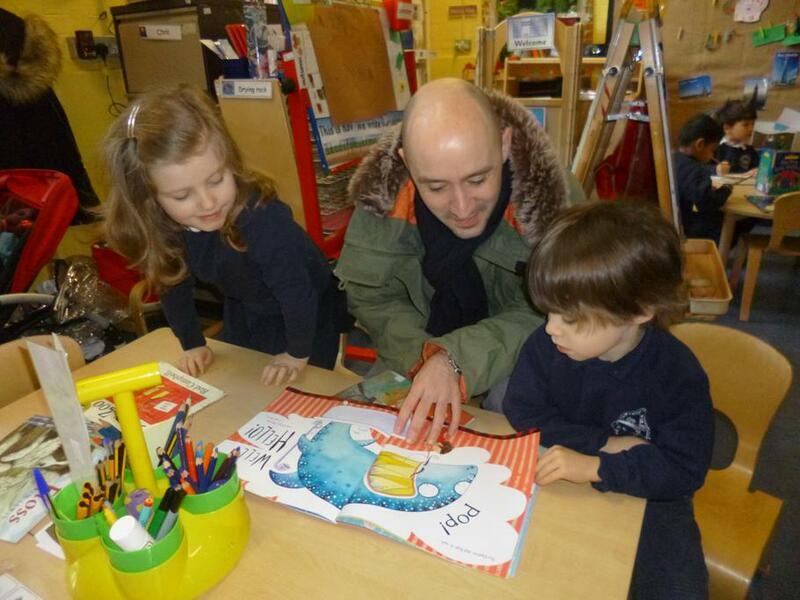 We have been continuing with reading the story ‘The Little Red Hen’. In phonics we have been learning the sounds g, o, c, k and u. Can you continue to use the homework sheets to practise writing the letters? In maths we have been learning about the number 8. 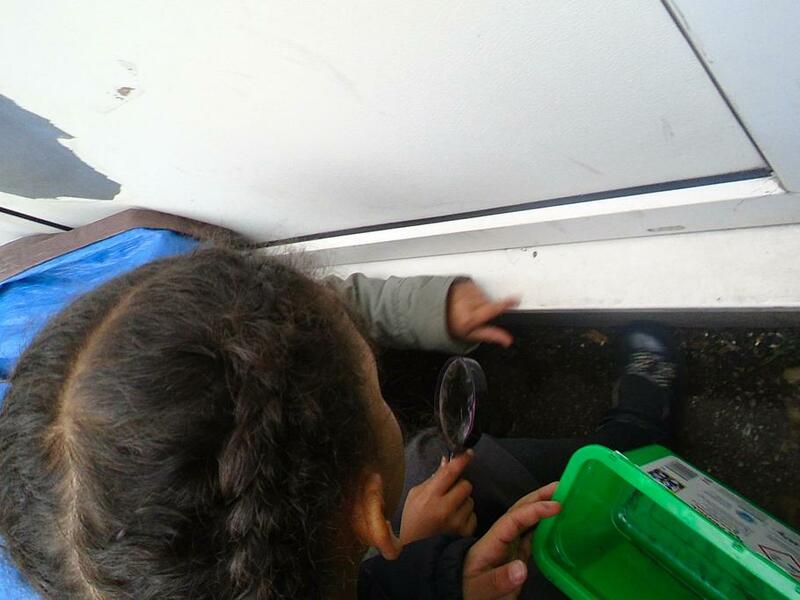 Finding 8 things in the classroom and counting them out. Counting 8 objects from a larger amount. 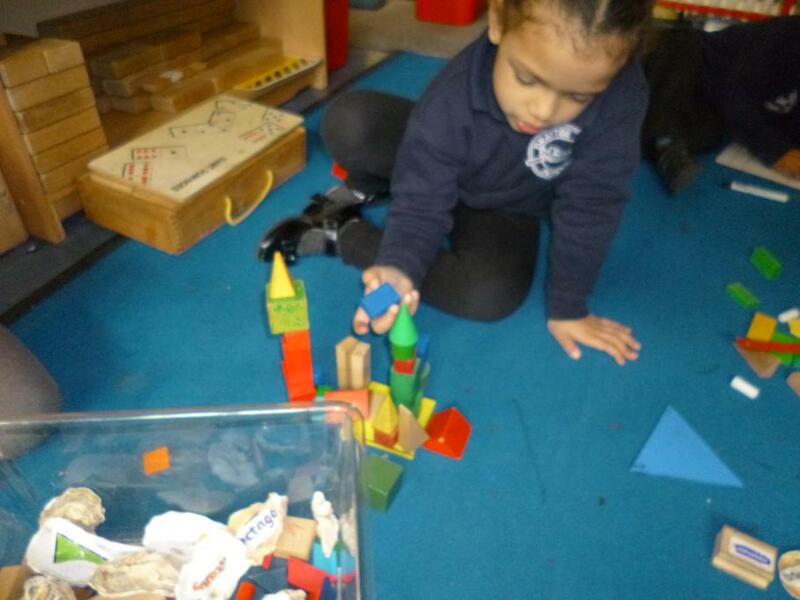 We are continuing to read the story of the 'Little Red Hen' and have been using this to encourage role play, story telling through props and story language. In phonics the children have been learning to say, recognise and write t, i, n p . Please encourage the children to practice these sounds at home, recognise them in the environment and use the 'Read, write Inc' letter formation sheets. Thank you! The number of the week is 7!!! 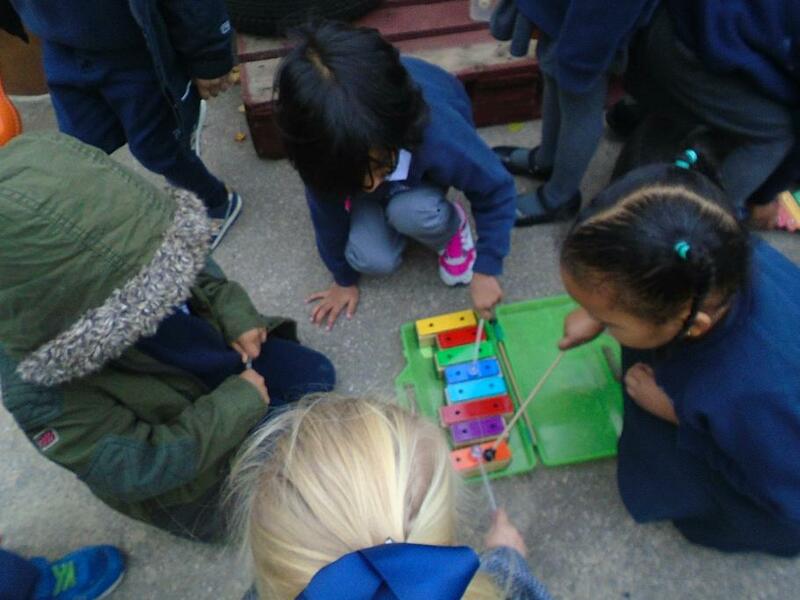 (click on the face) The children love joining in with this song, can you listen to it at home? 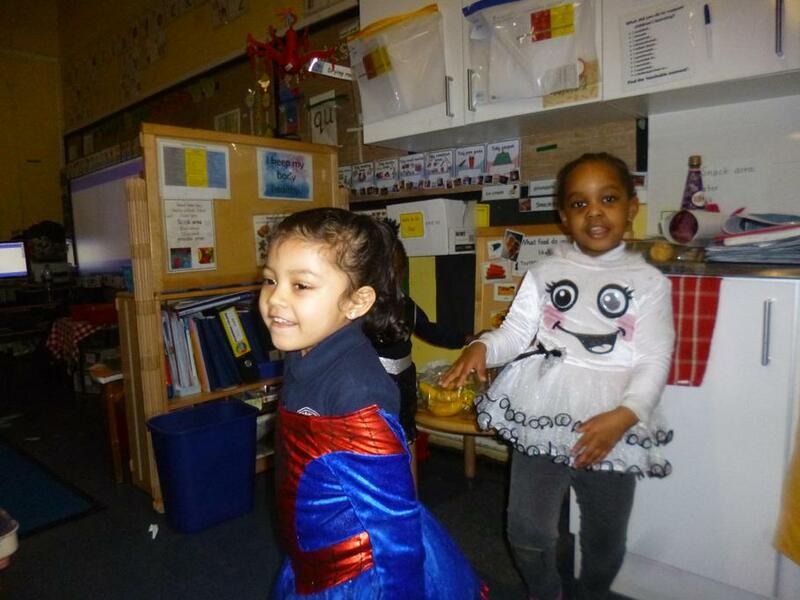 In Reception we have been talking and learning about Halloween and the children's experiences of dressing up. 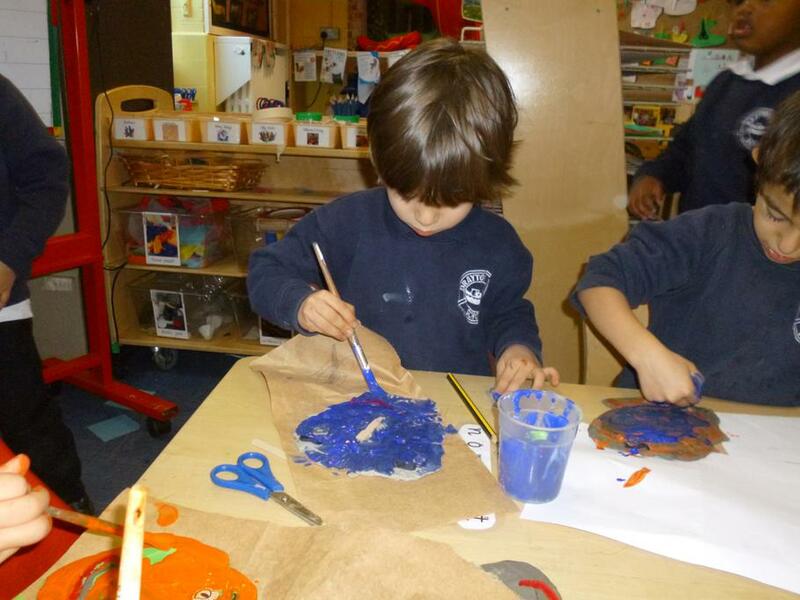 We have been using lots of messy play to let the children feel, smell, explore pumpkins. 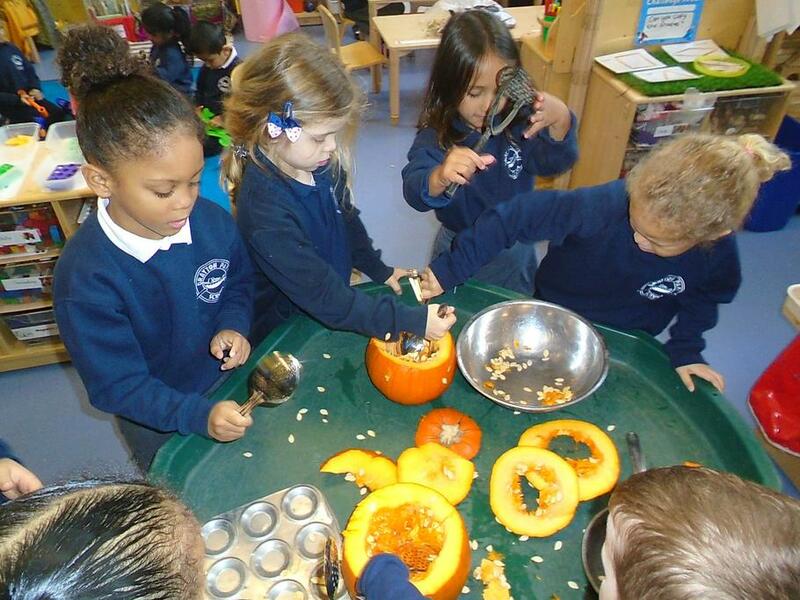 We are observing how the pumpkins change over time. 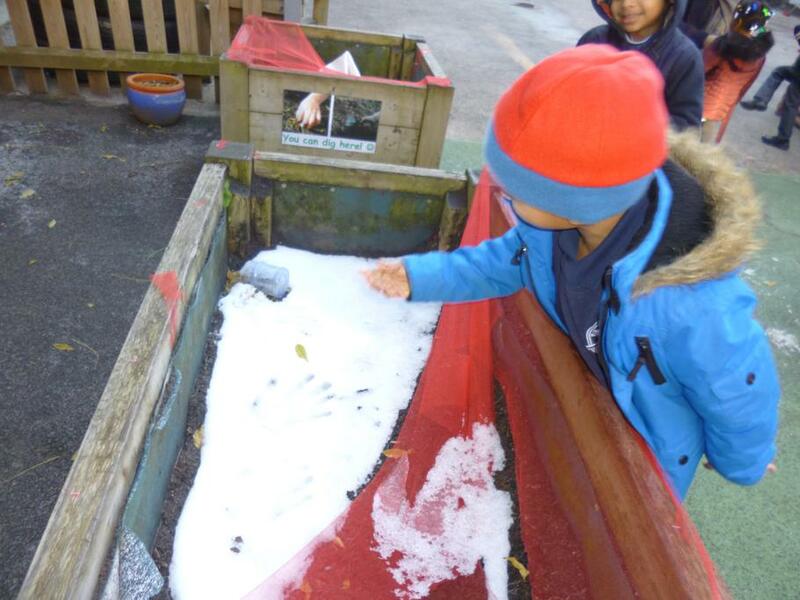 The children have been enjoying watching it change shape, colour, smell and texture. 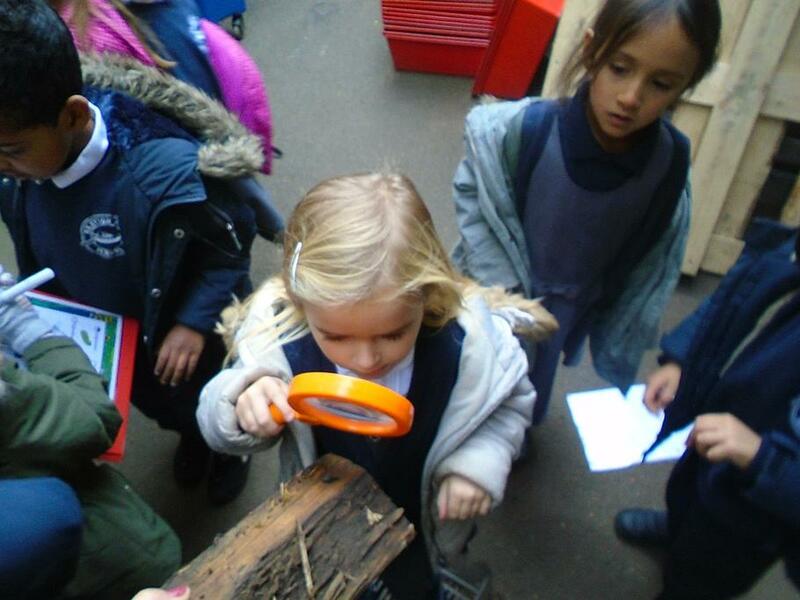 We have also been looking at the world of mini beasts. 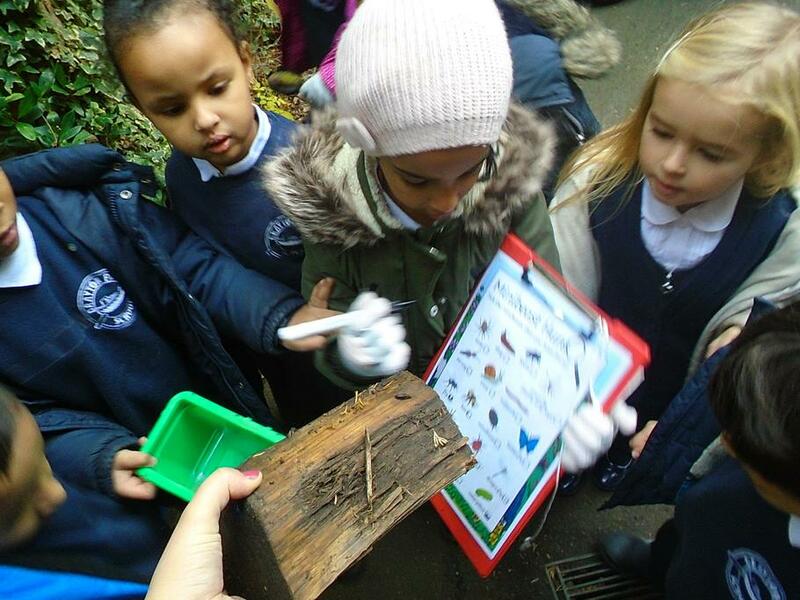 The children have been asking questions about lives of mini beasts, comparing them and discussing how they move. This week we started phonics. 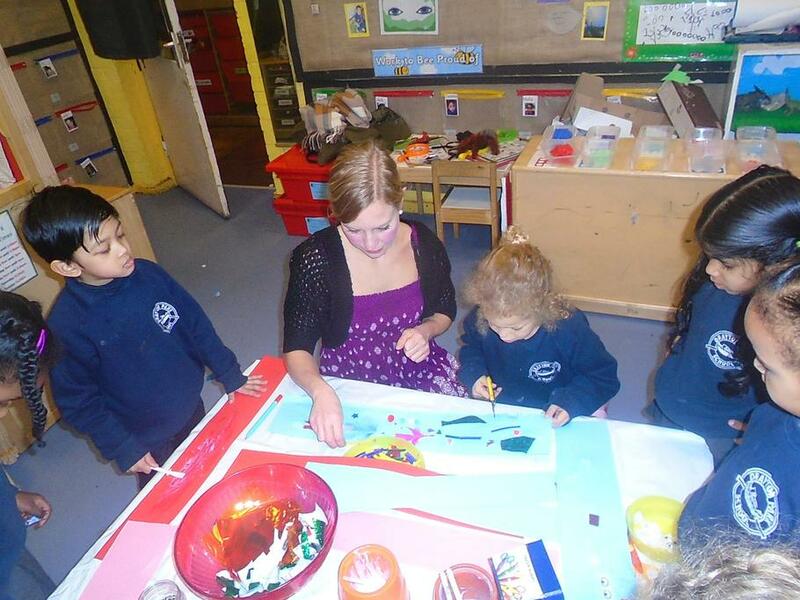 The children have learnt m, a, s, d sounds, which they are able to say, recognise and write. 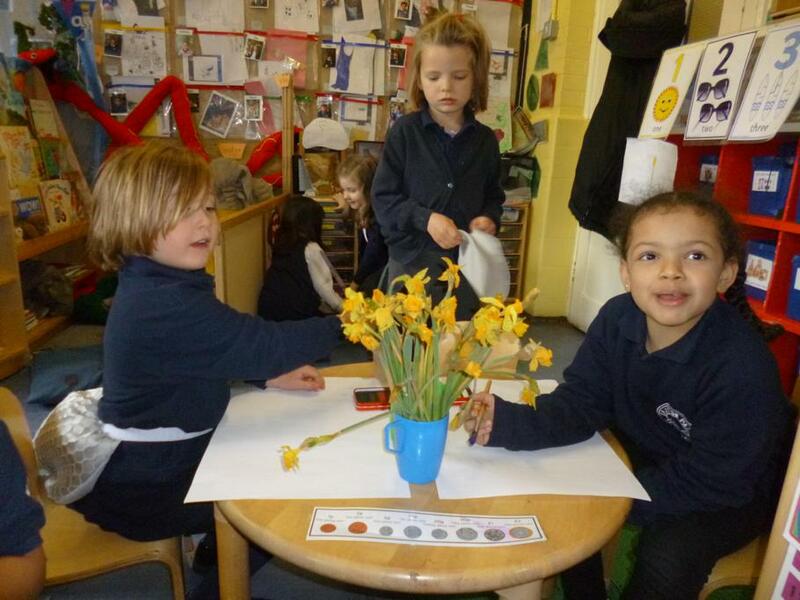 We have been using talk for writing to retell the story of 'the Little Red Hen'. 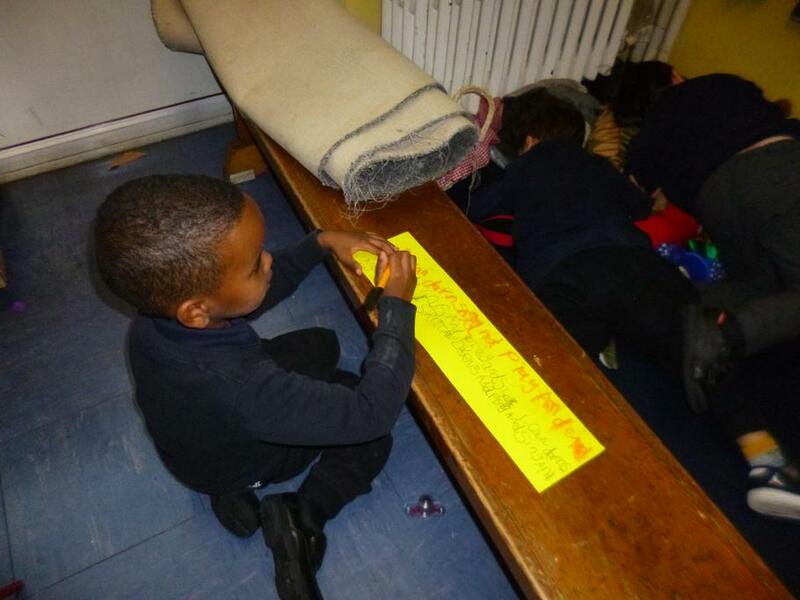 The children have been joining in with repeated phrases and creating story maps. 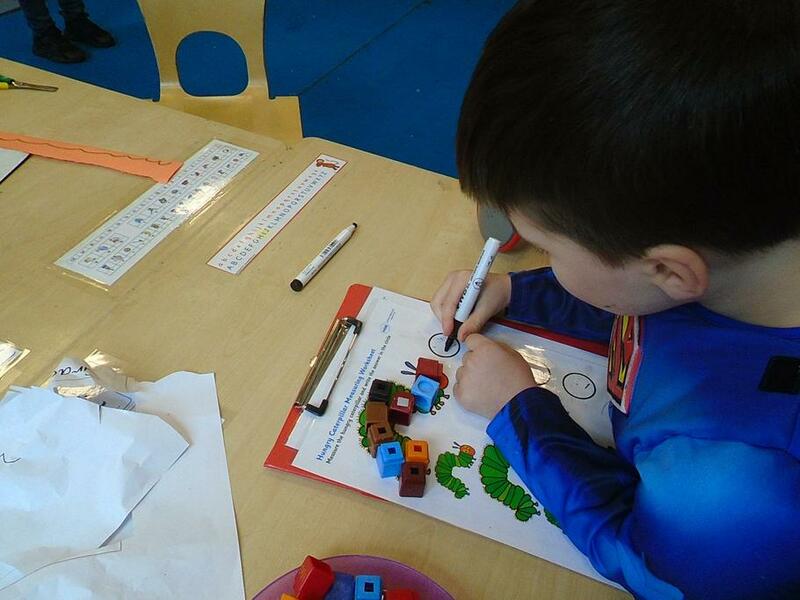 In maths we have been learning to recognise, write and sequence numbers. Our number of the week is 6! 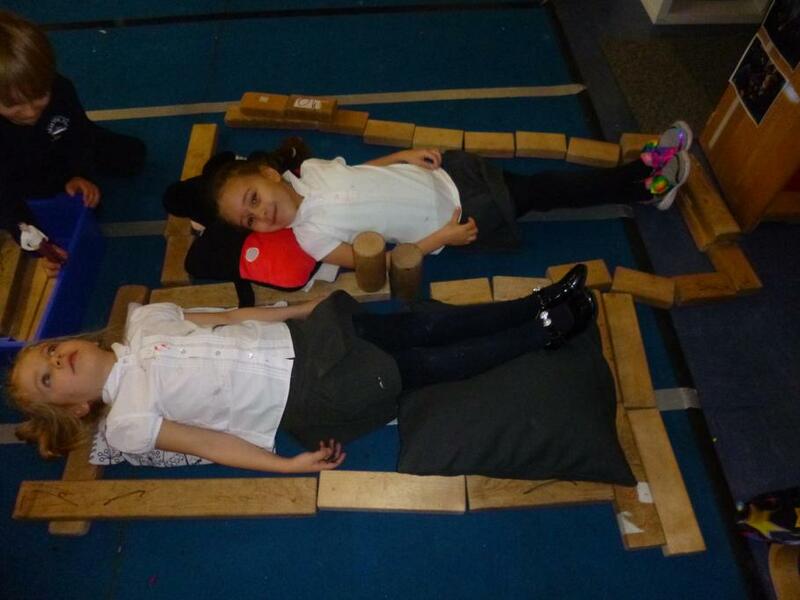 The children have been up to 6 different objects, making 6 with their body, 6 claps, 6 jumps, 6 blinks. Can you ask your child to find 6 objects in your home?